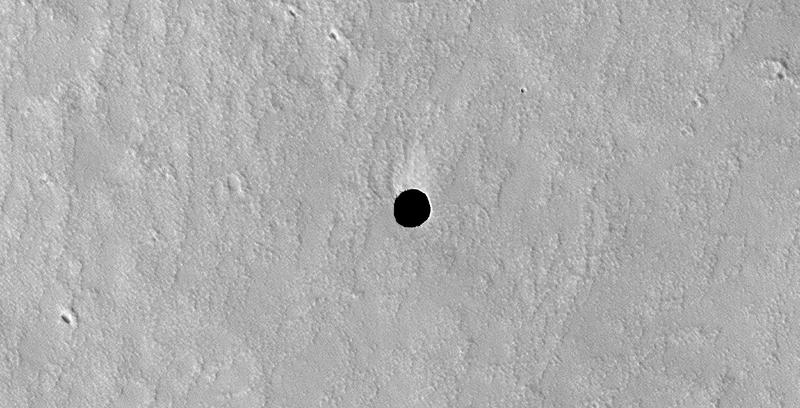 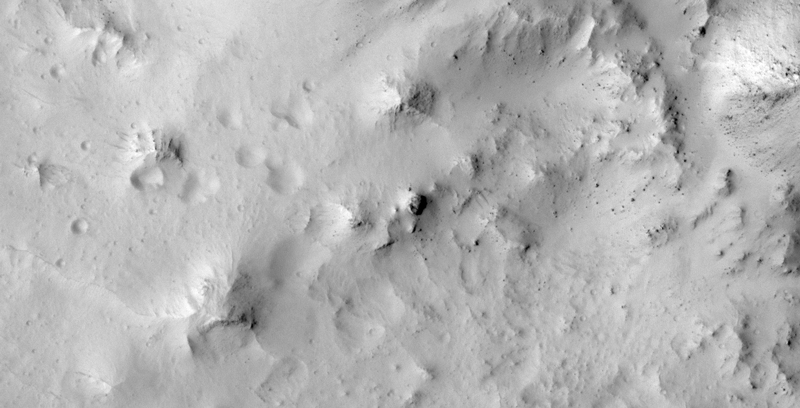 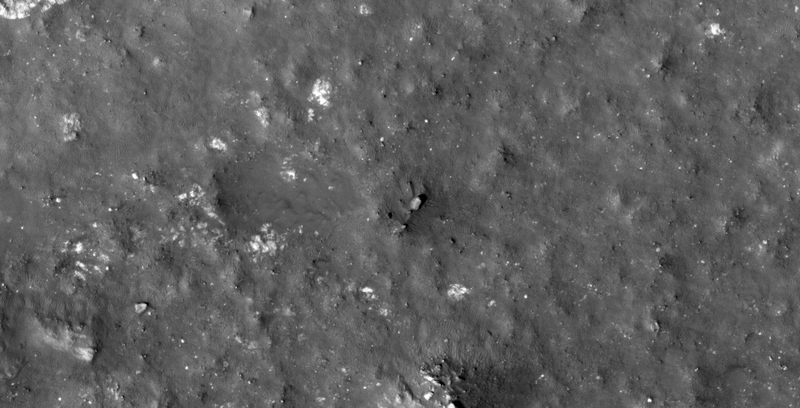 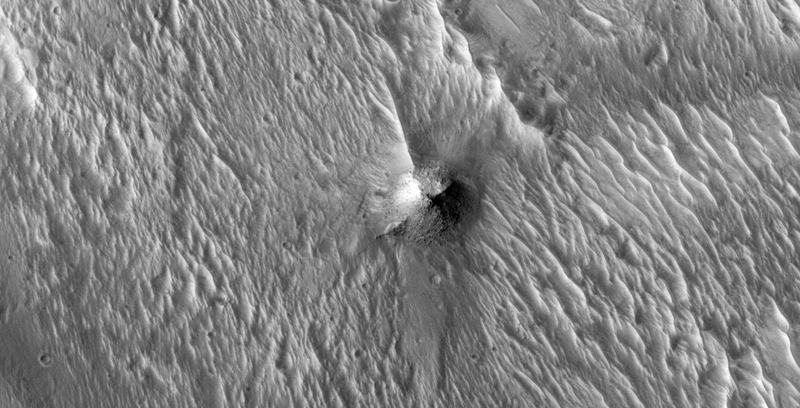 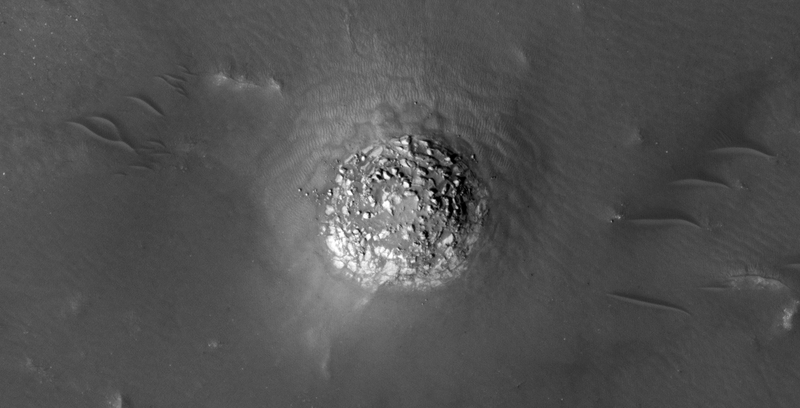 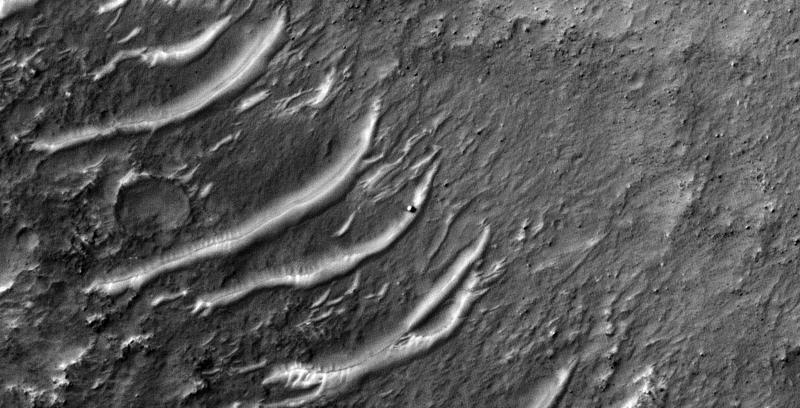 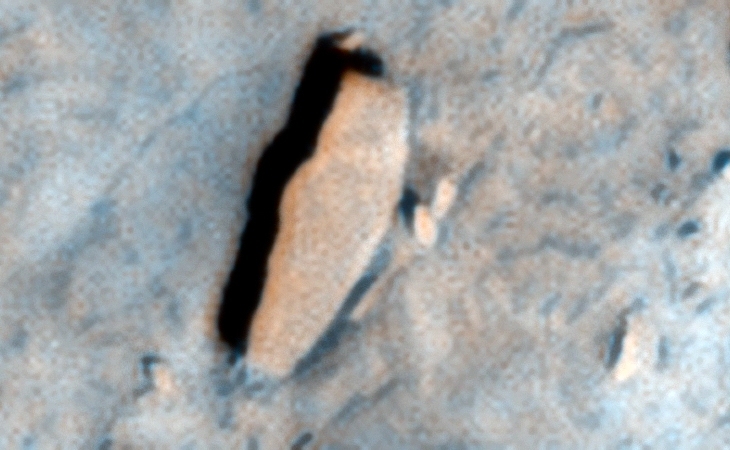 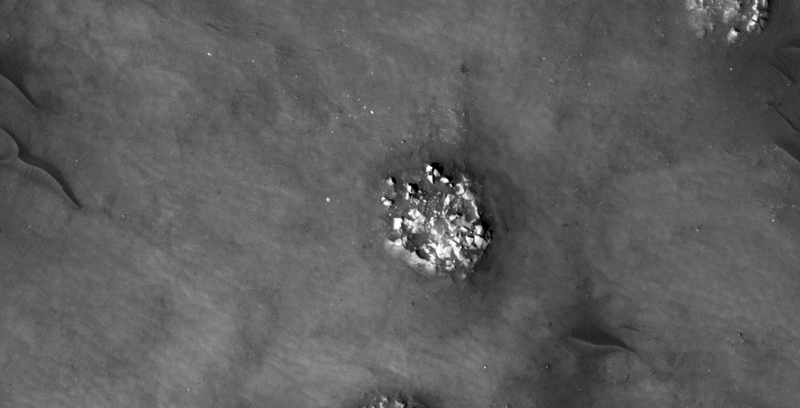 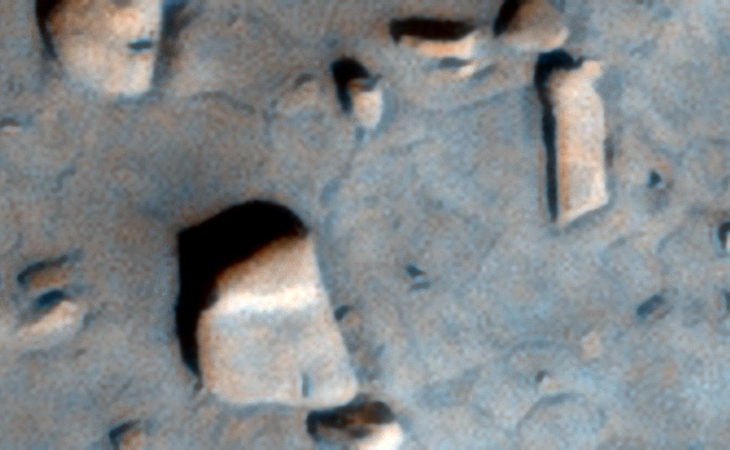 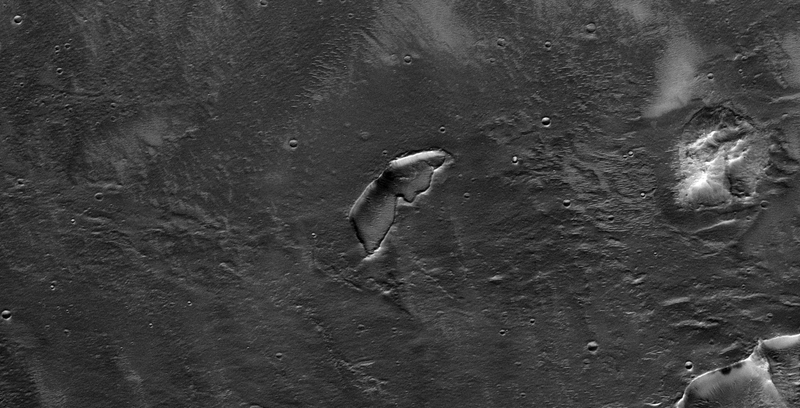 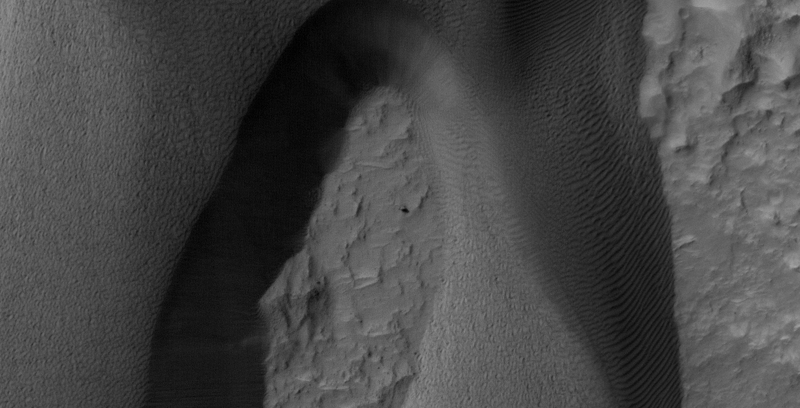 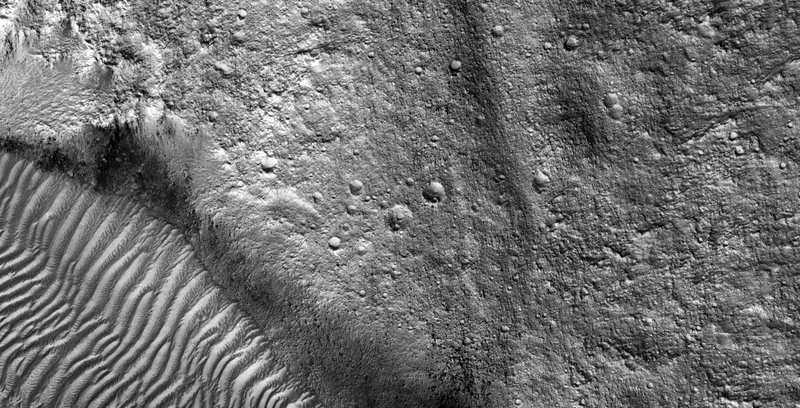 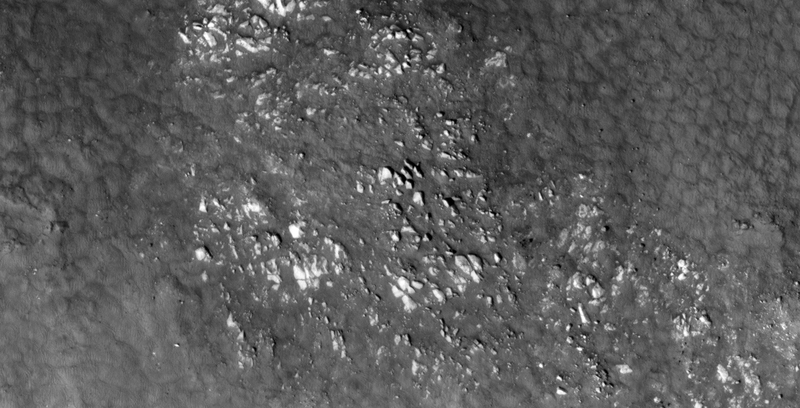 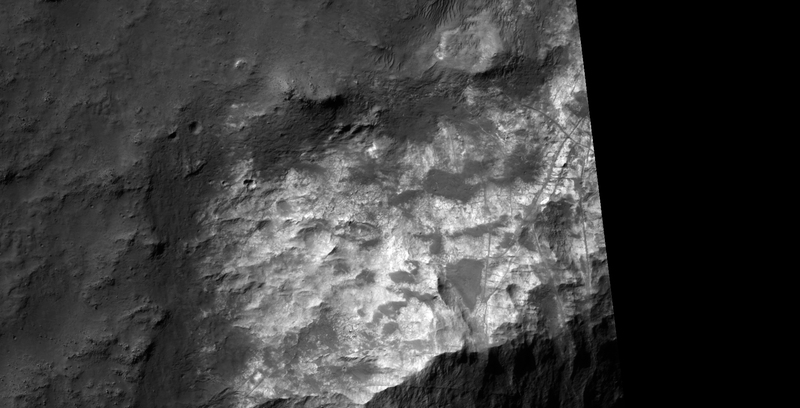 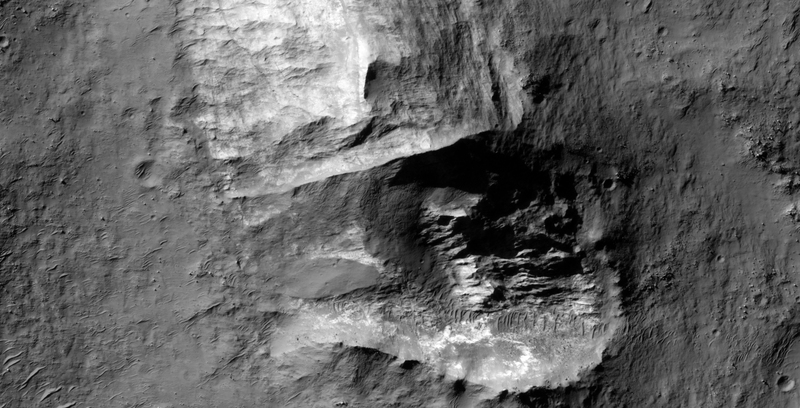 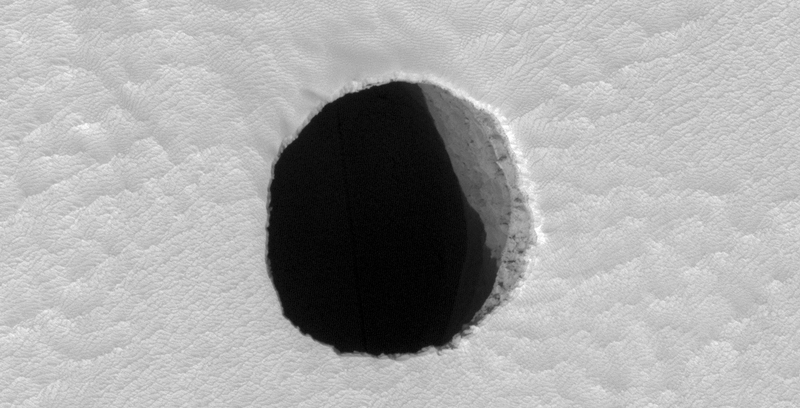 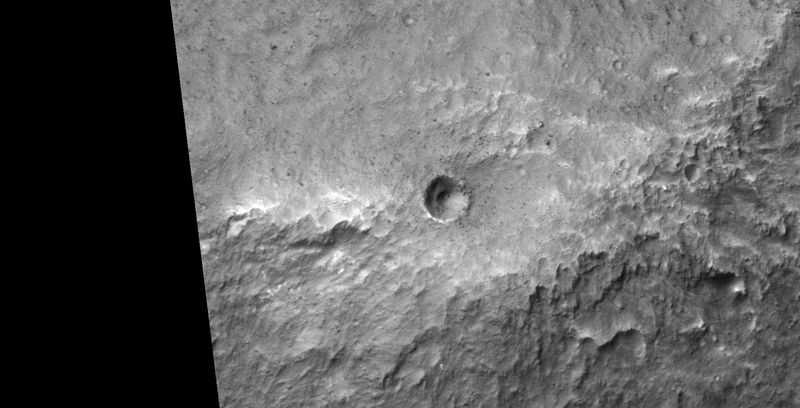 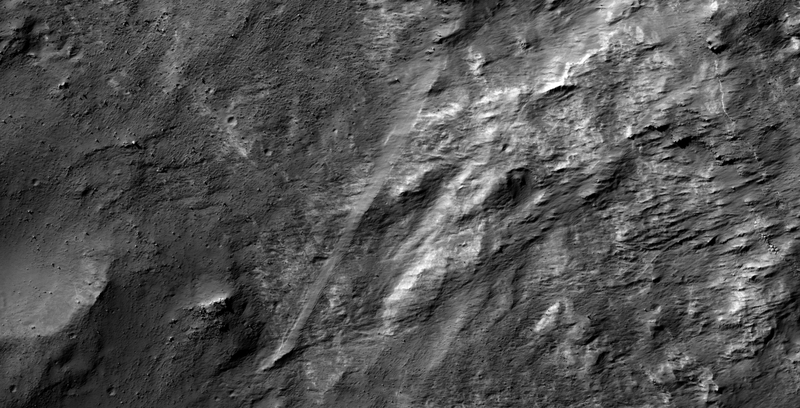 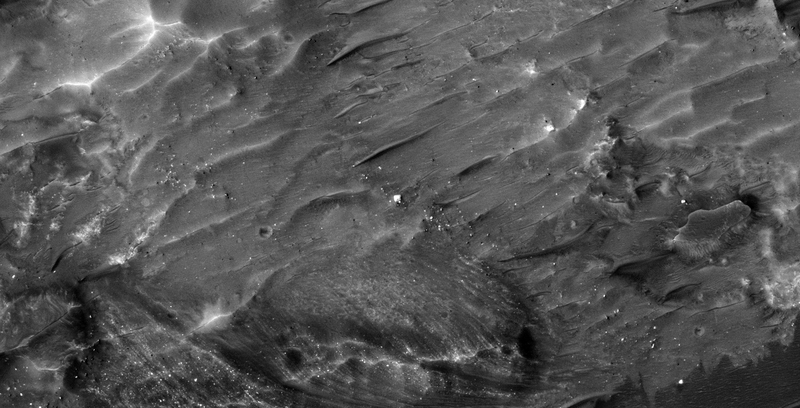 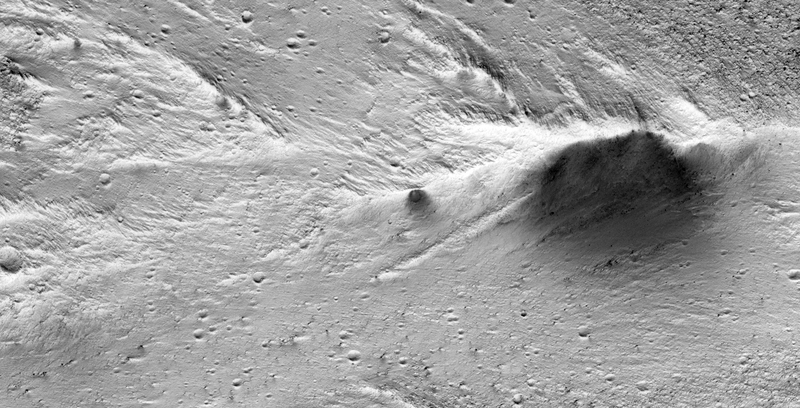 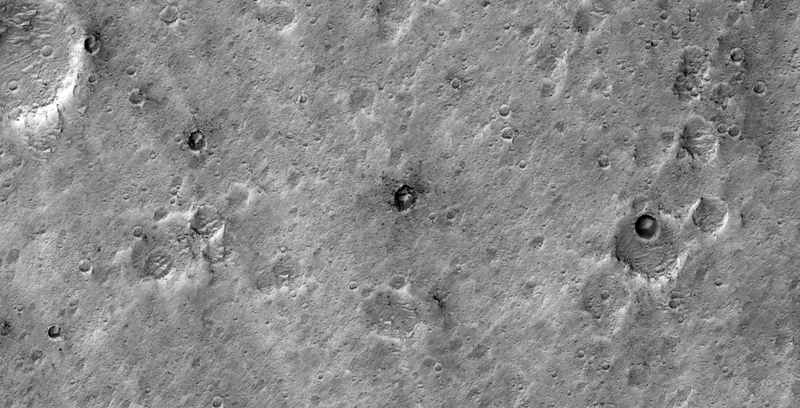 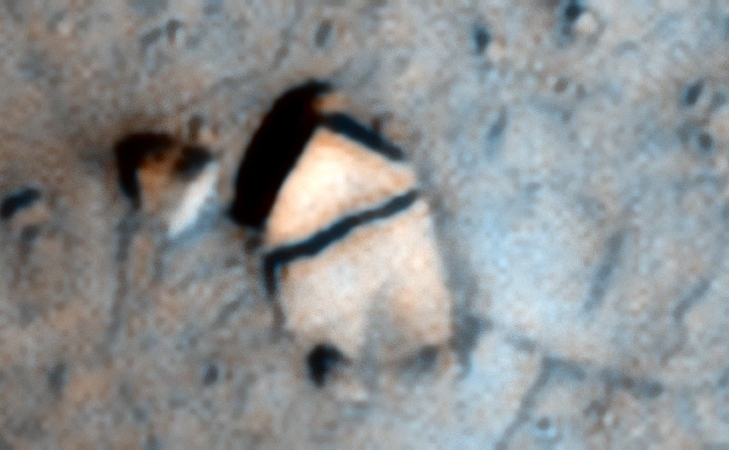 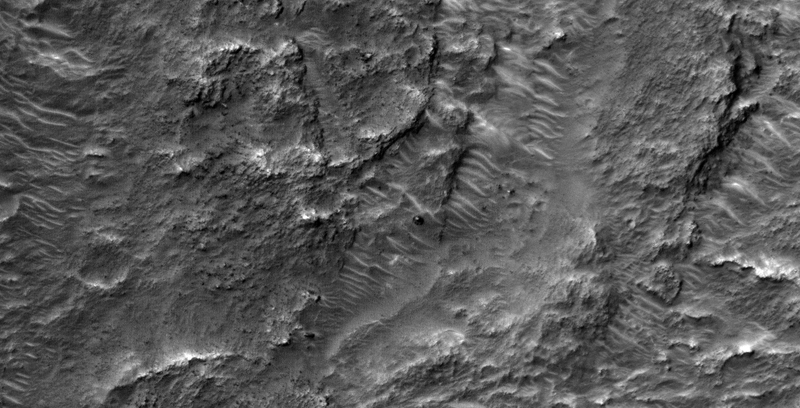 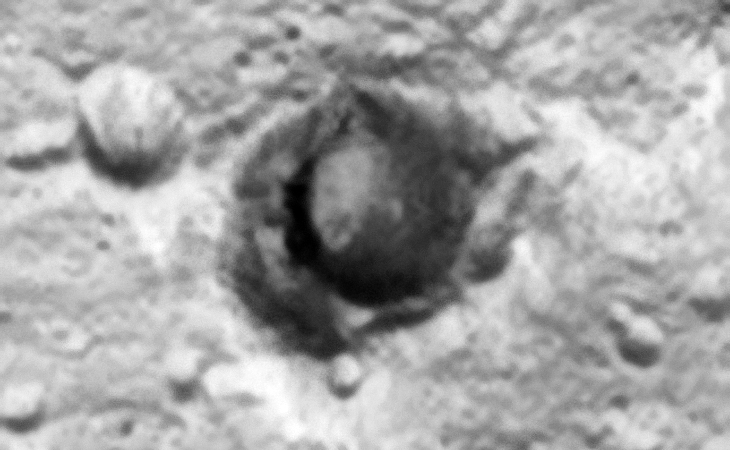 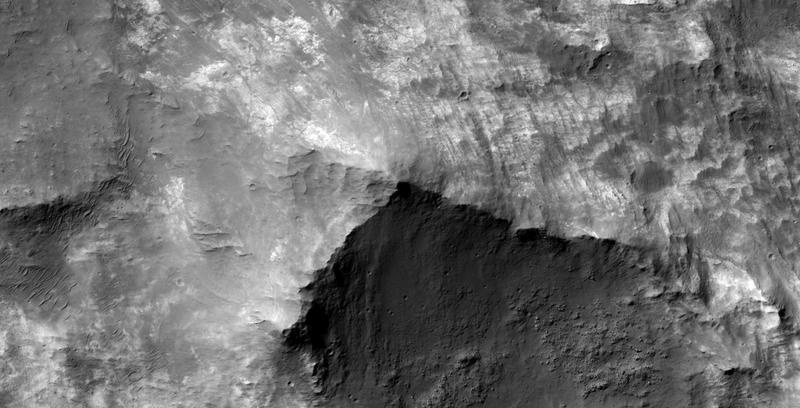 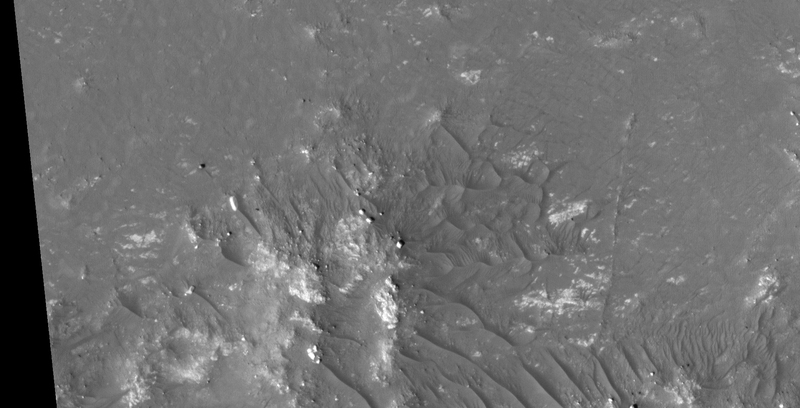 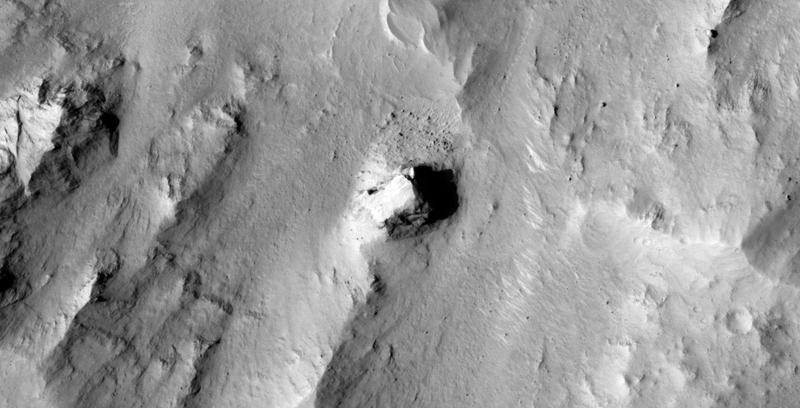 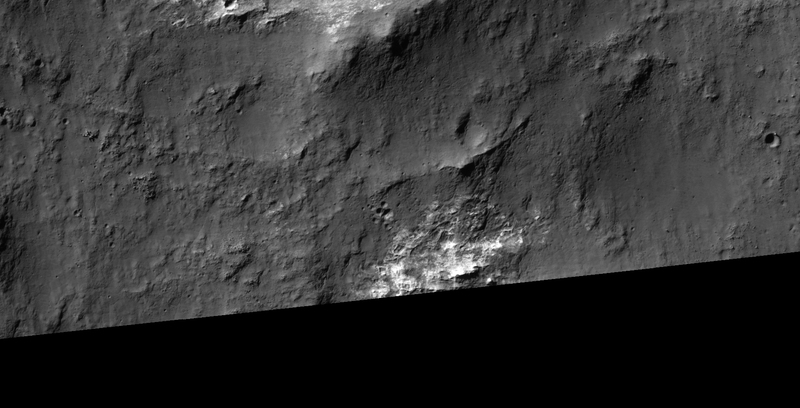 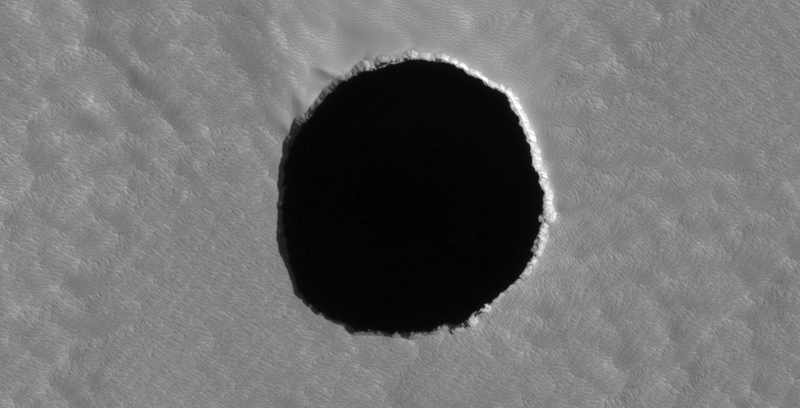 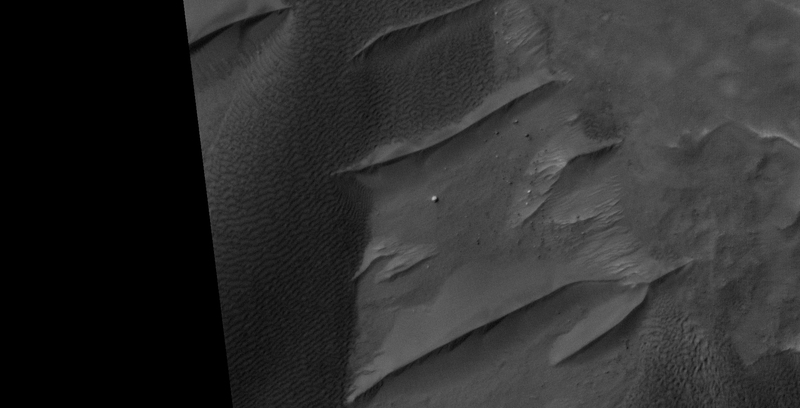 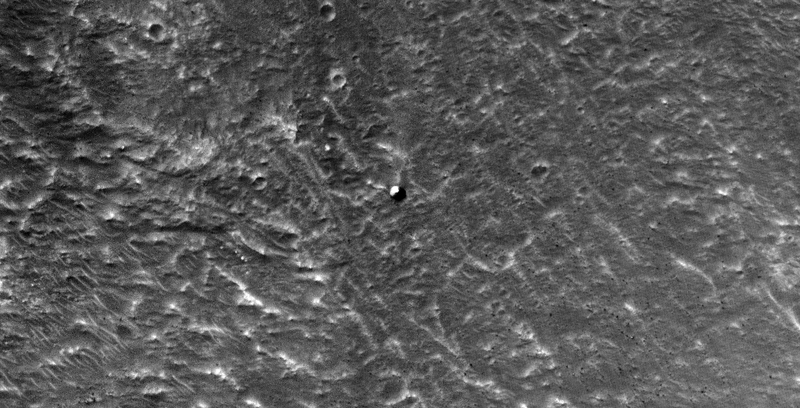 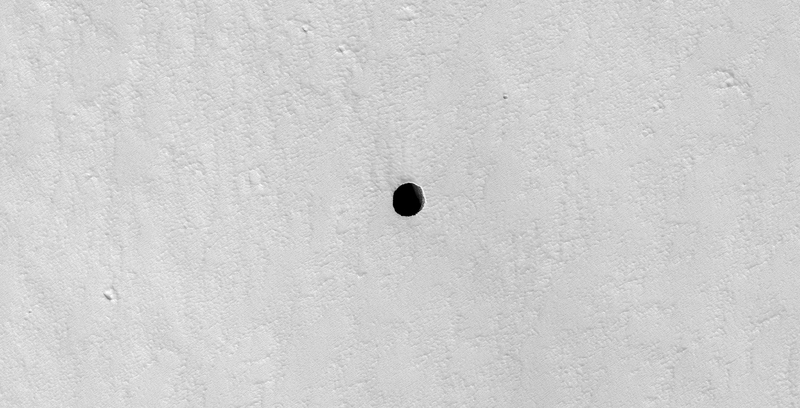 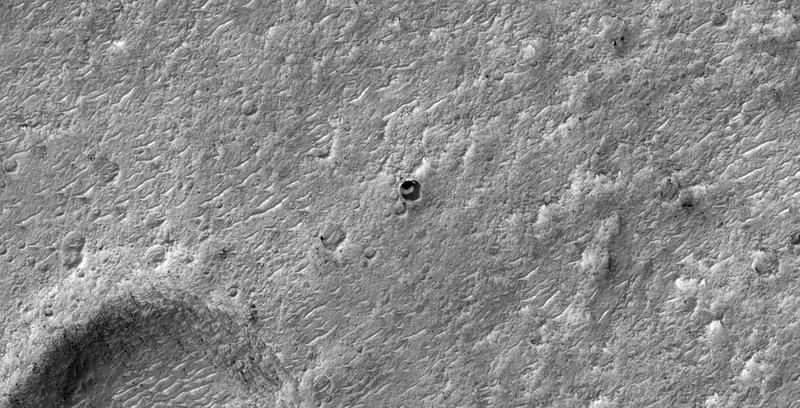 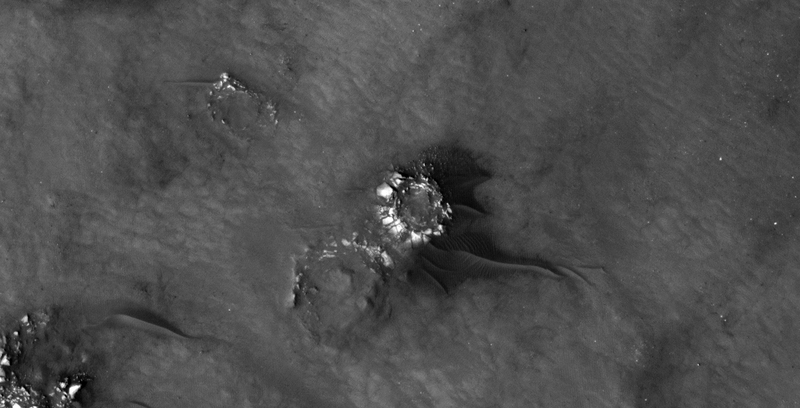 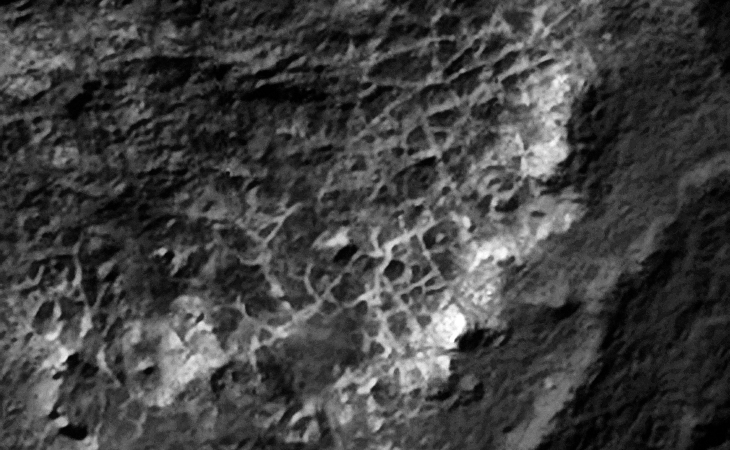 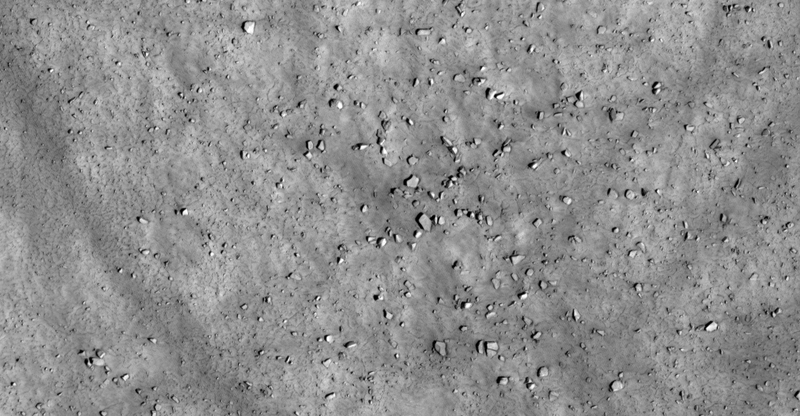 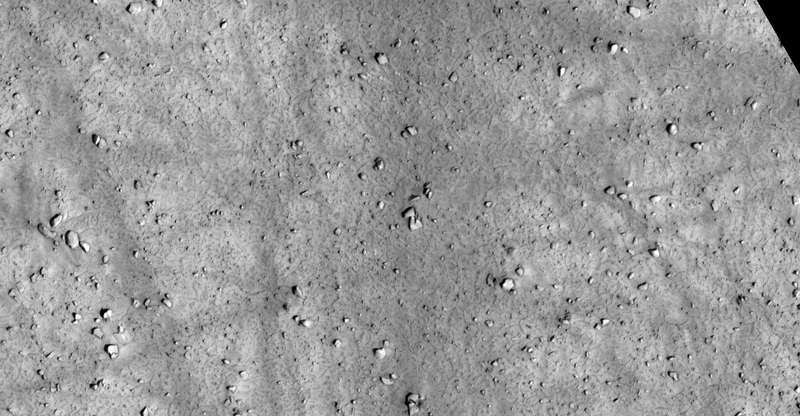 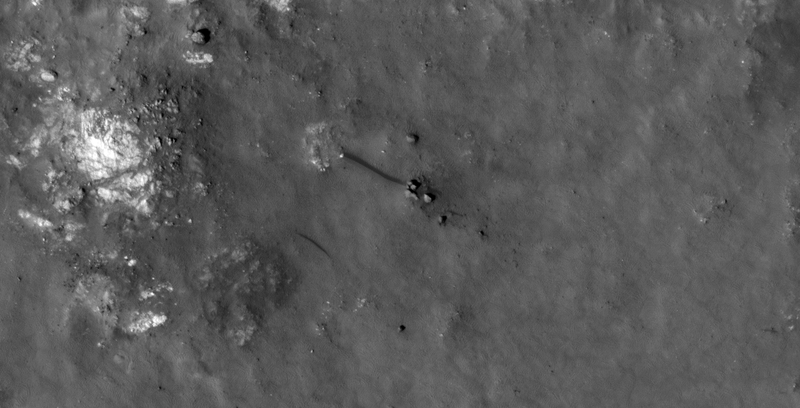 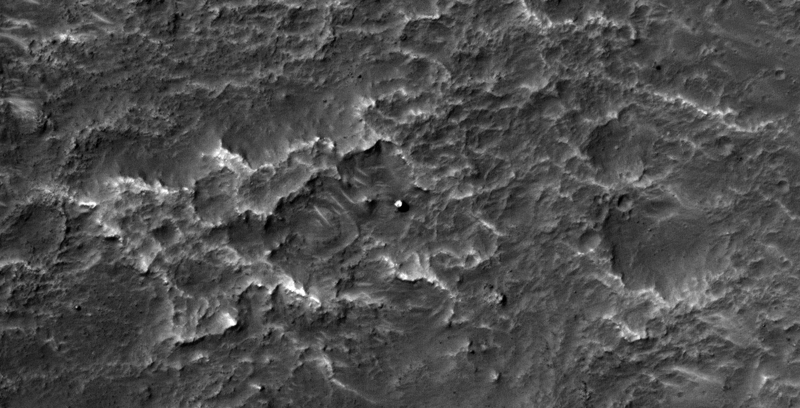 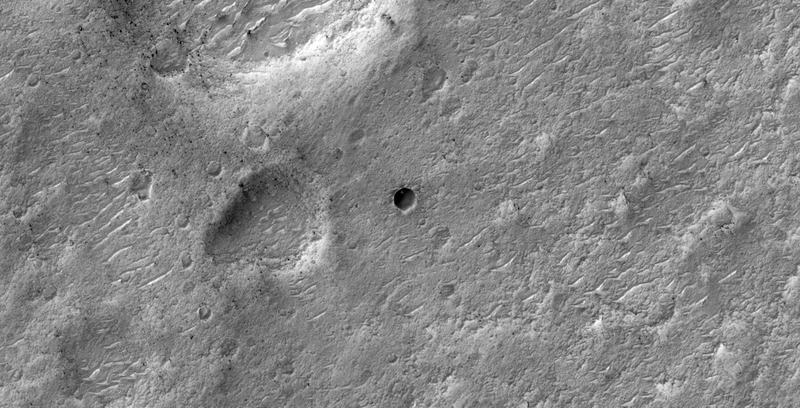 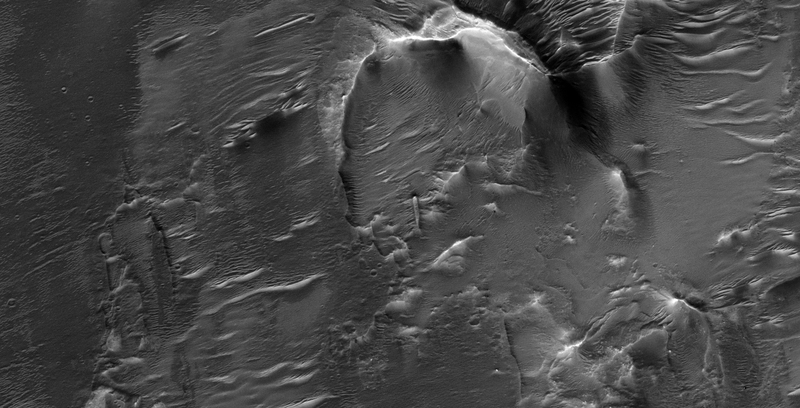 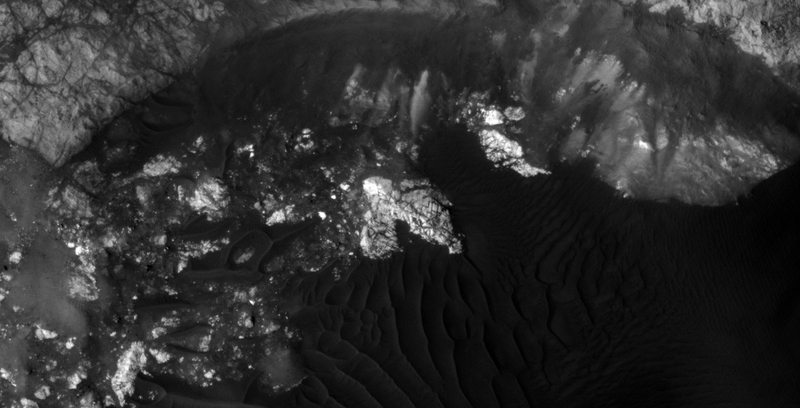 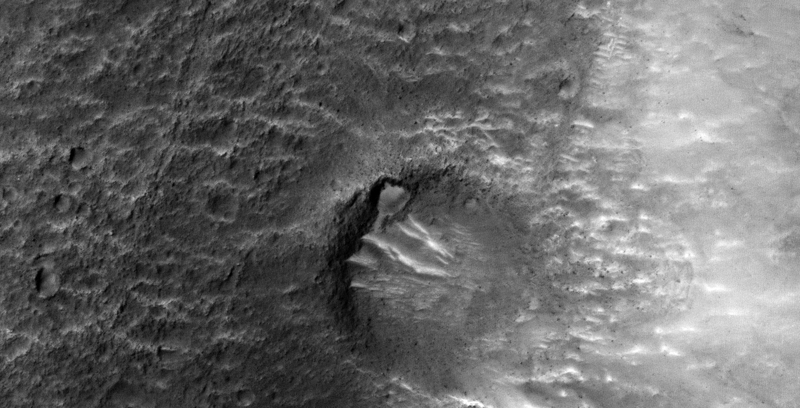 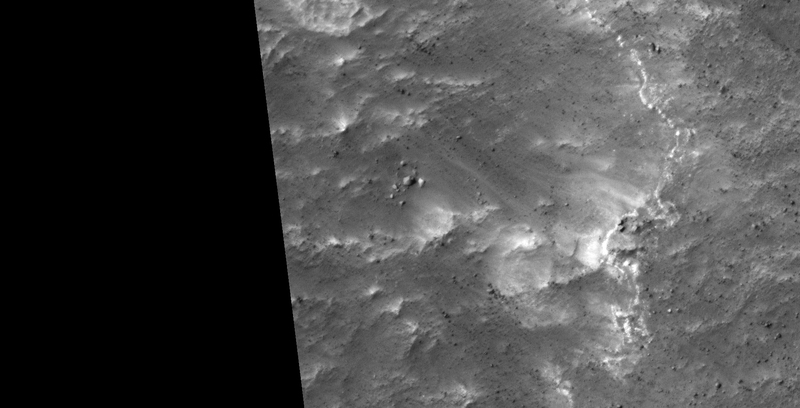 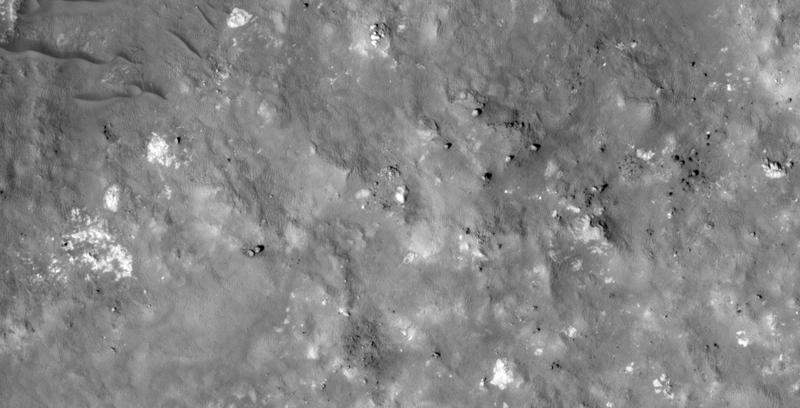 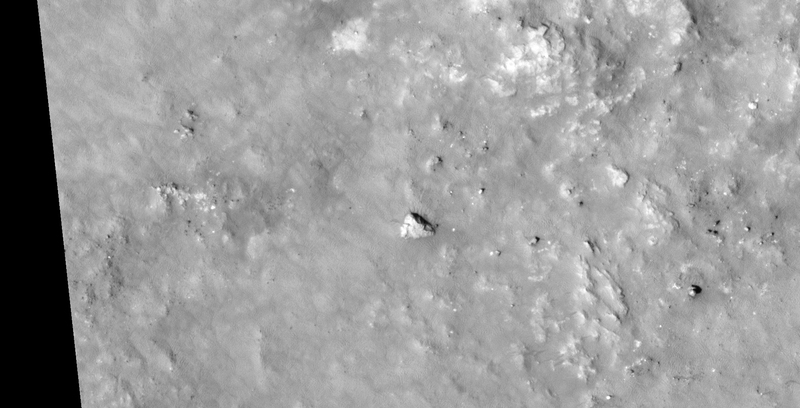 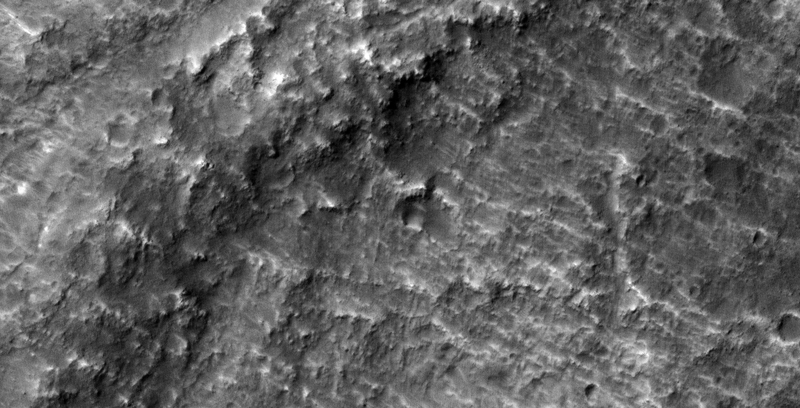 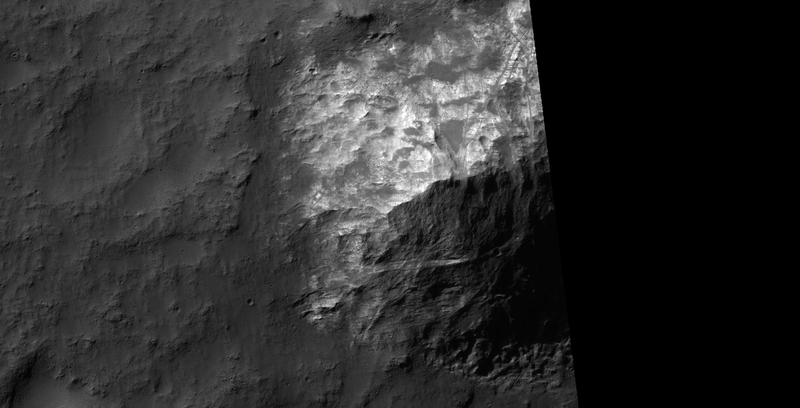 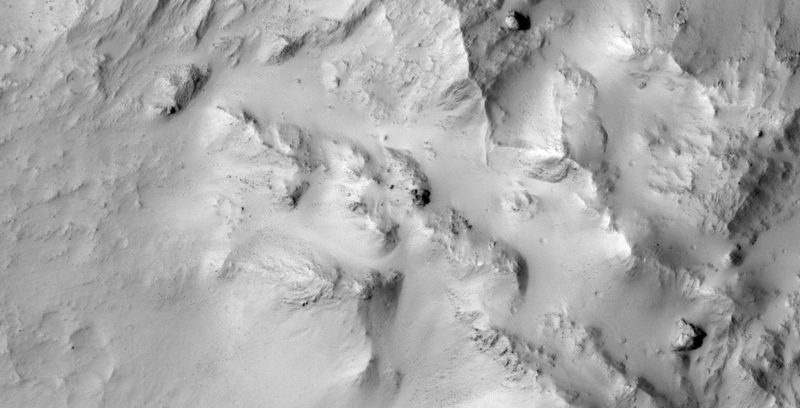 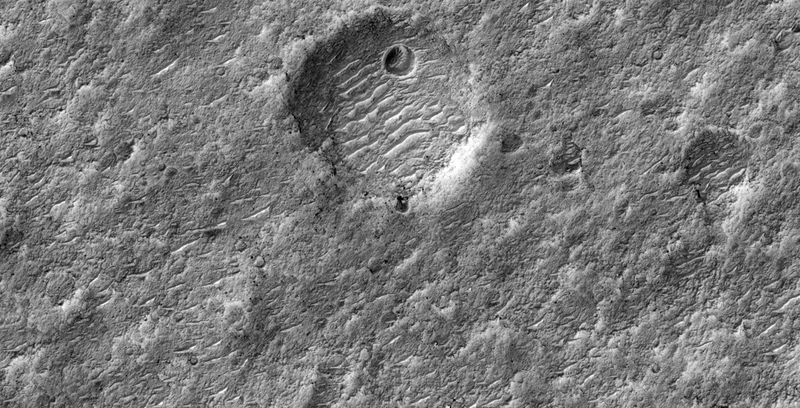 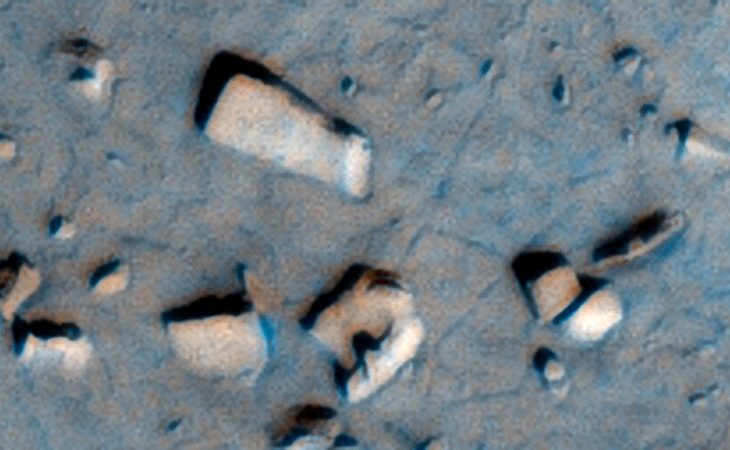 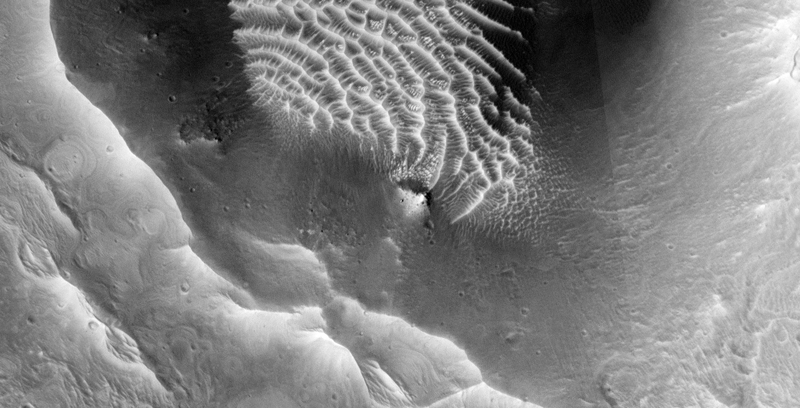 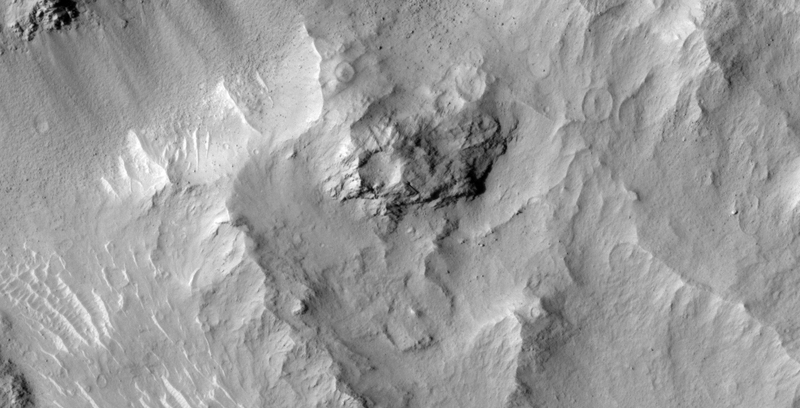 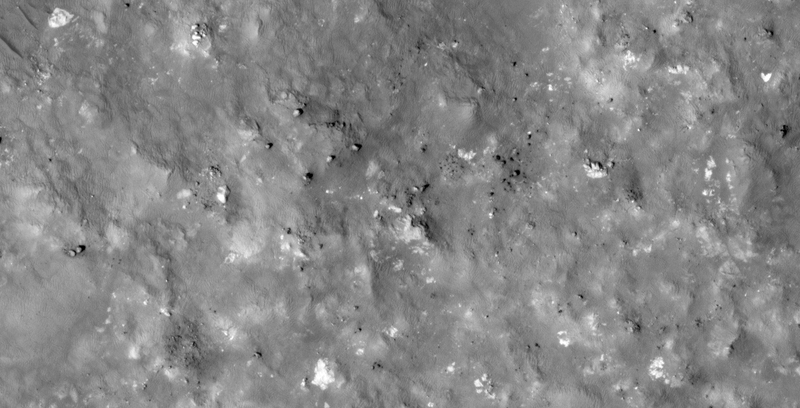 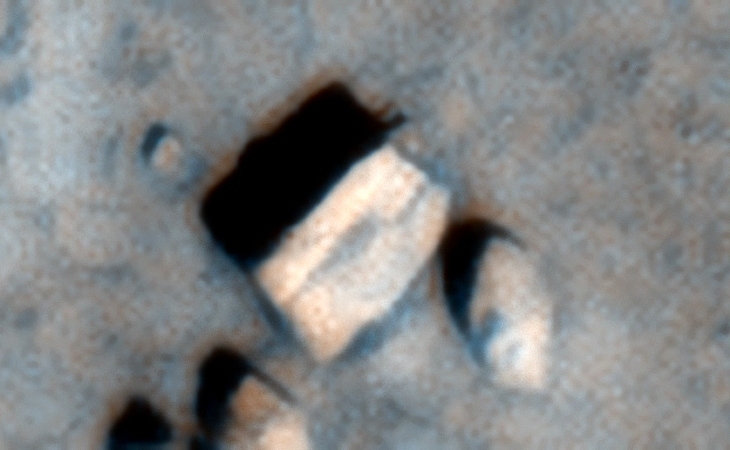 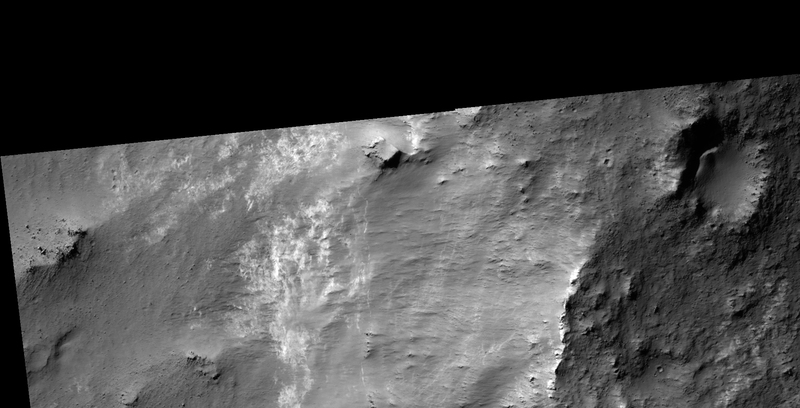 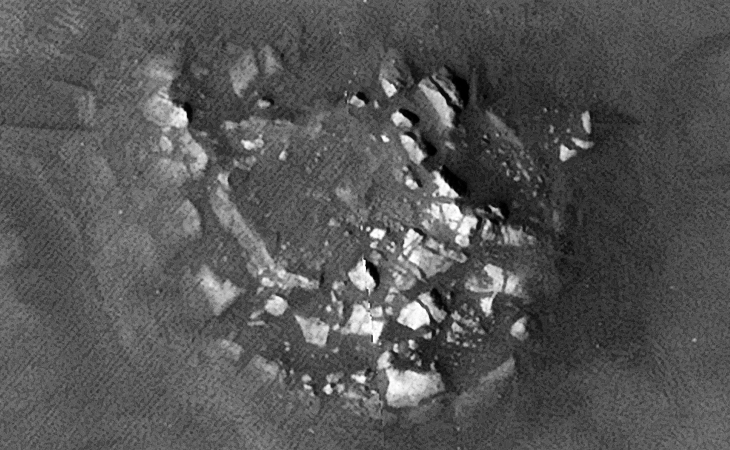 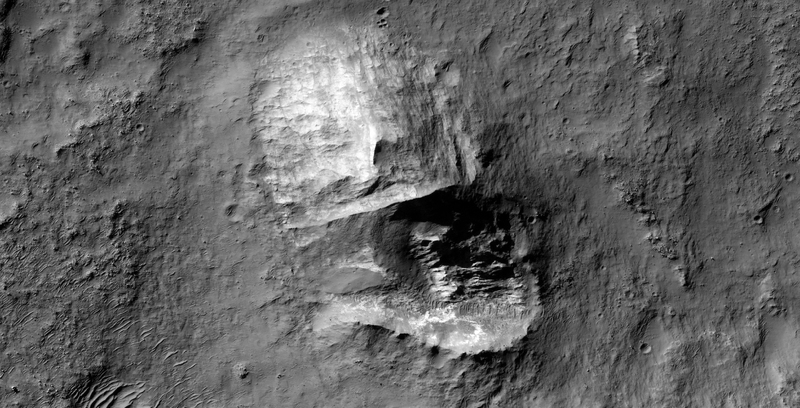 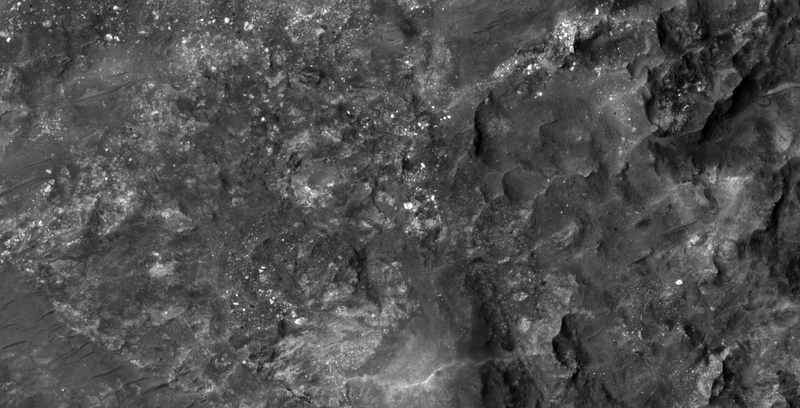 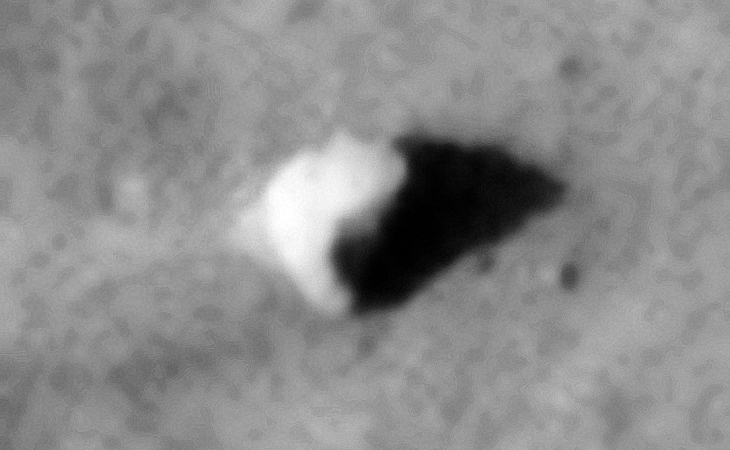 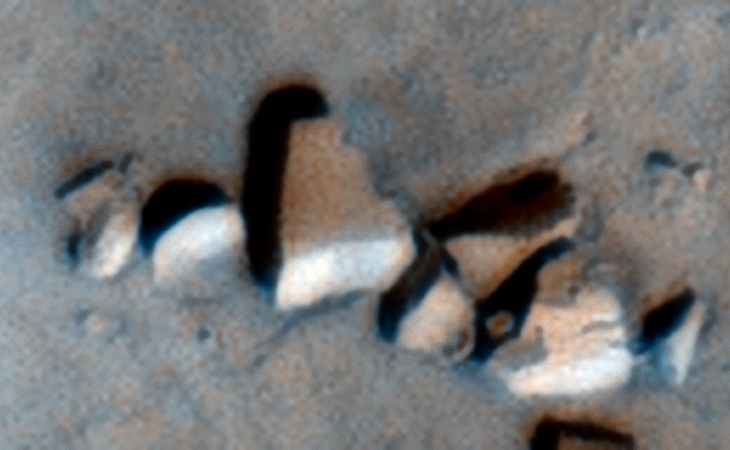 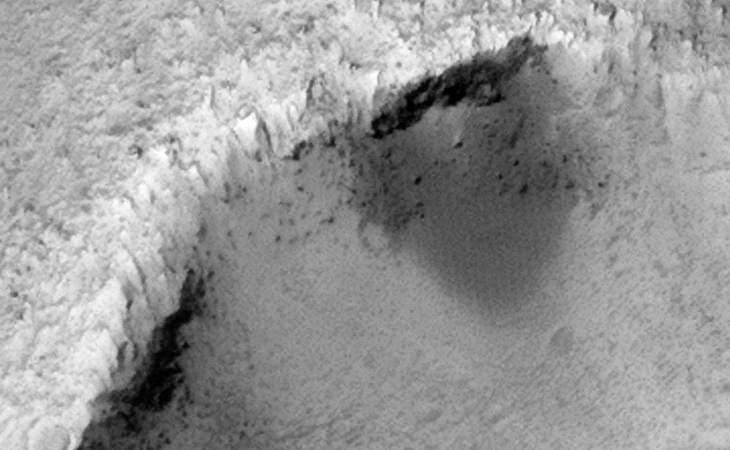 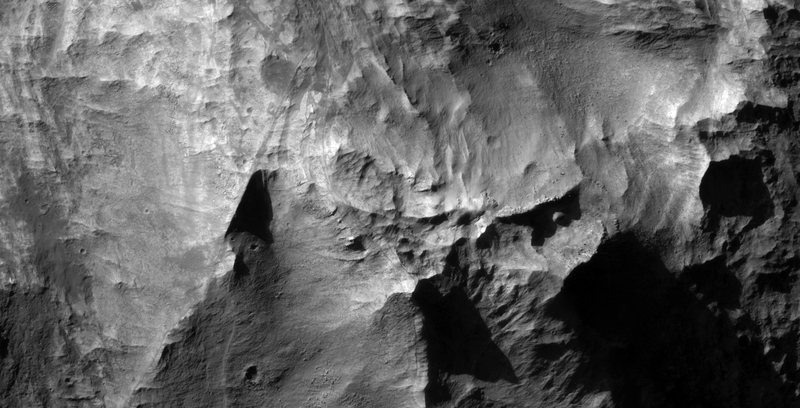 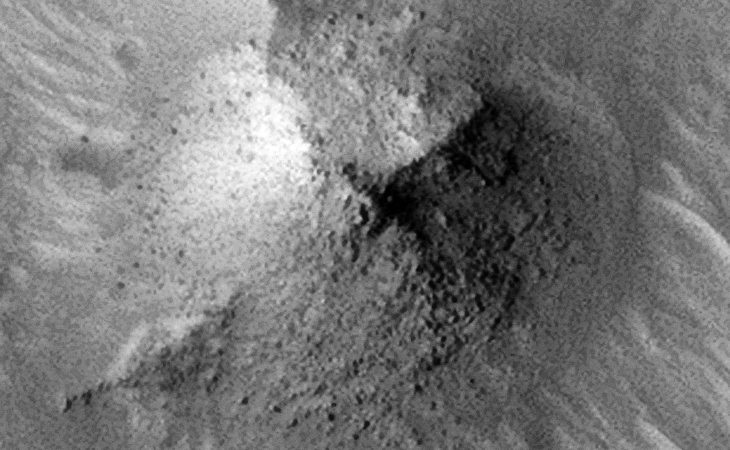 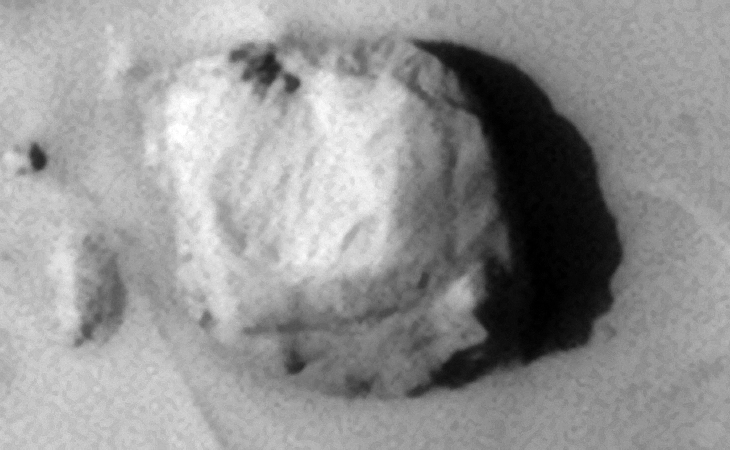 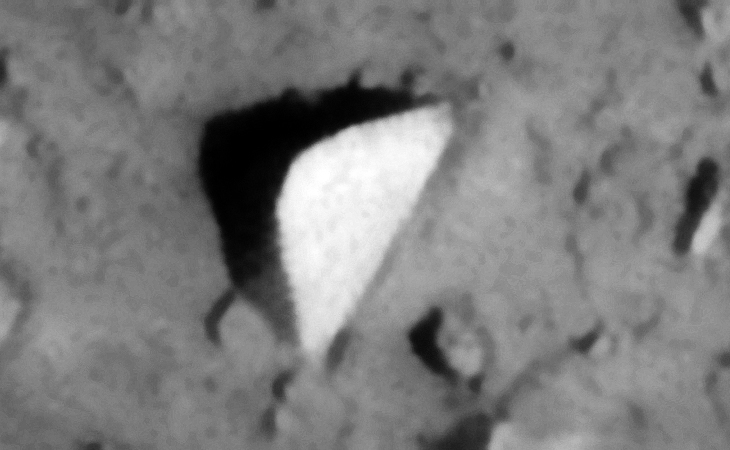 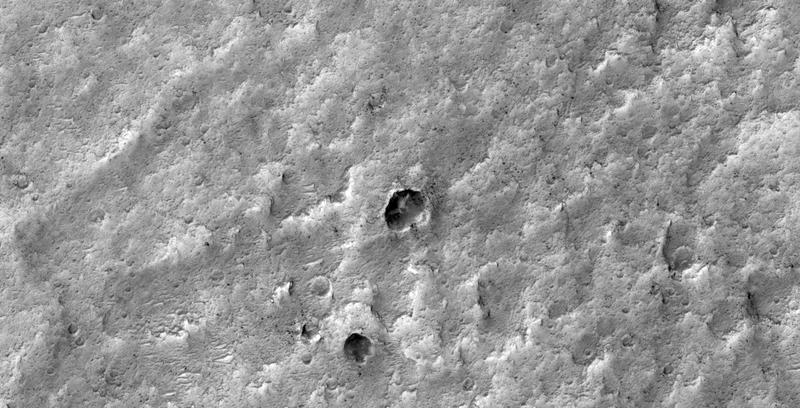 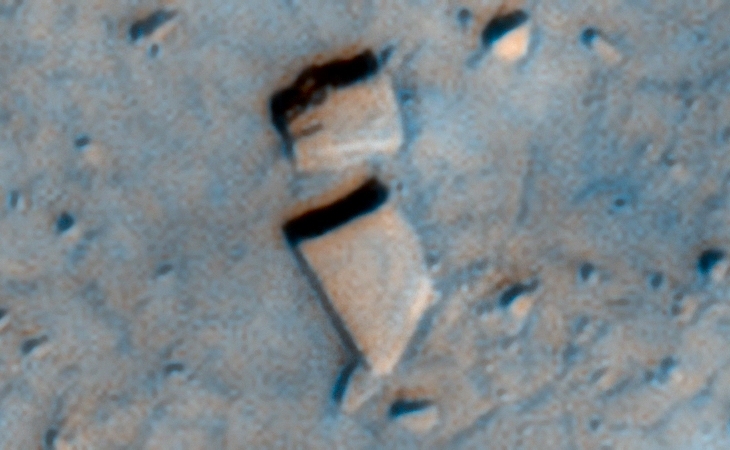 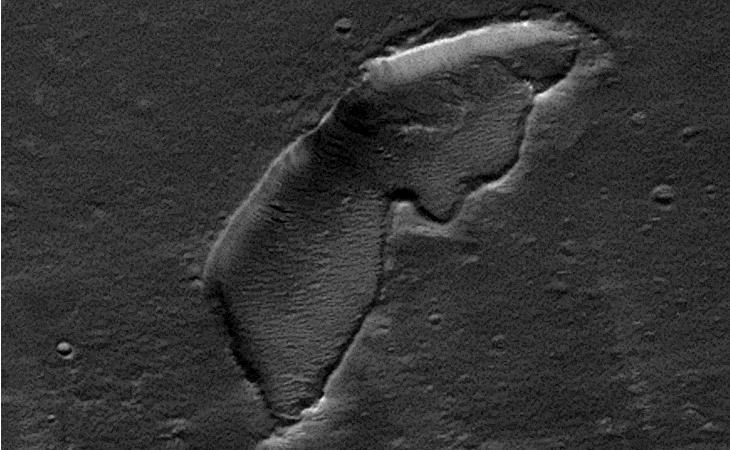 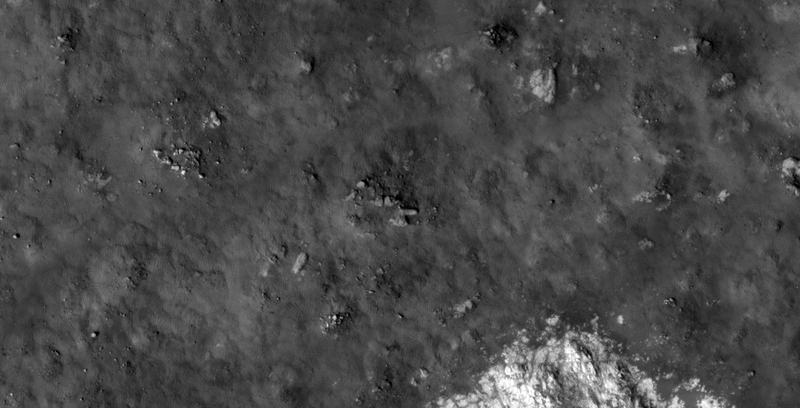 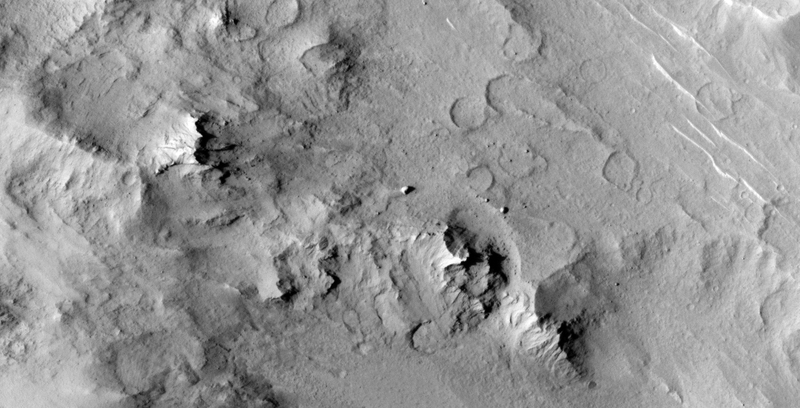 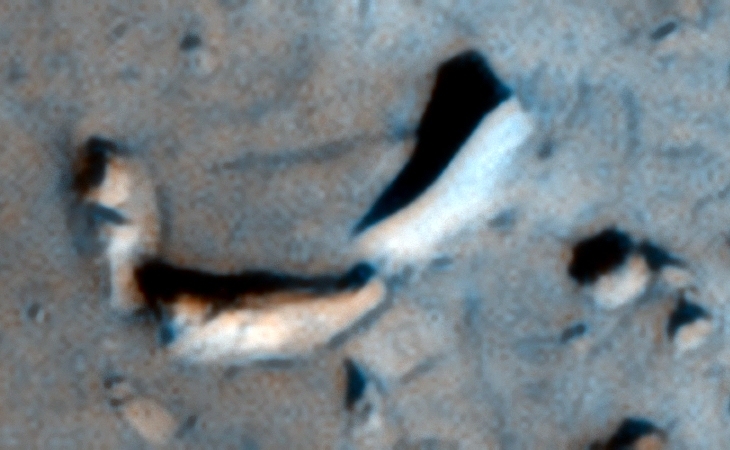 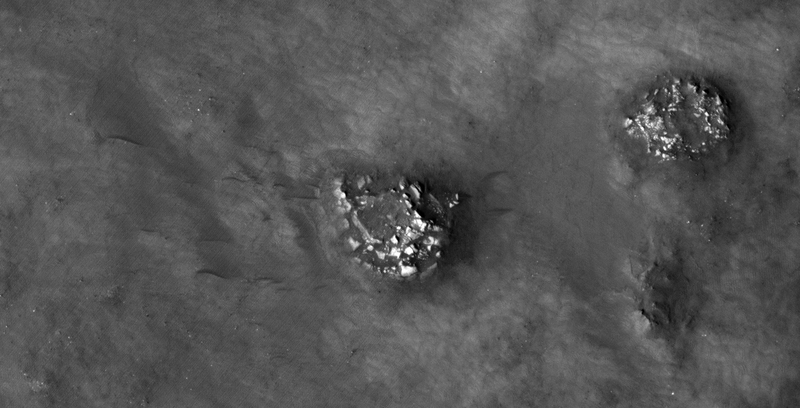 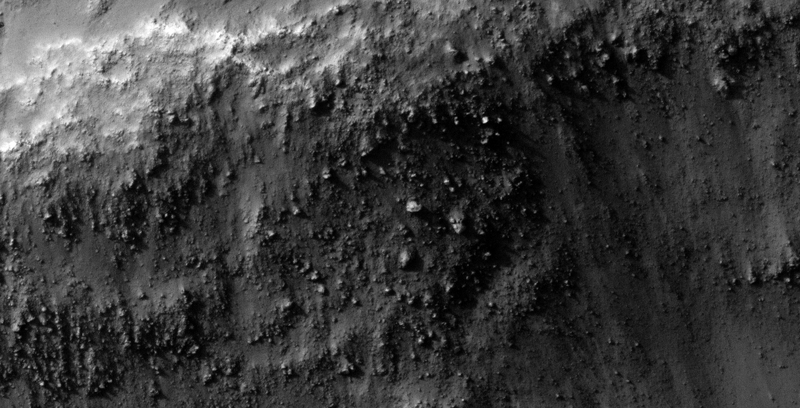 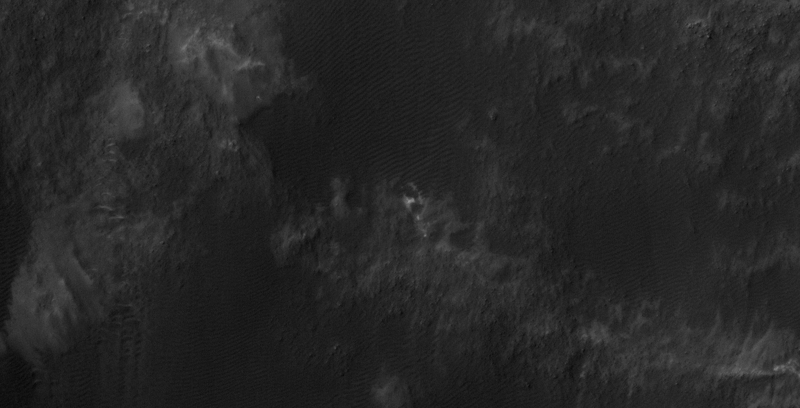 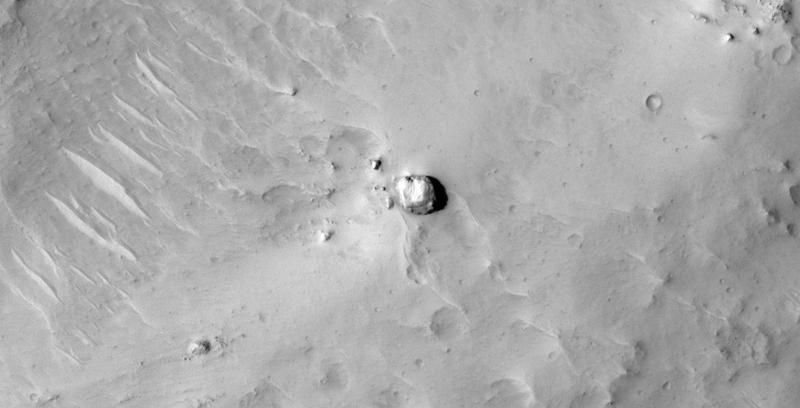 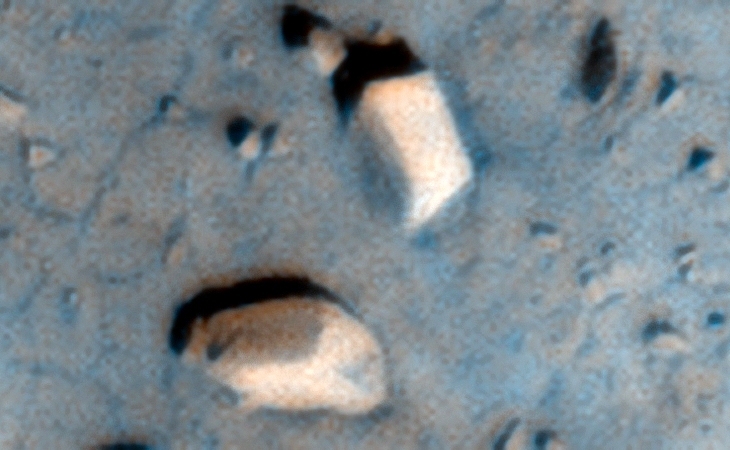 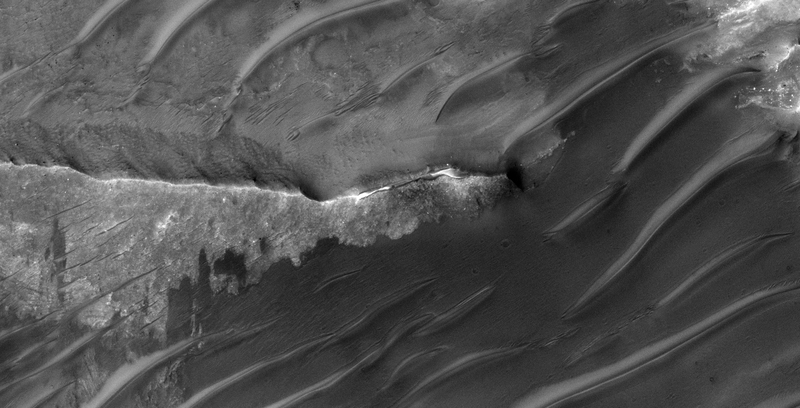 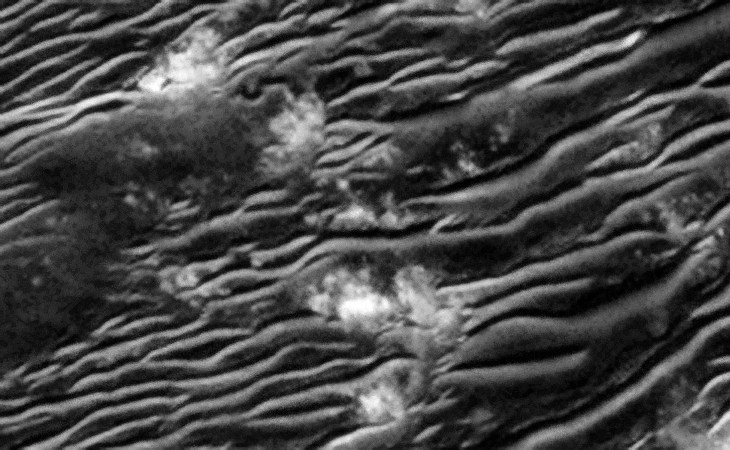 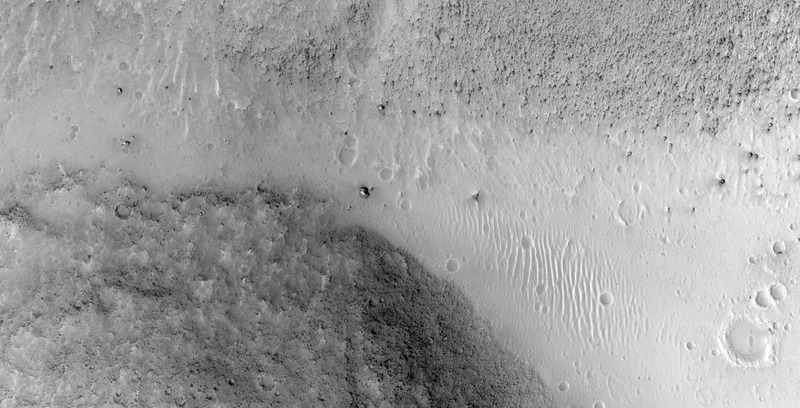 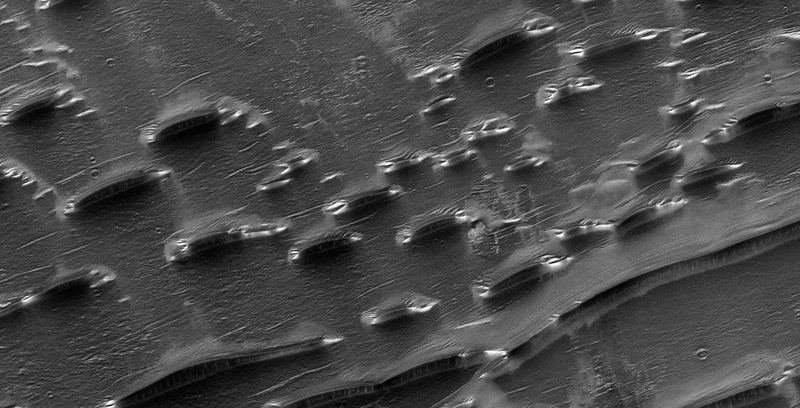 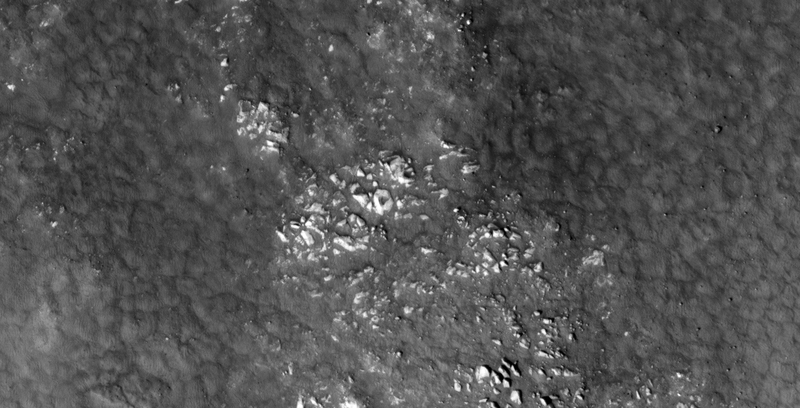 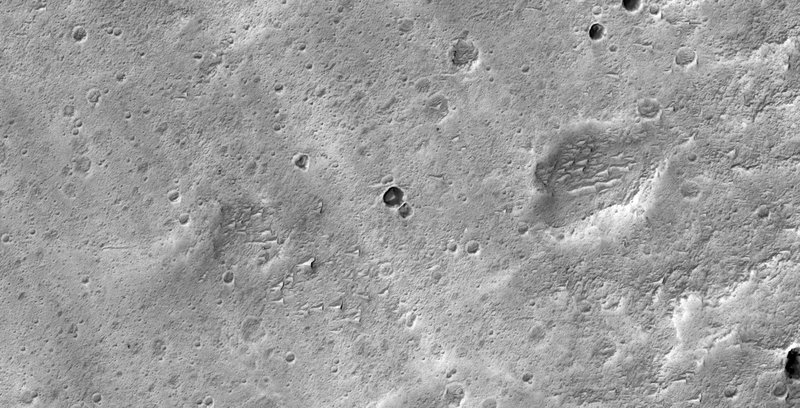 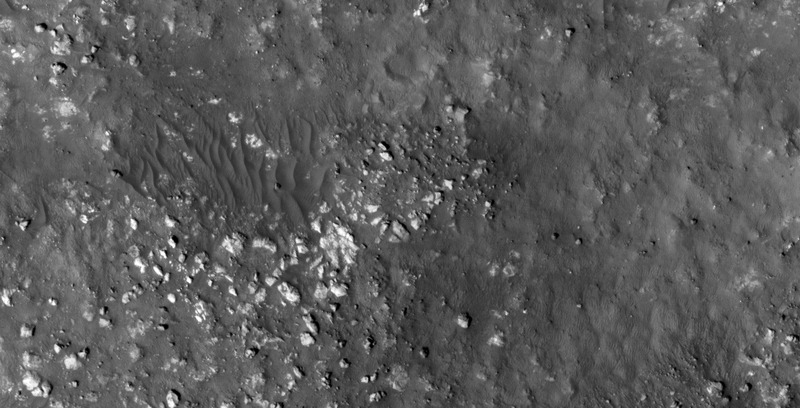 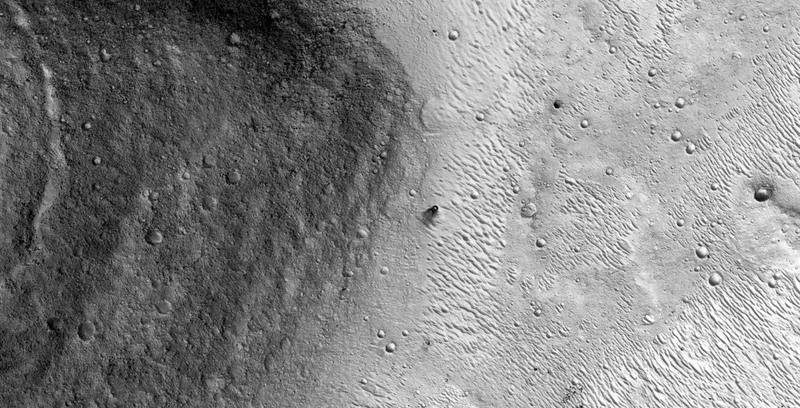 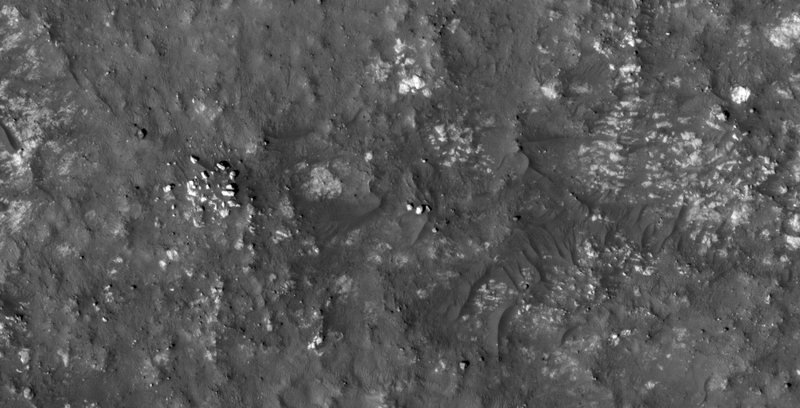 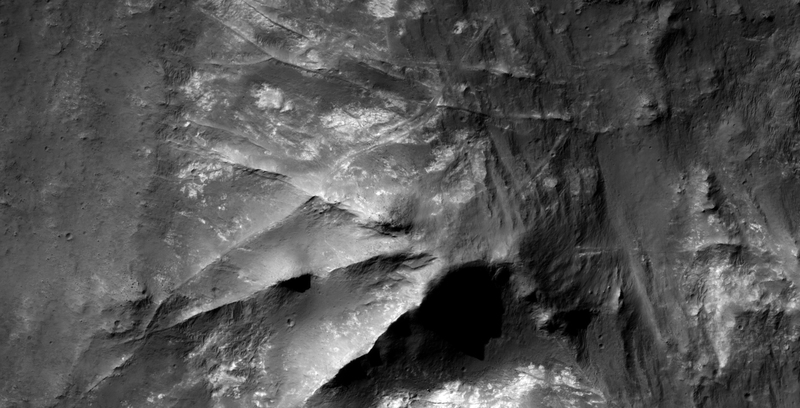 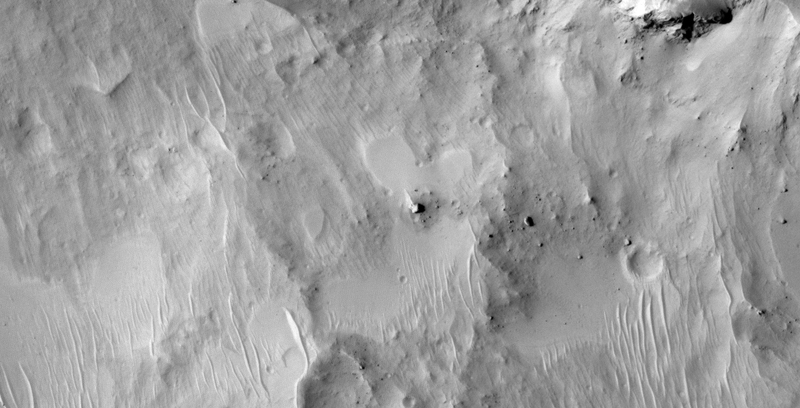 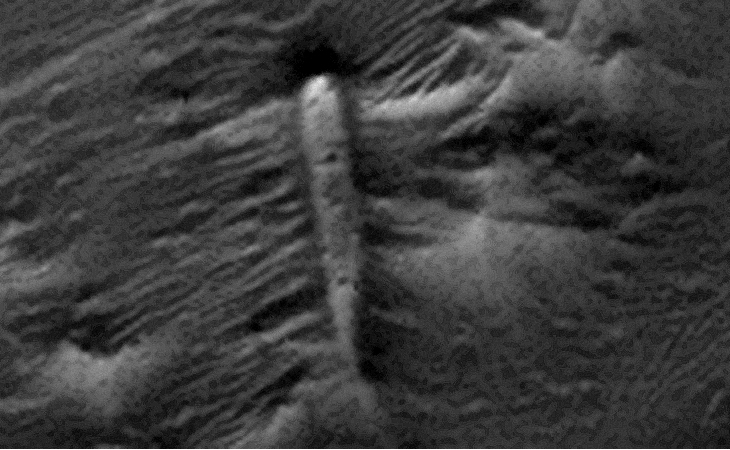 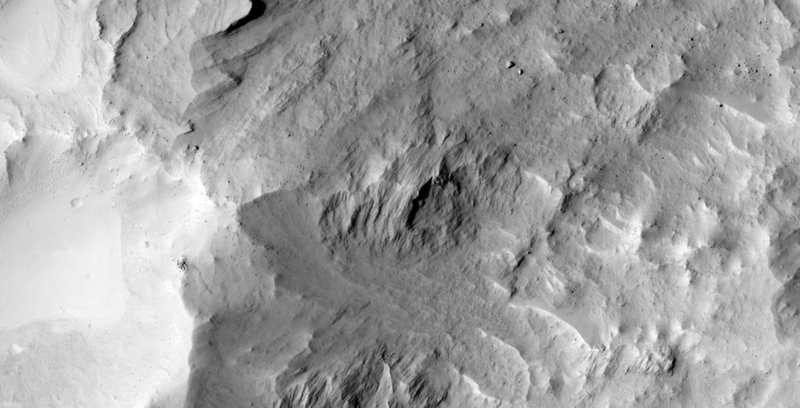 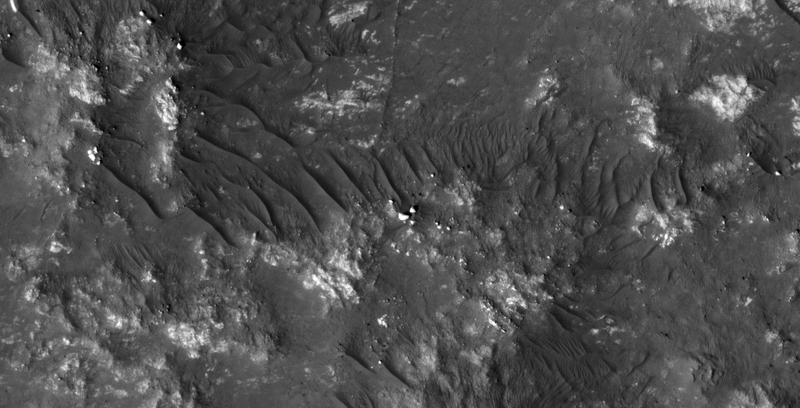 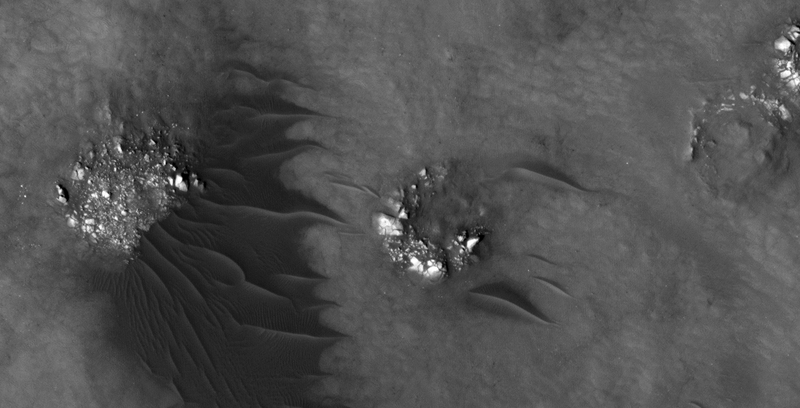 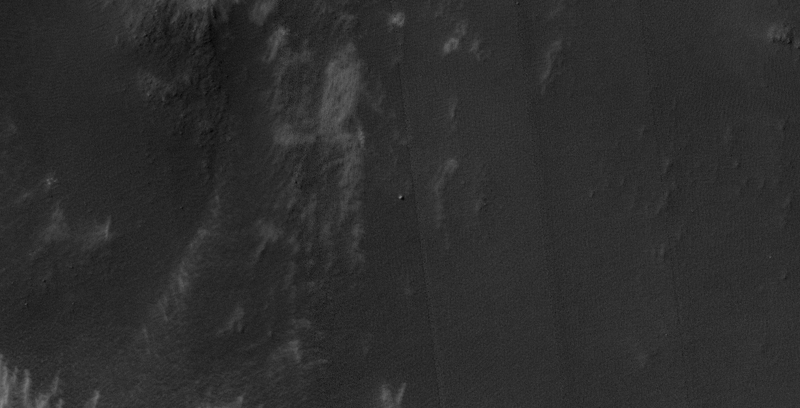 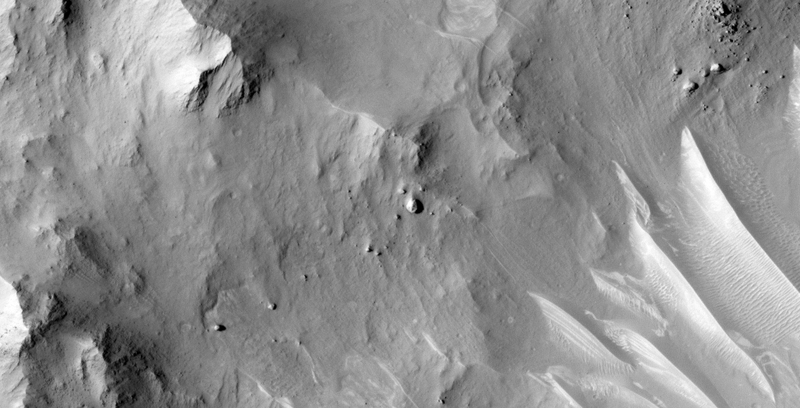 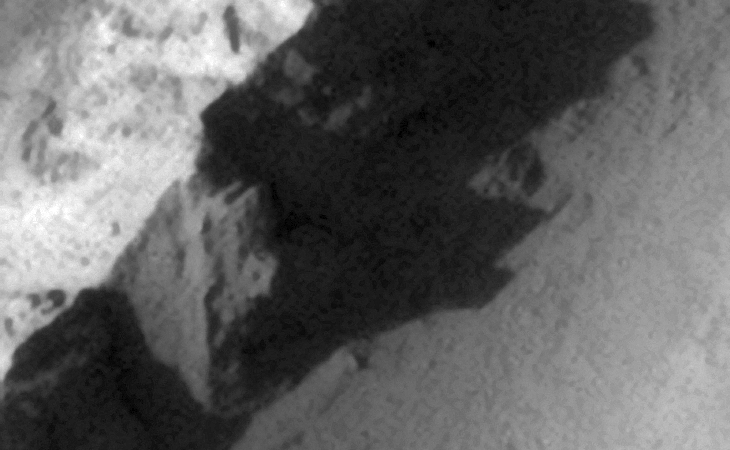 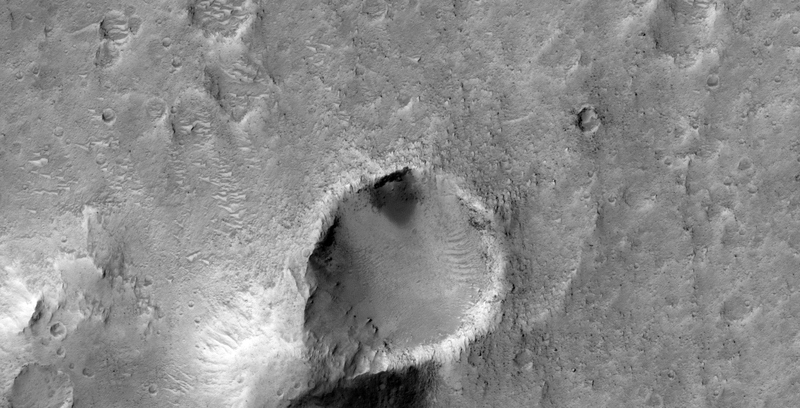 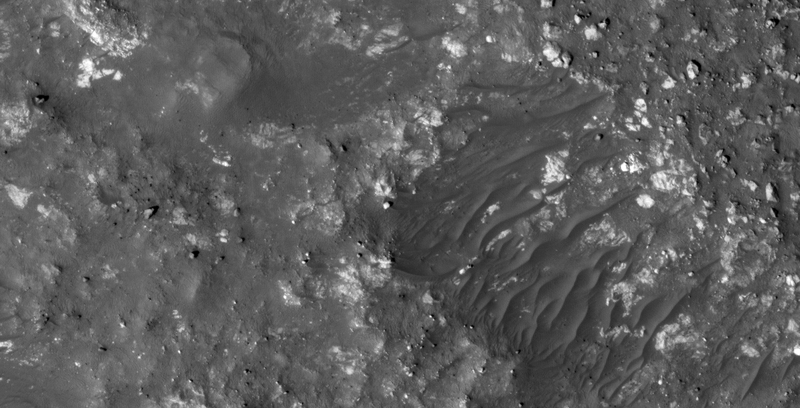 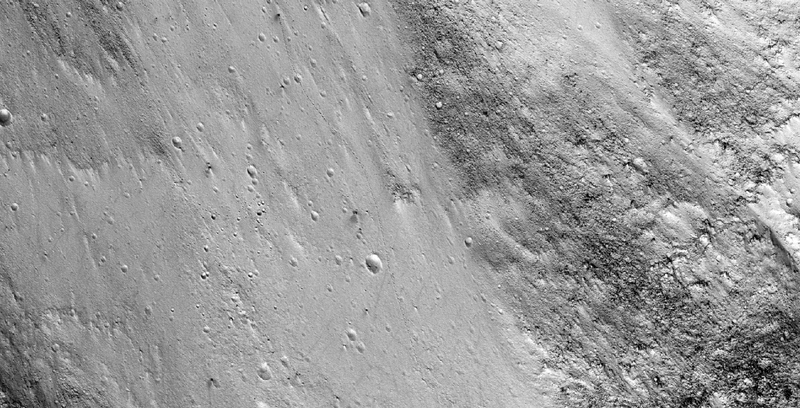 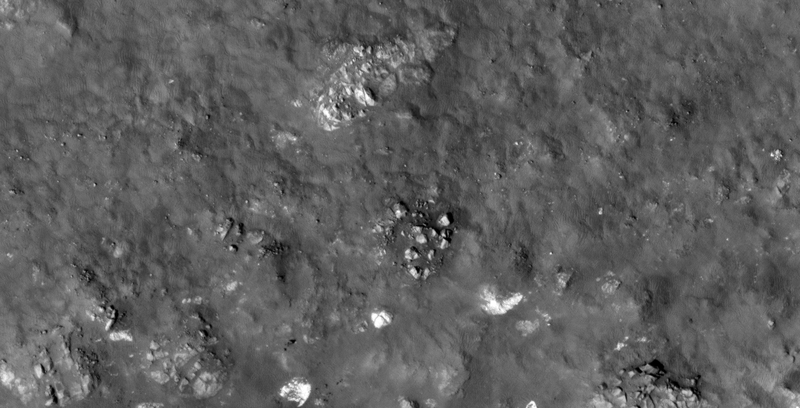 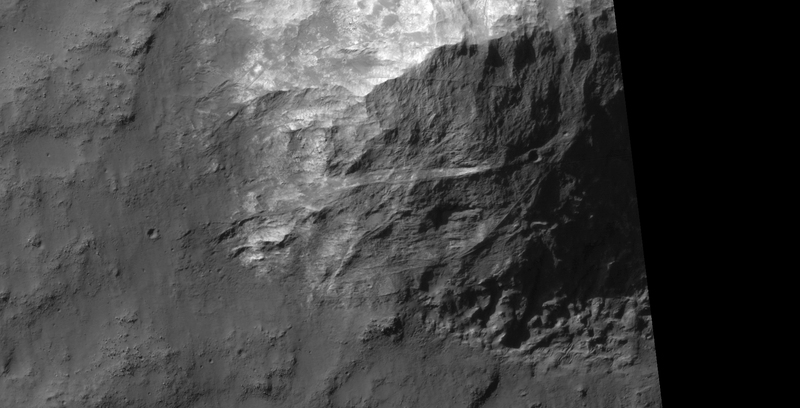 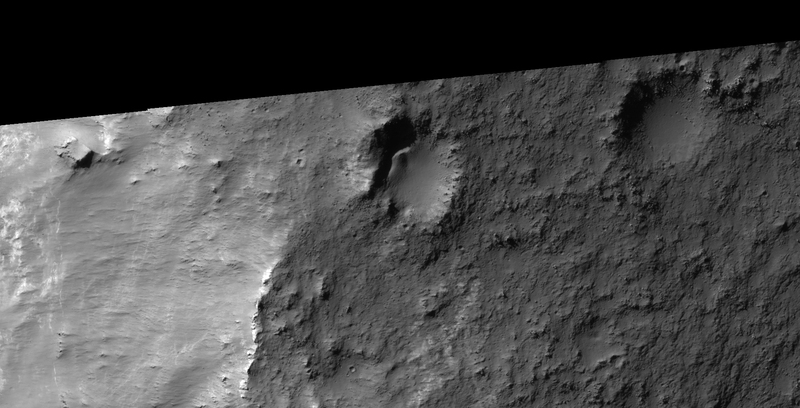 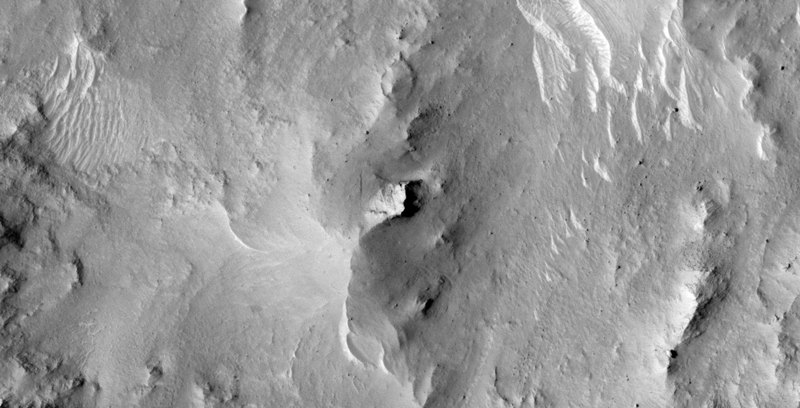 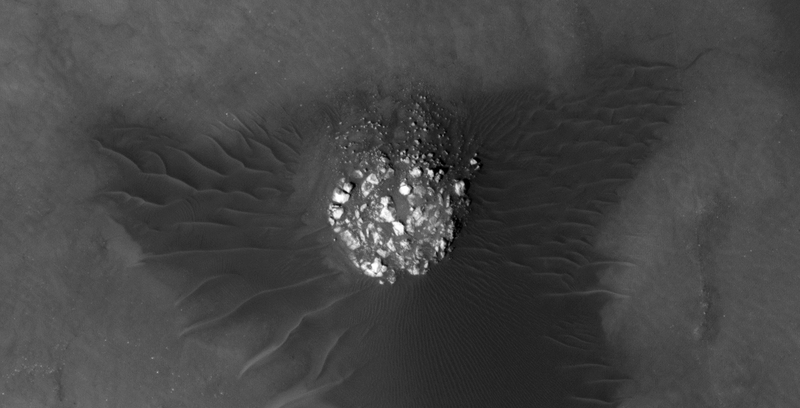 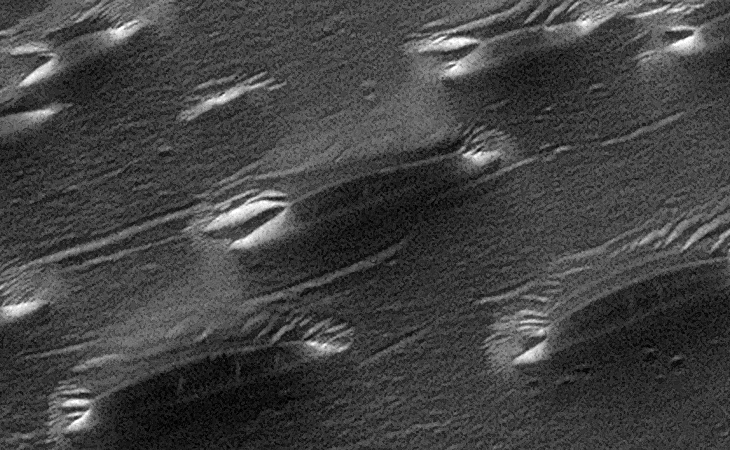 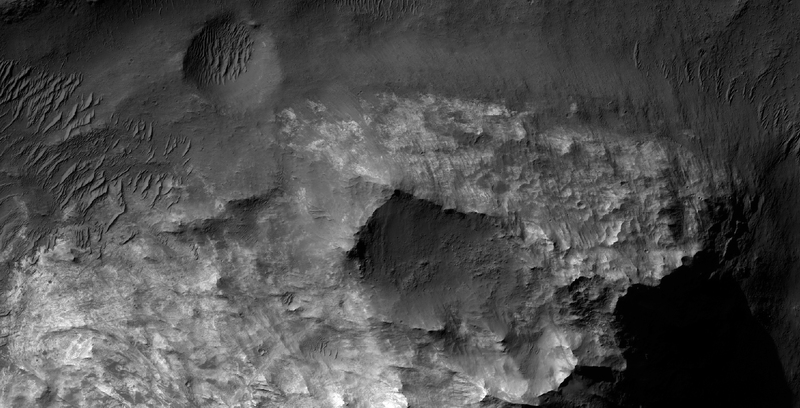 This photograph (PSP_009161_1450) was taken by NASA’s Mars Reconnaissance Orbiter (MRO) HiRISE Camera on 10 July 2008. 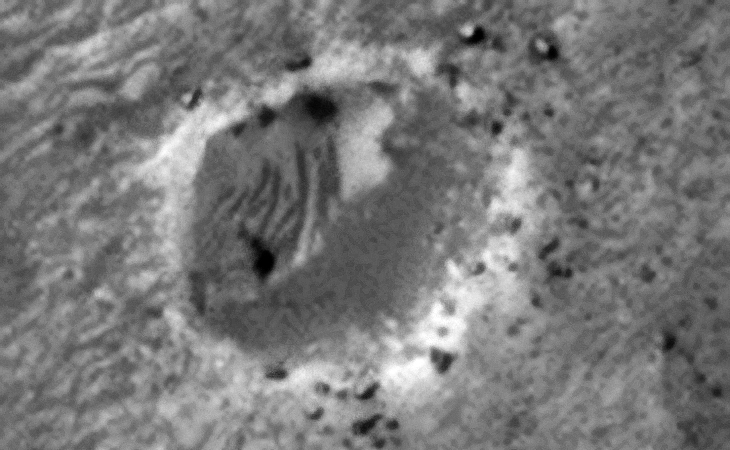 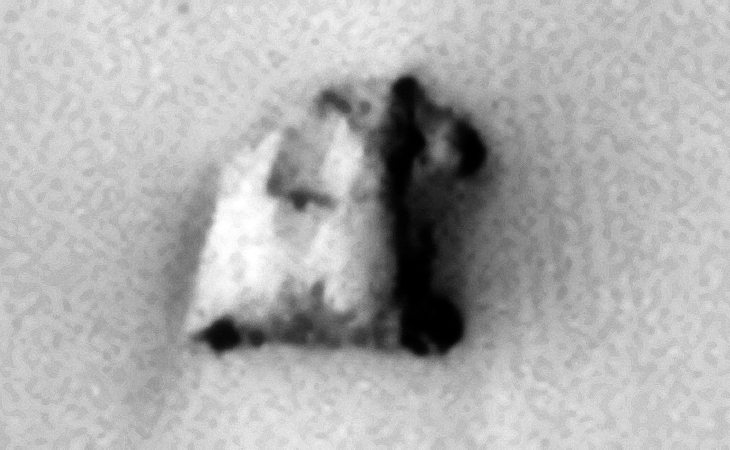 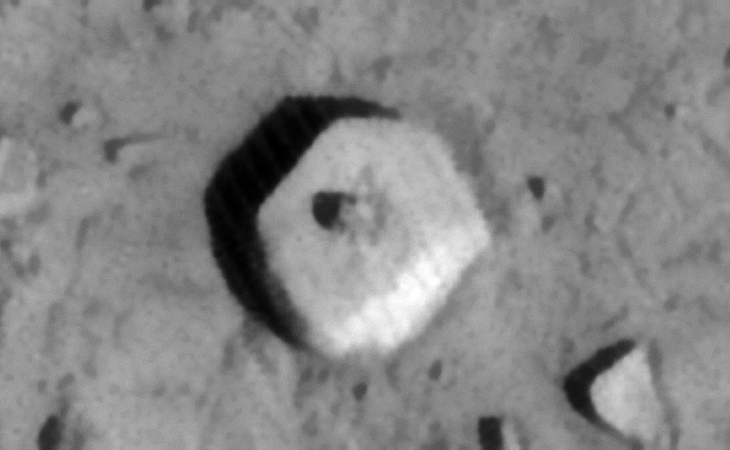 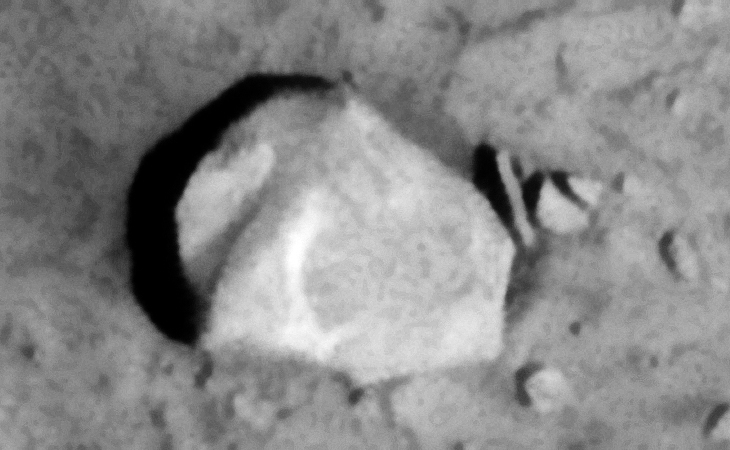 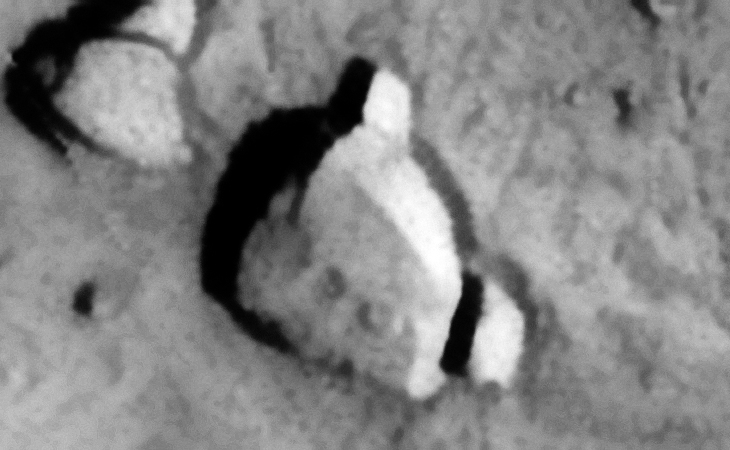 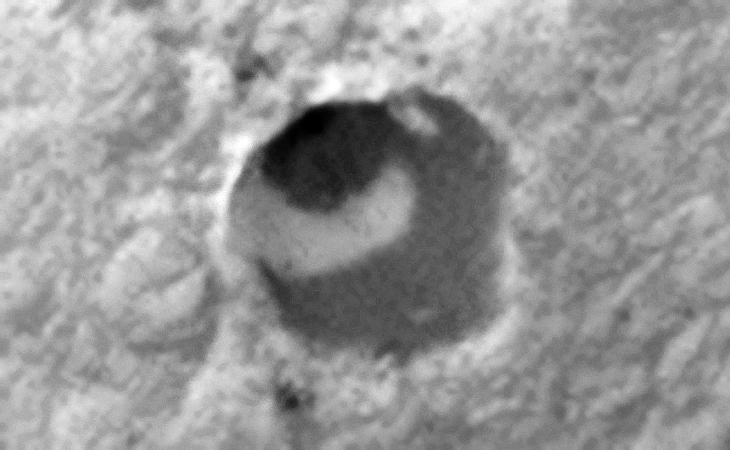 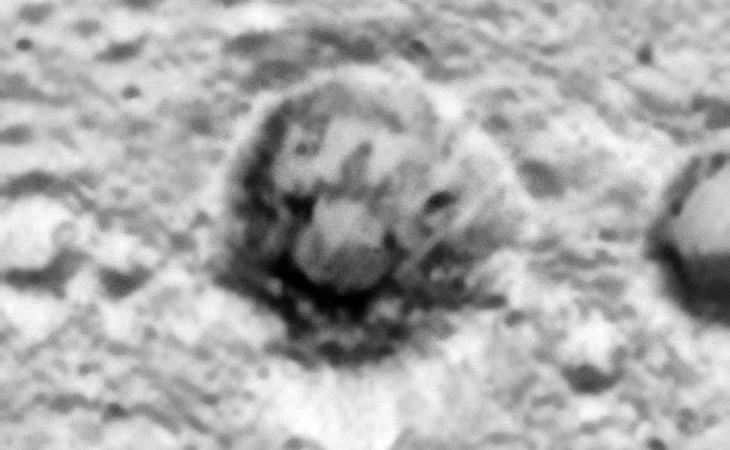 Discovered is what appears to be a small sphere or dome-shaped object approximately 15 metres in diameter as well as what look like pyramidal structures, pipes, grid-like structures, walls, open-pit mining quarries, underground entrance-ways and wreckage. 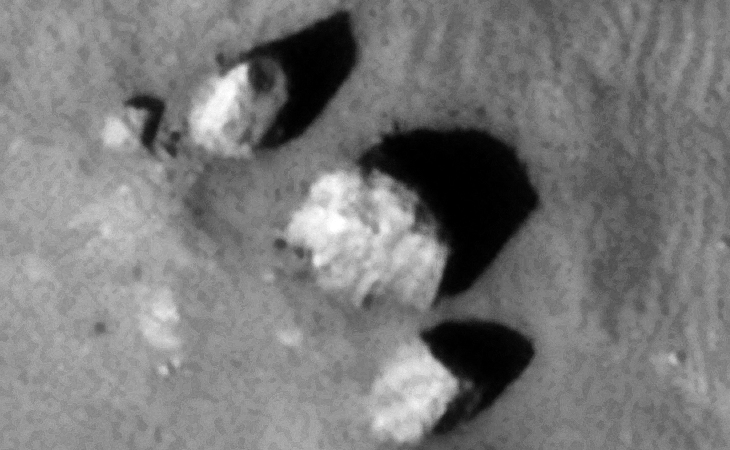 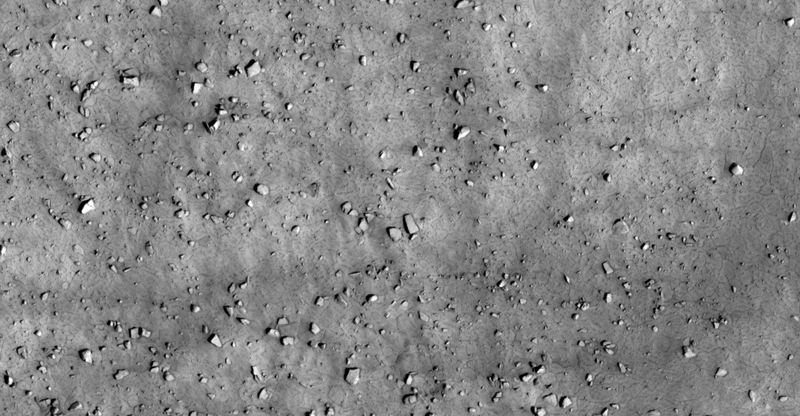 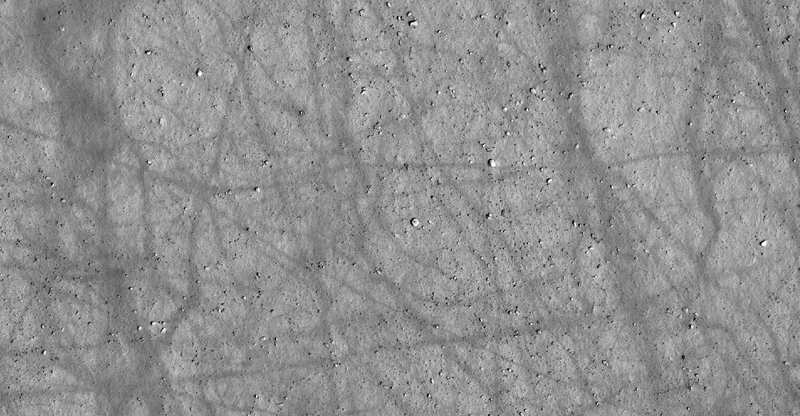 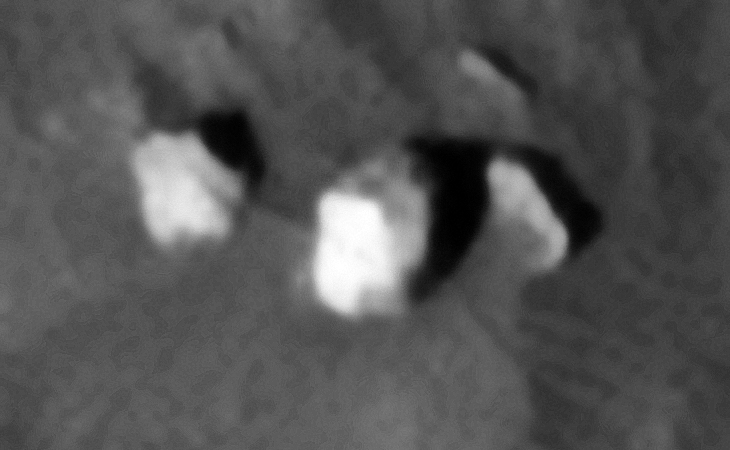 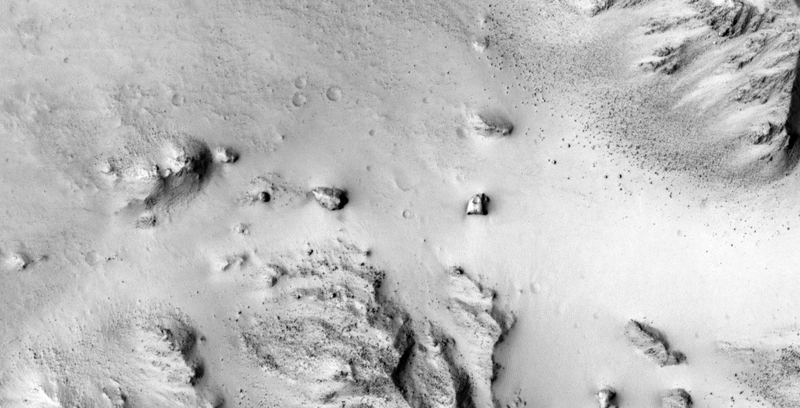 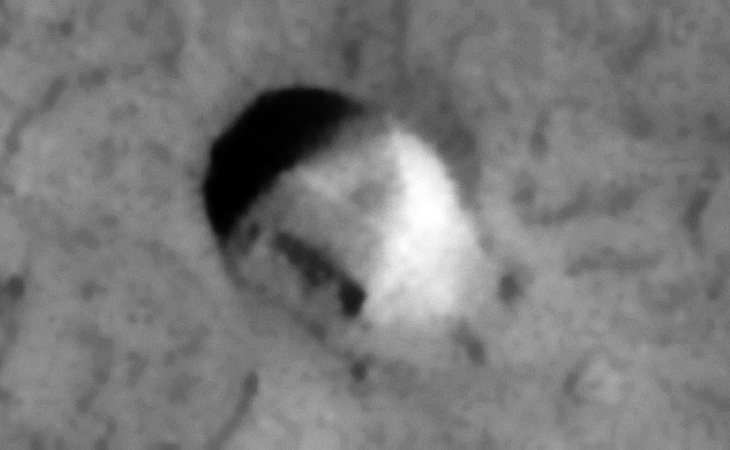 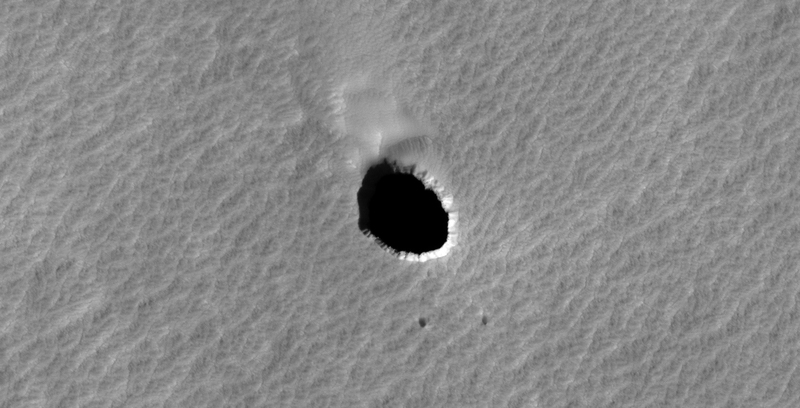 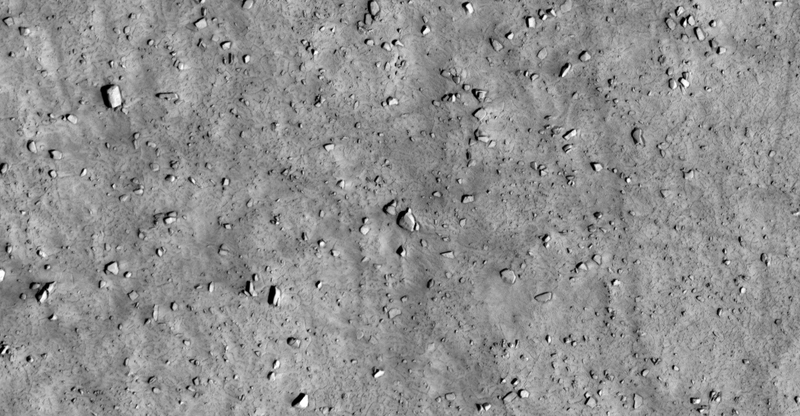 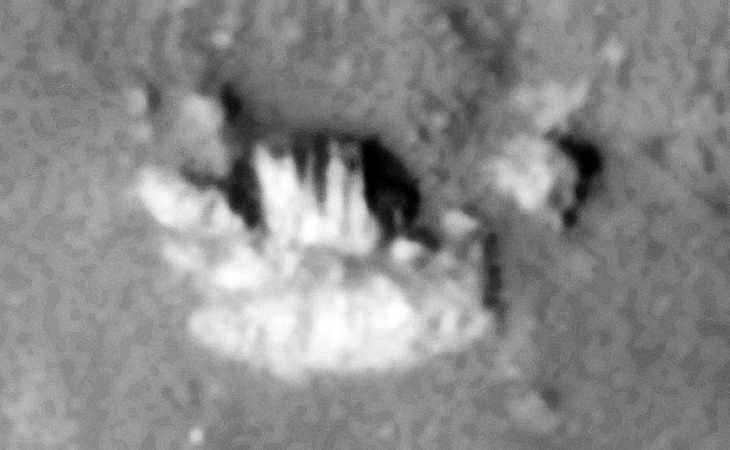 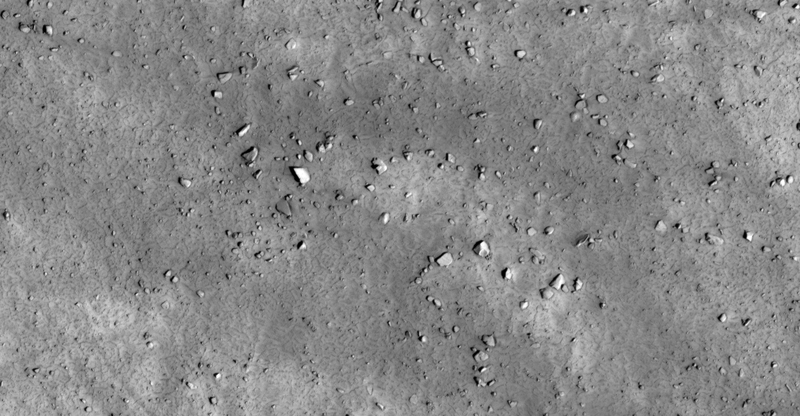 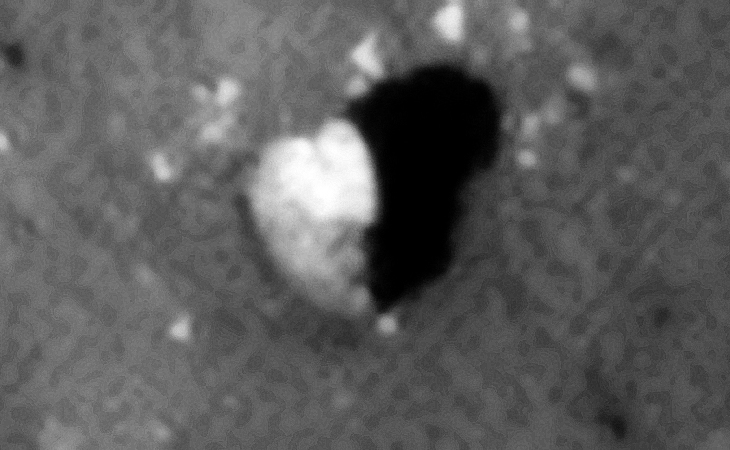 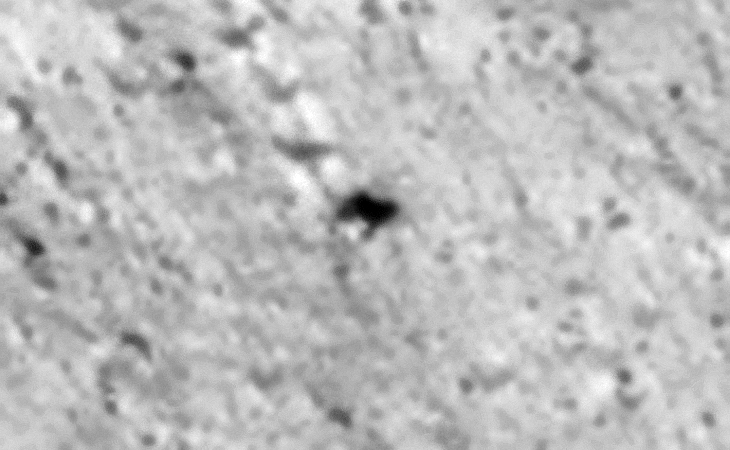 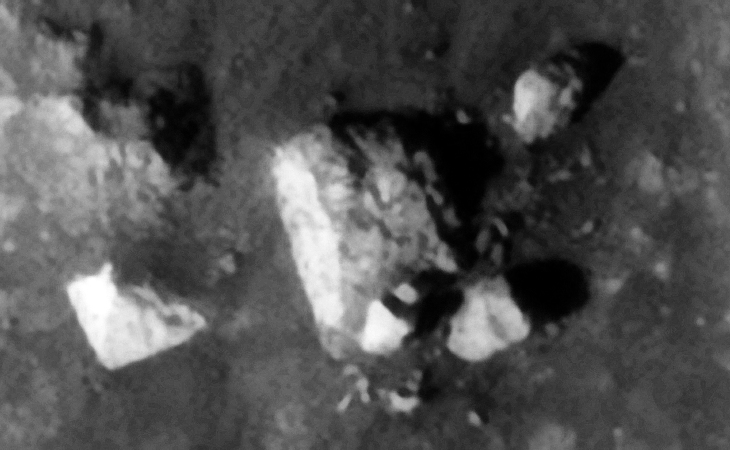 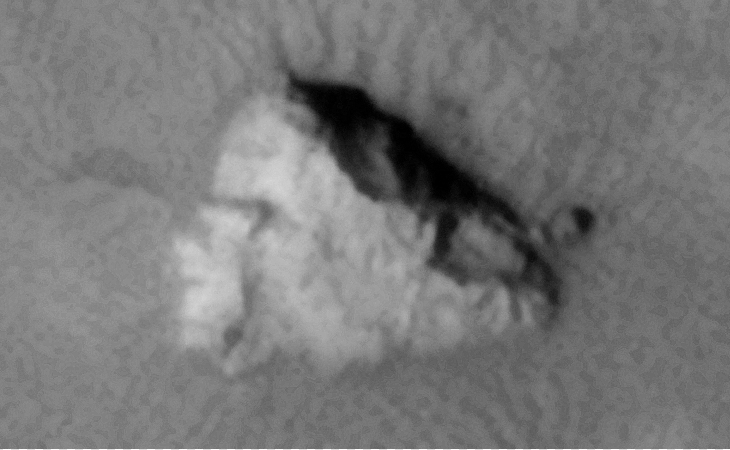 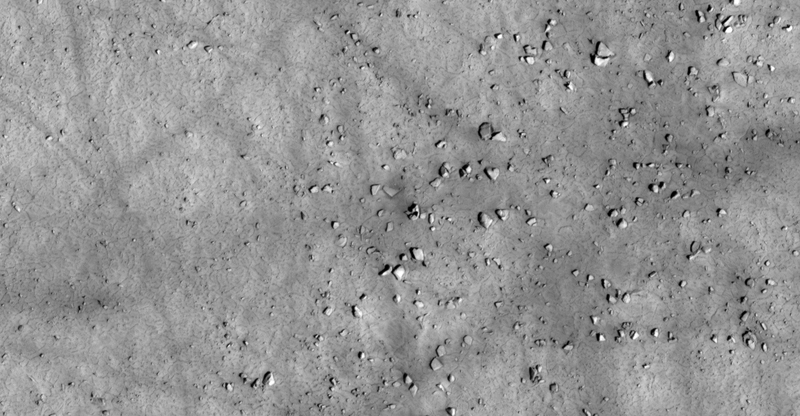 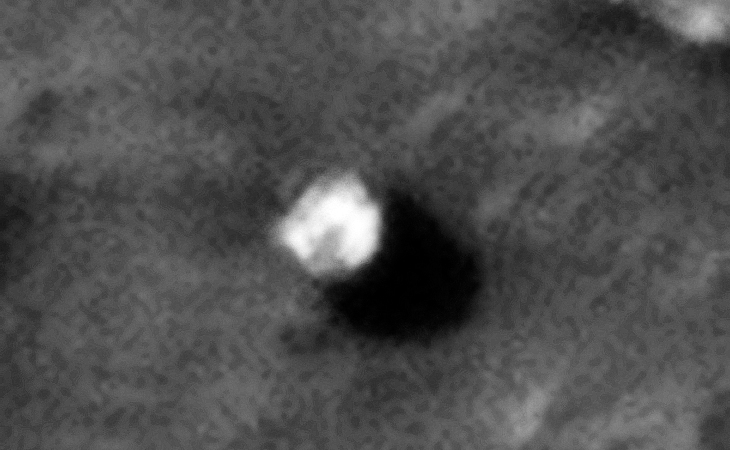 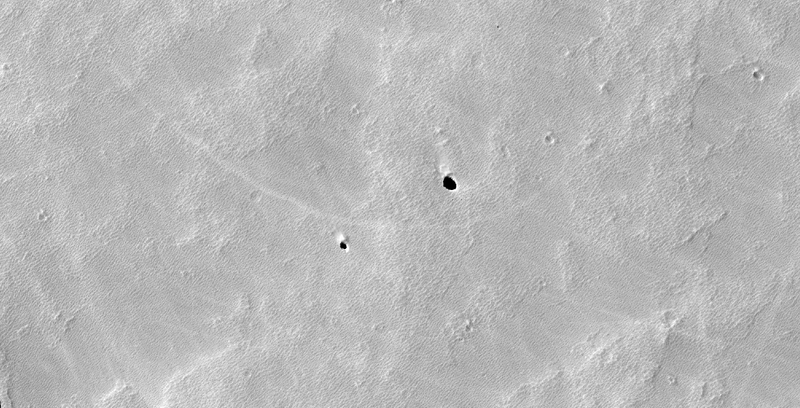 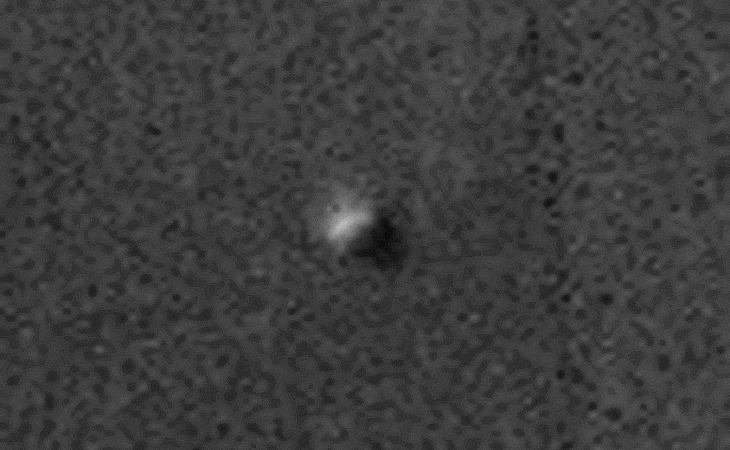 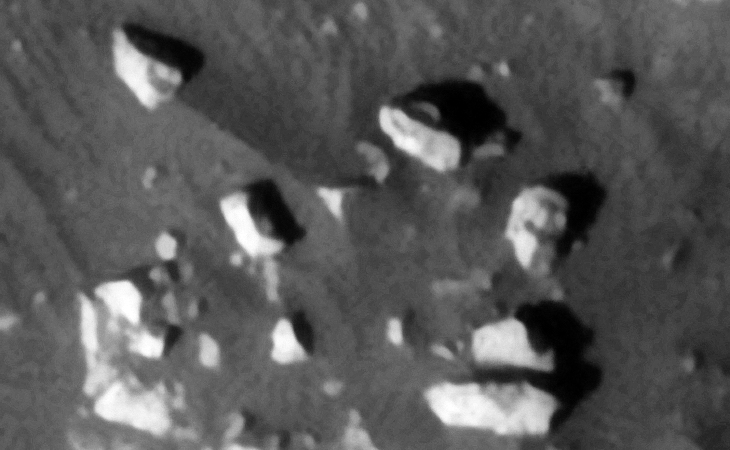 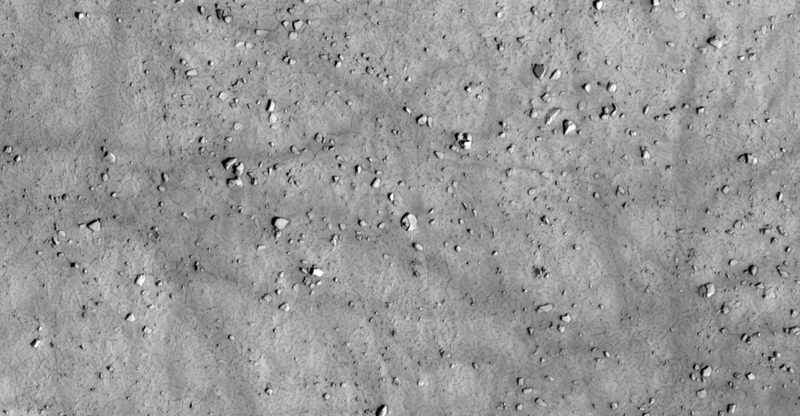 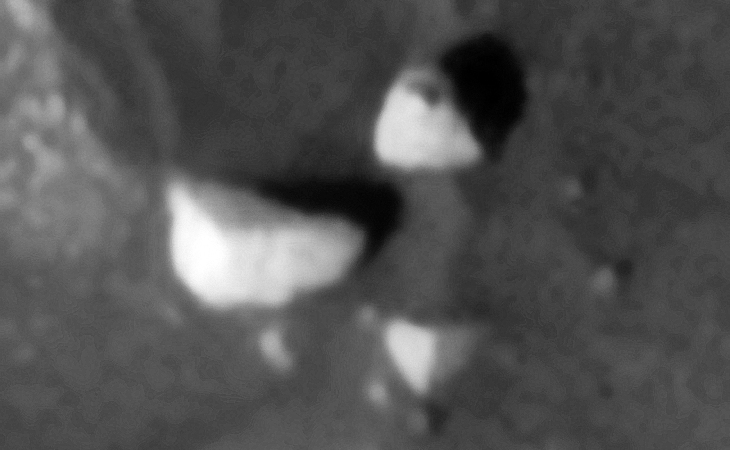 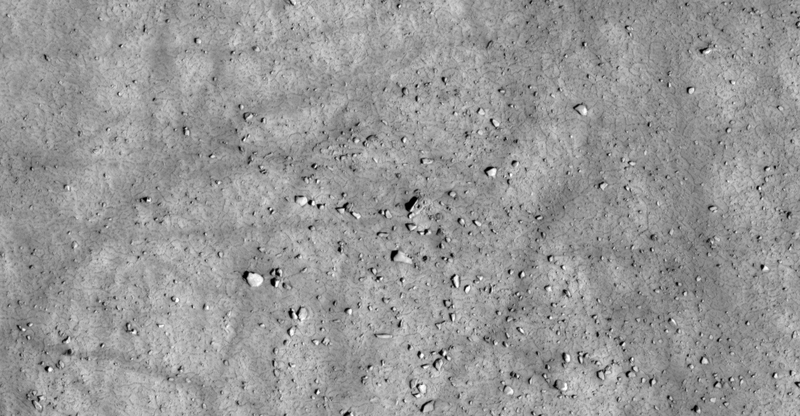 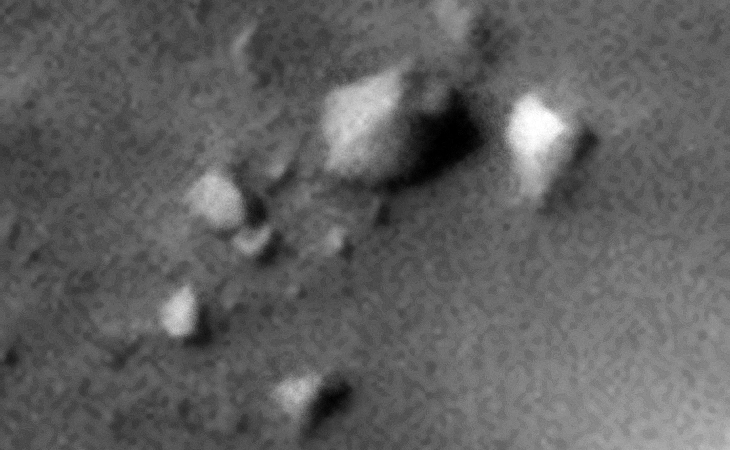 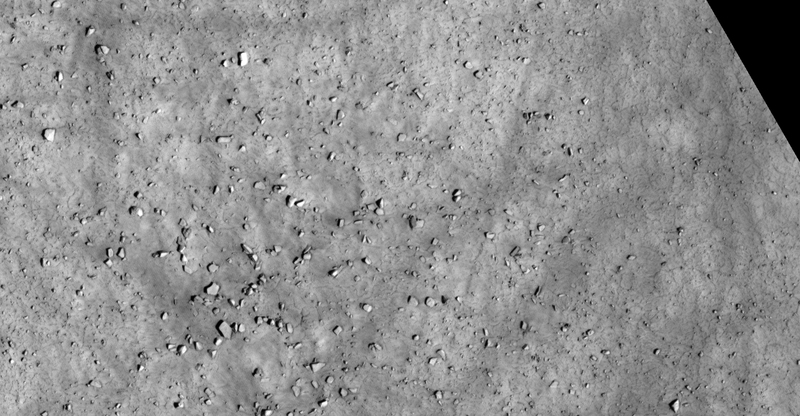 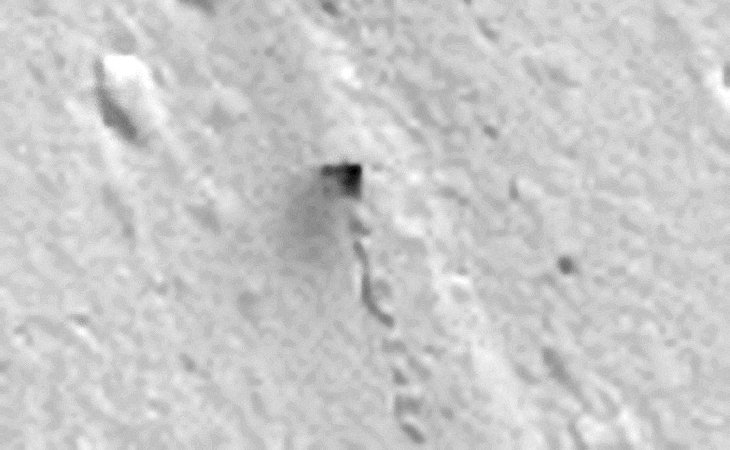 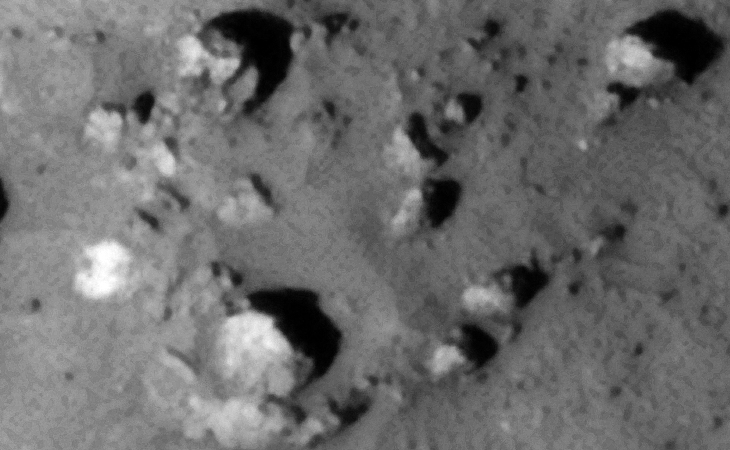 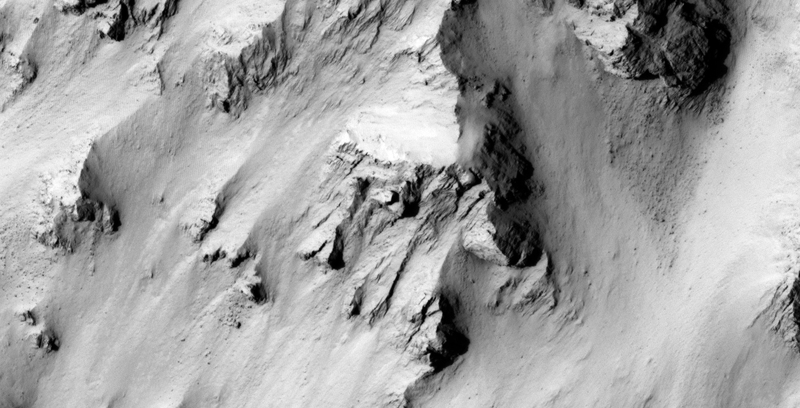 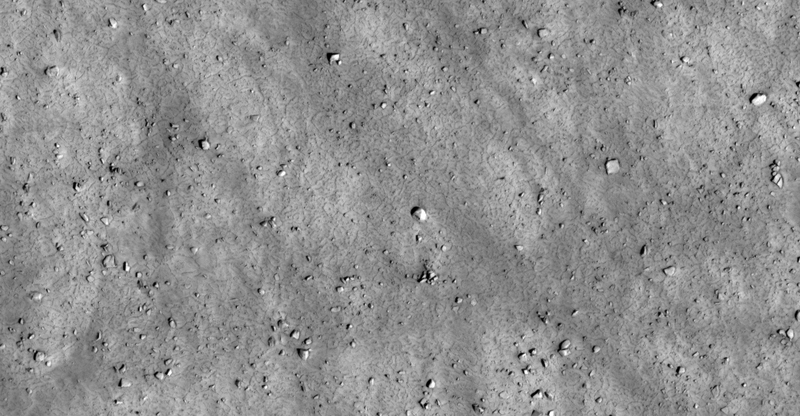 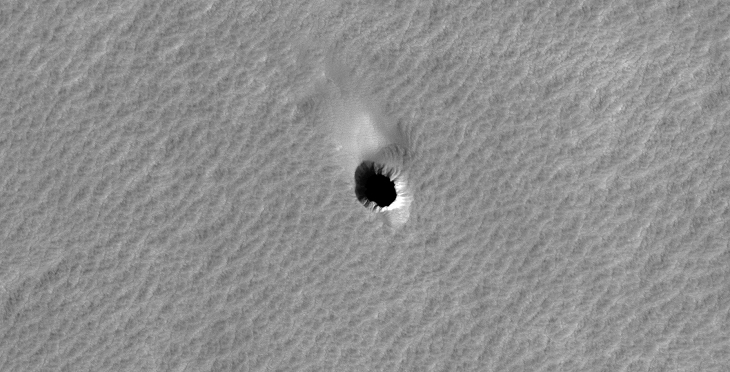 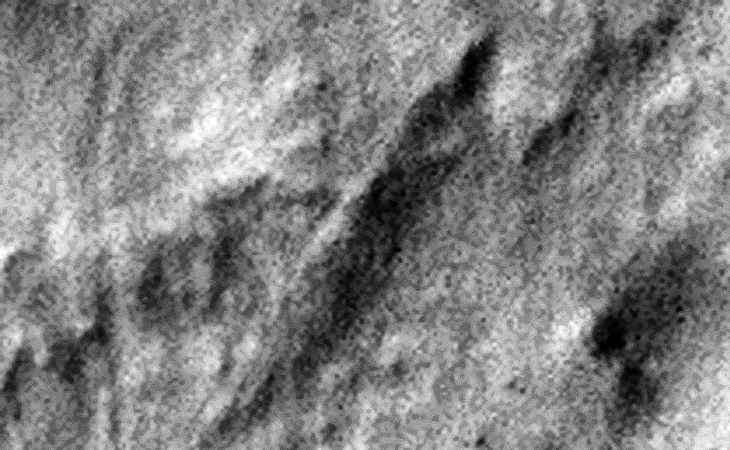 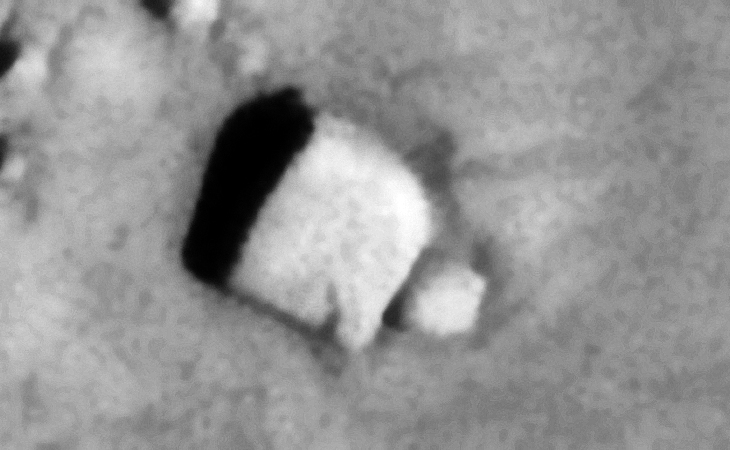 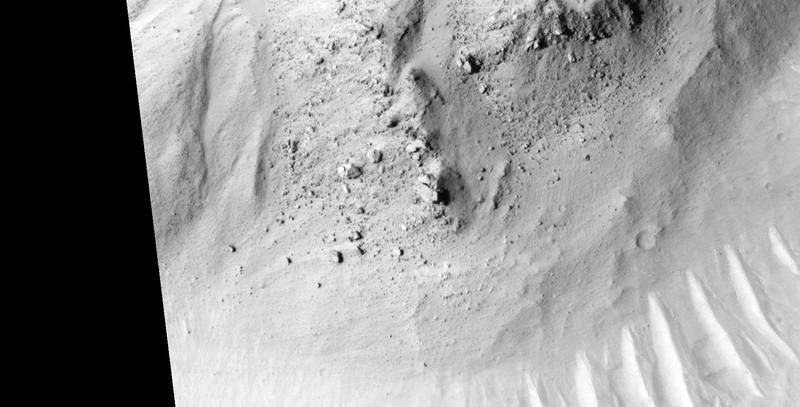 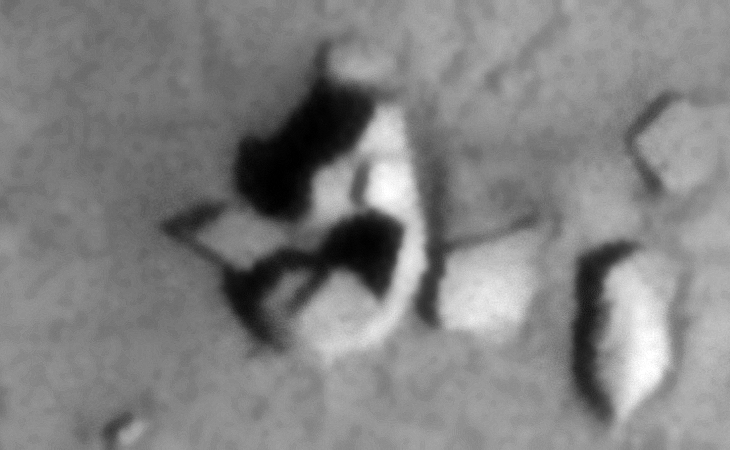 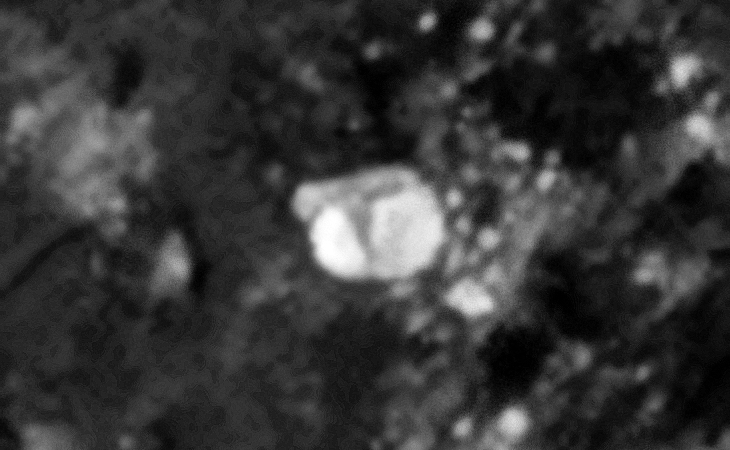 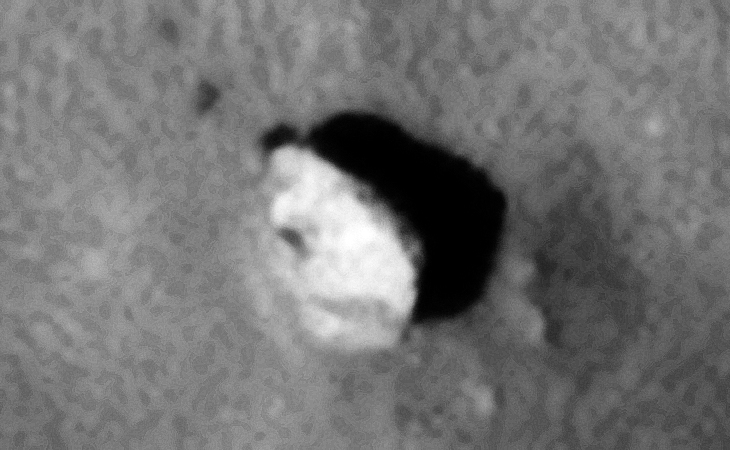 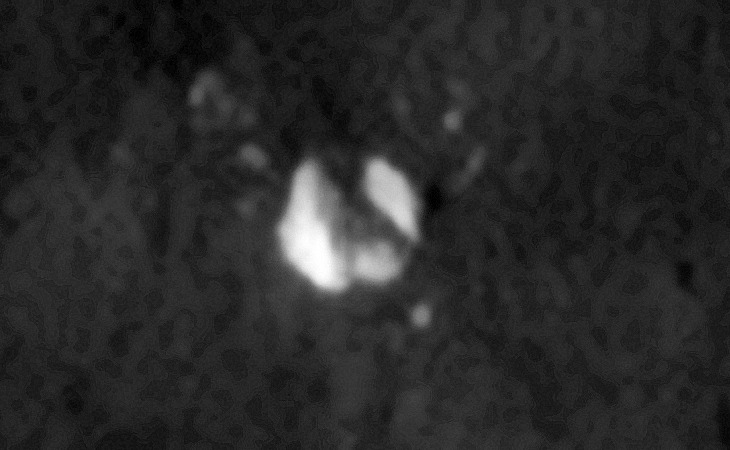 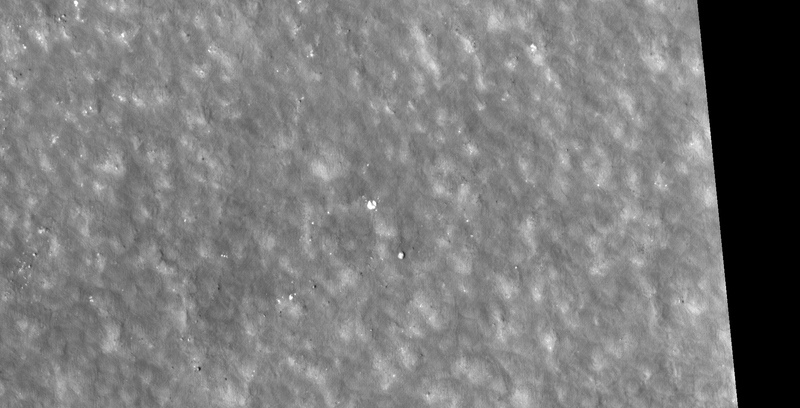 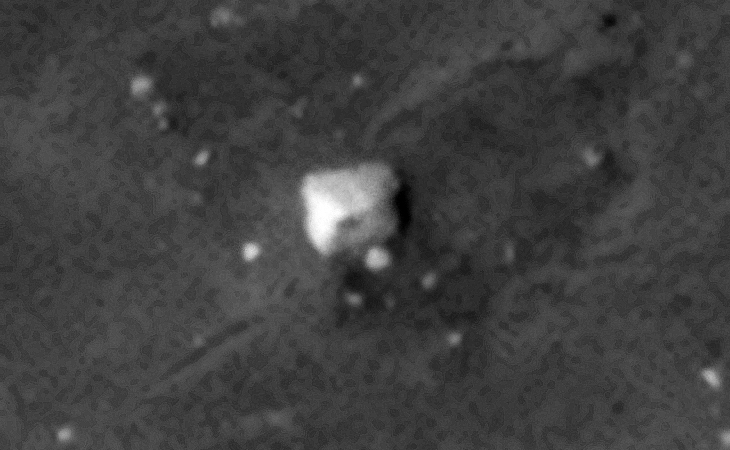 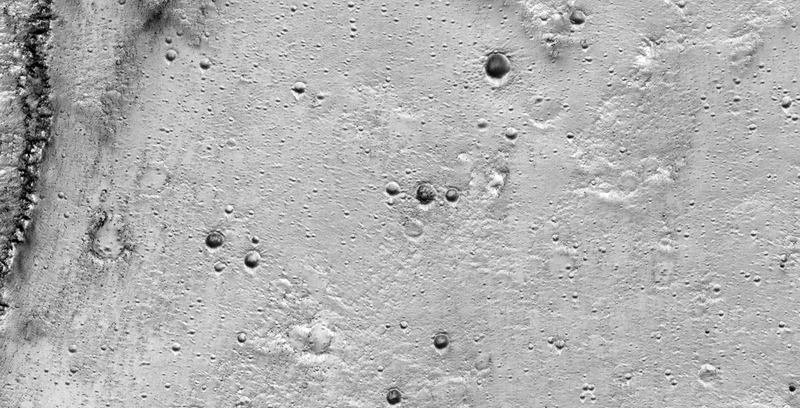 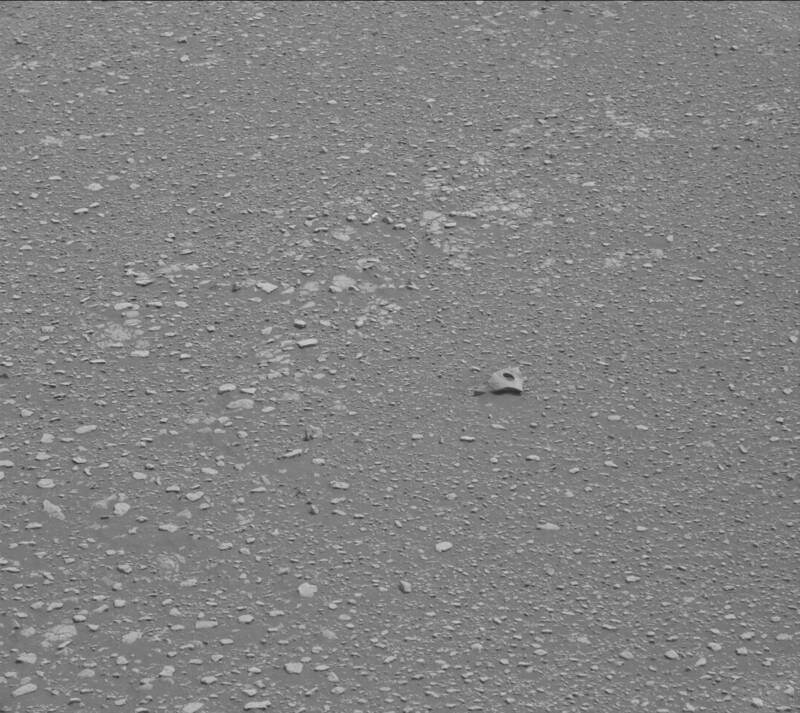 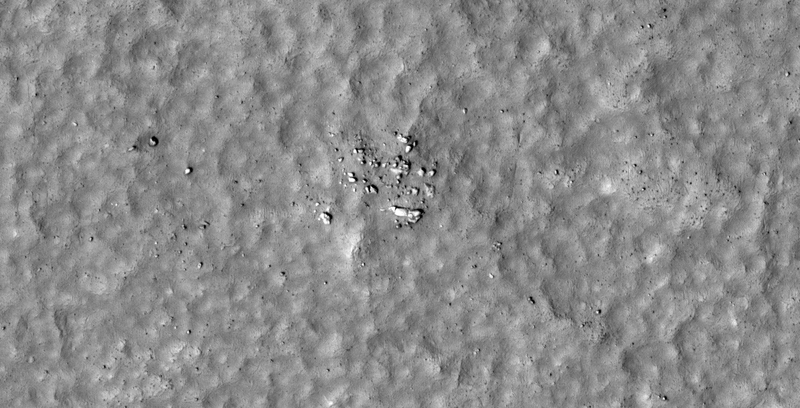 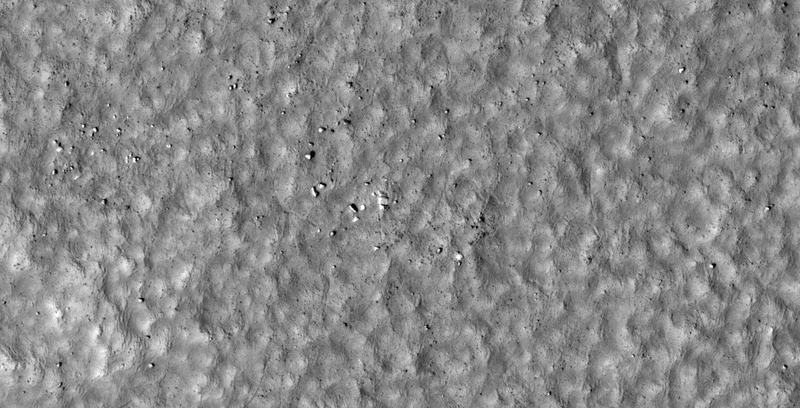 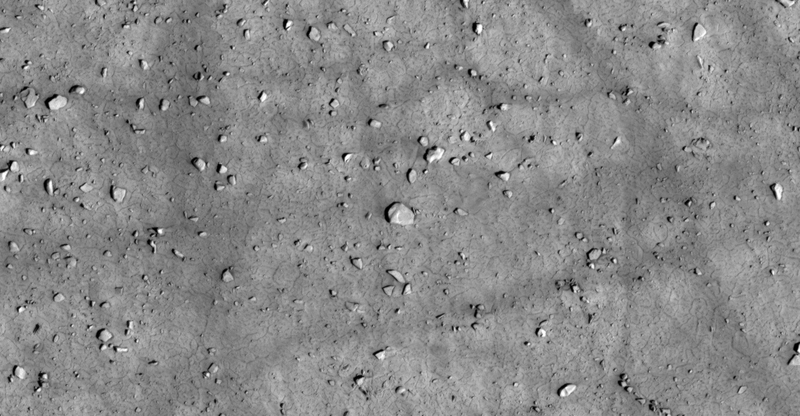 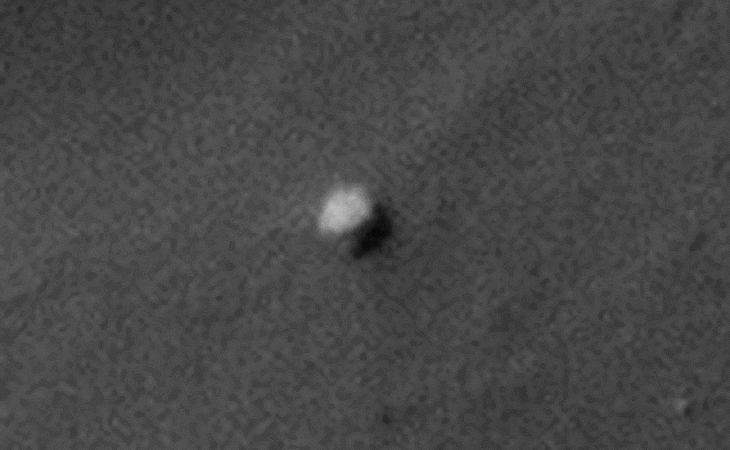 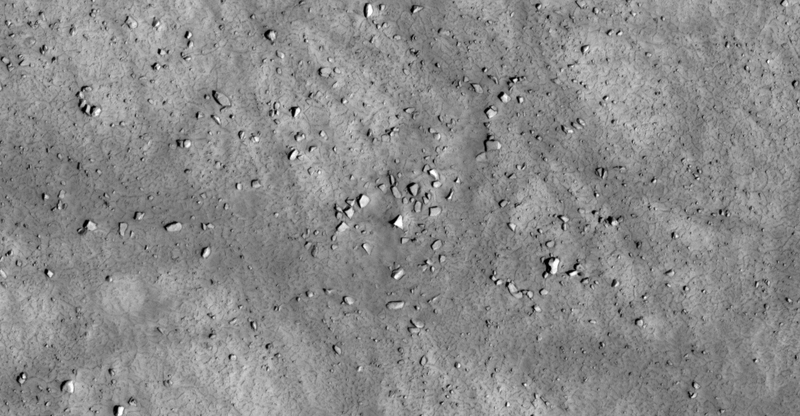 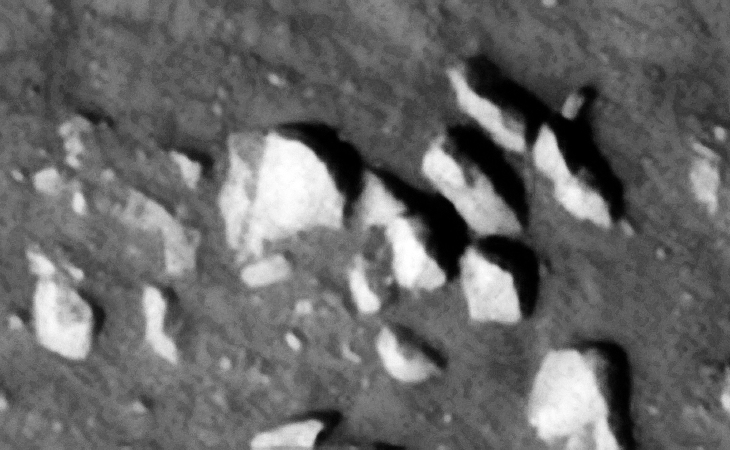 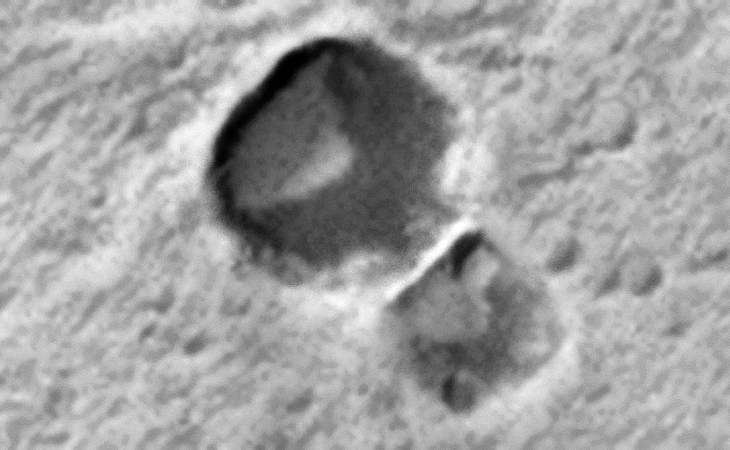 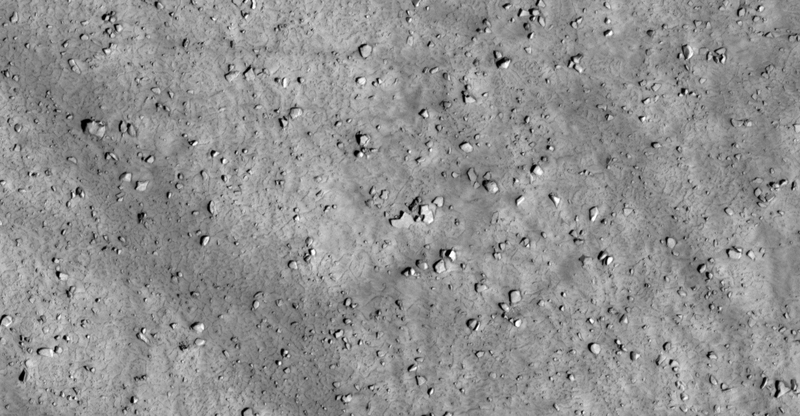 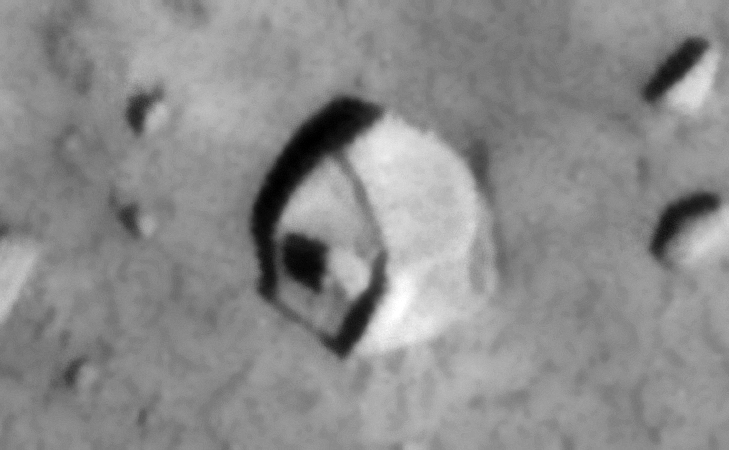 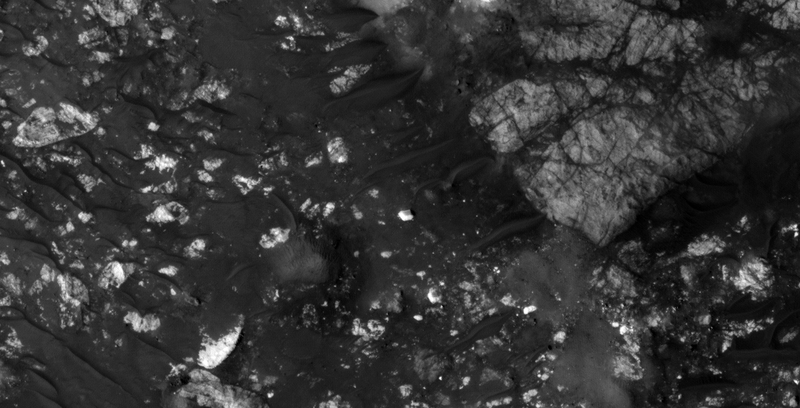 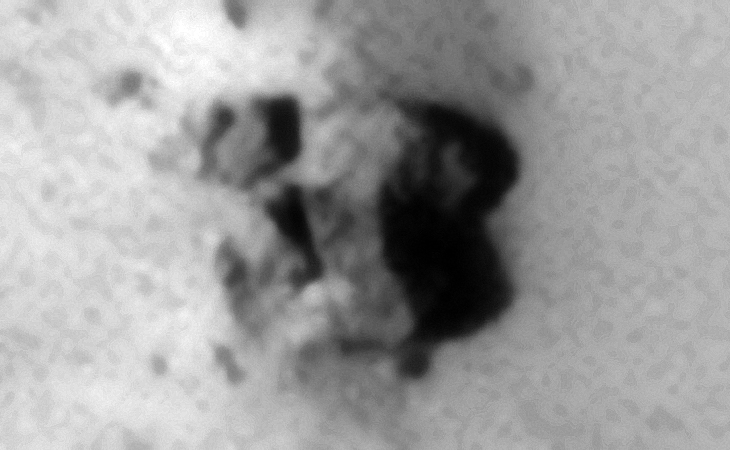 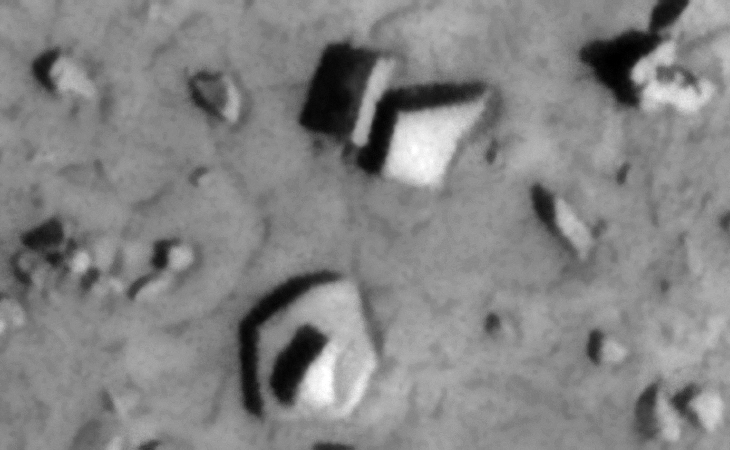 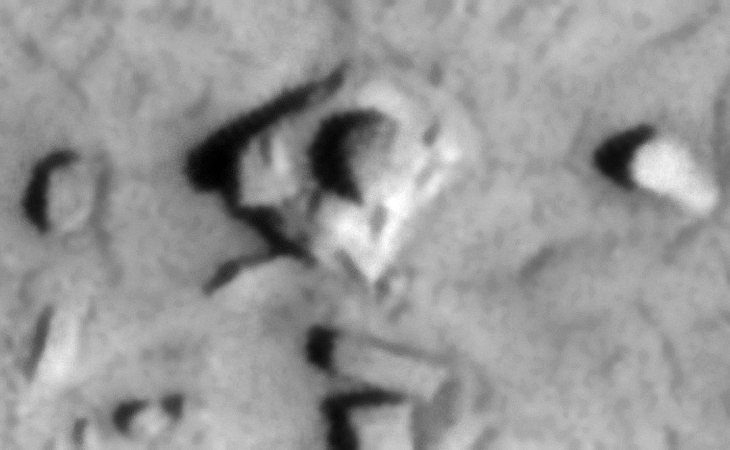 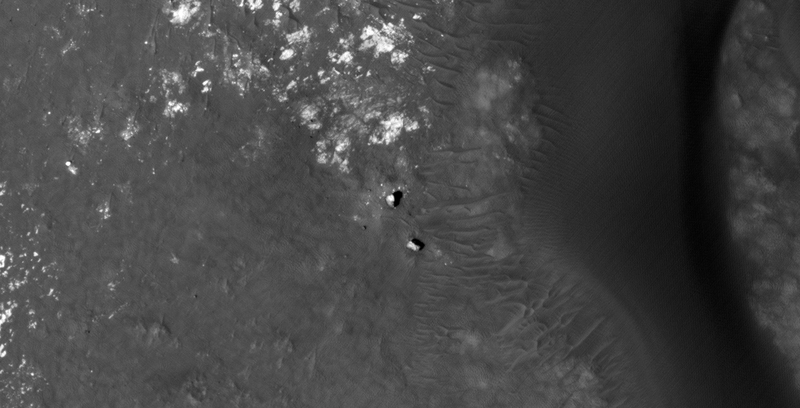 I downloaded the HiRise black and white map-projected image to view these anomalies. 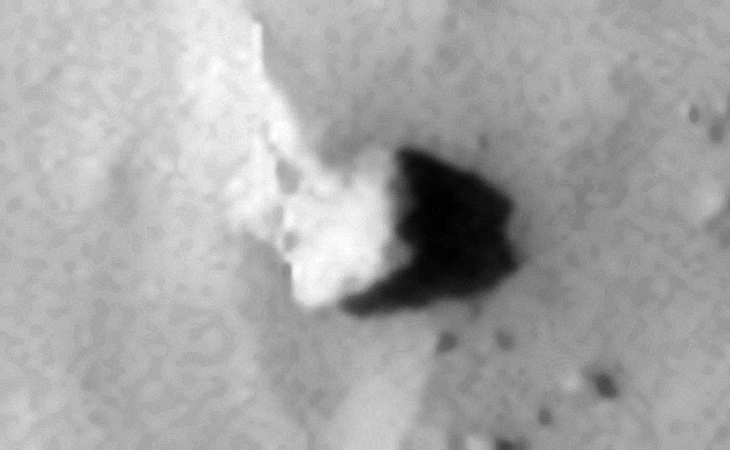 This is a 100th Video Special Edition in which I revisit some of my previous video’s, taking a look at the weirdest, strangest and most important Martian anomalies I discovered. 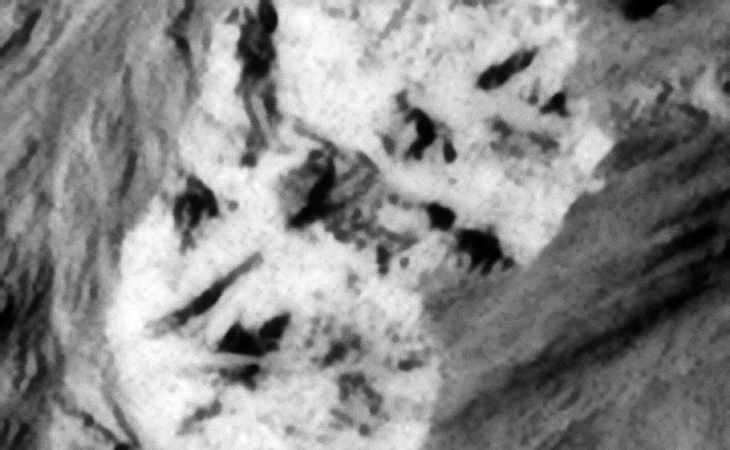 Many or all of the anomalies covered in this presentation may be naturally occurring geological features caused by some type of geological processes, however due to the lack of specific information from the source we can only speculate whether these are all natural or some artificial in nature. 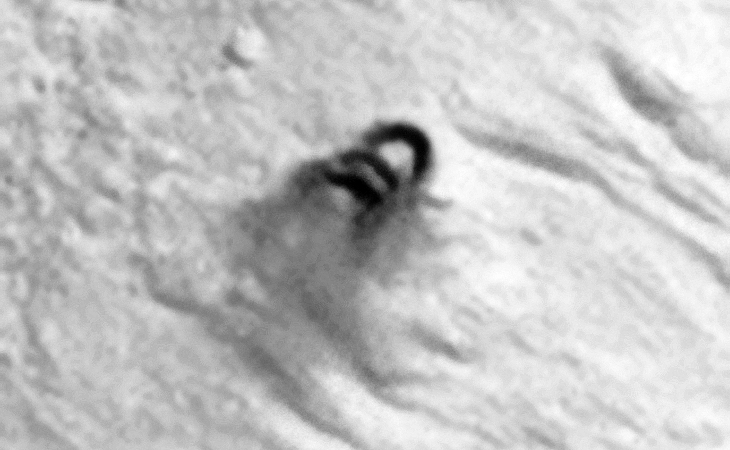 Special thank you to: NASA, JPL, University of Arizona and to my friend Saturn Ark for those parts of the video featuring our combined collaboration. 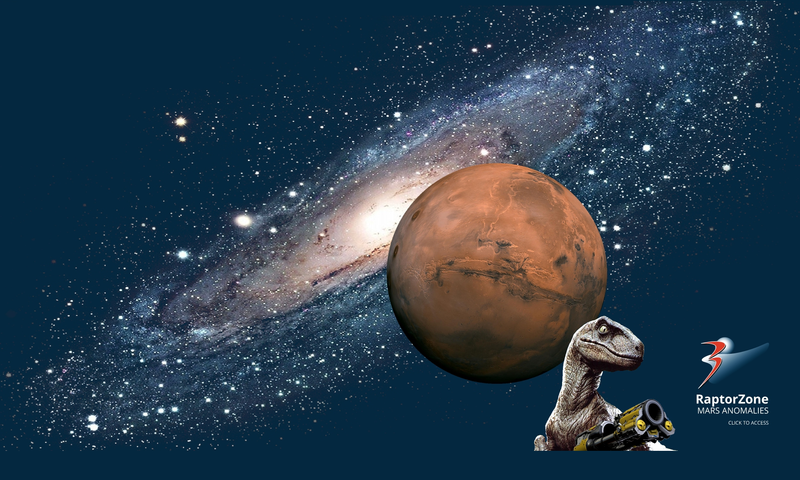 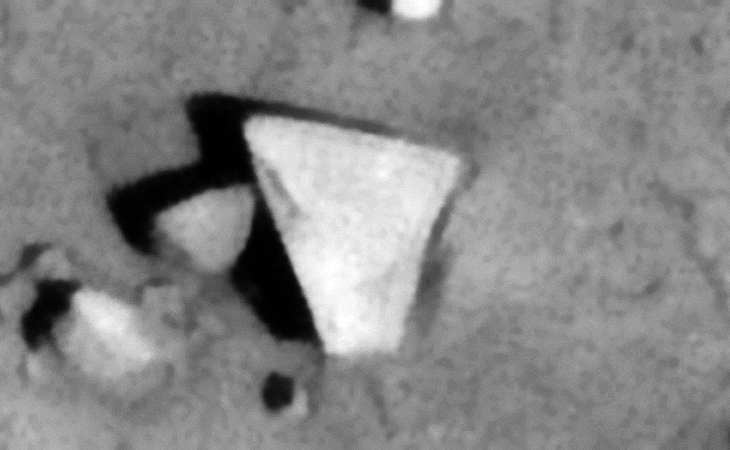 This is a collaborative work between Saturn Ark and RaptorZone in which more Martian anomalies and artefats in Kotka Crater are presented. 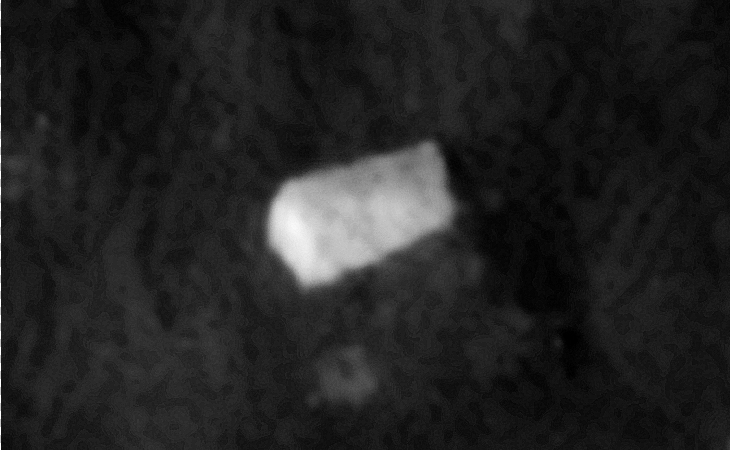 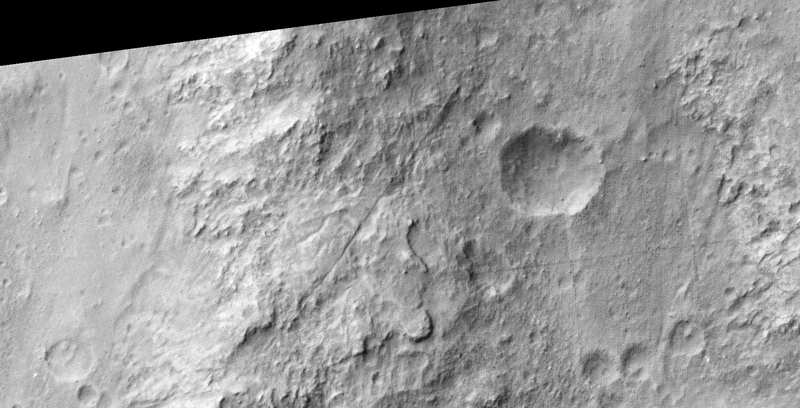 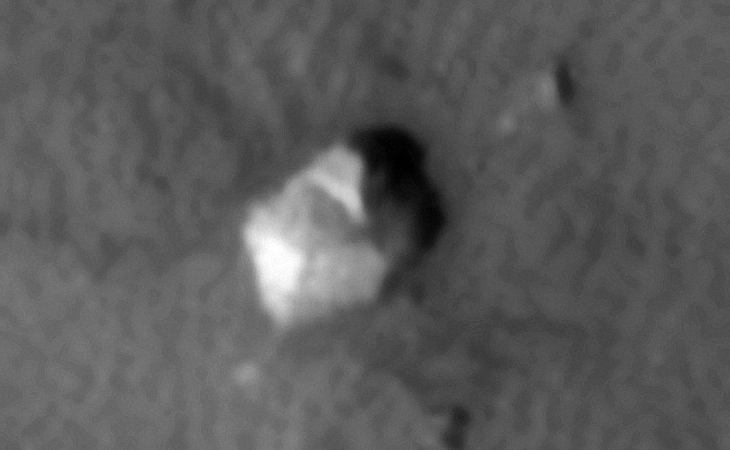 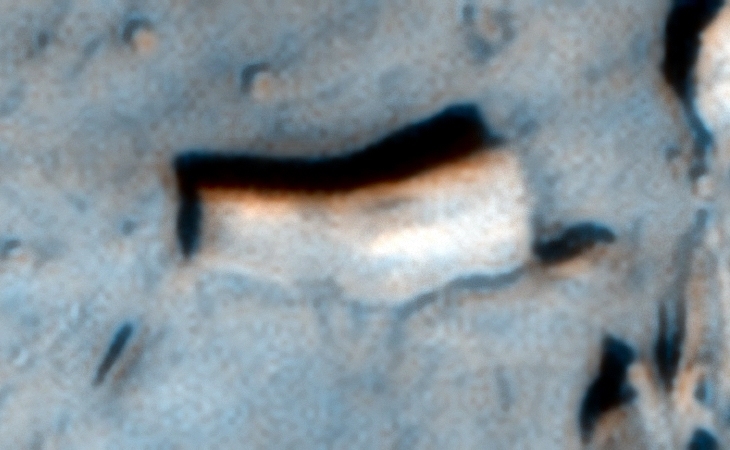 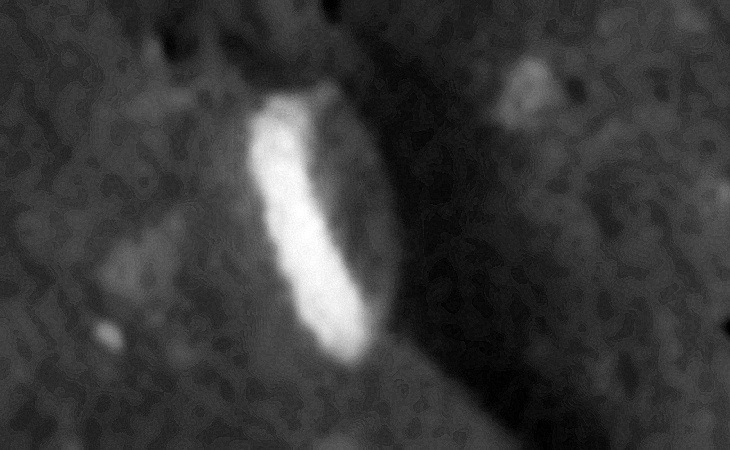 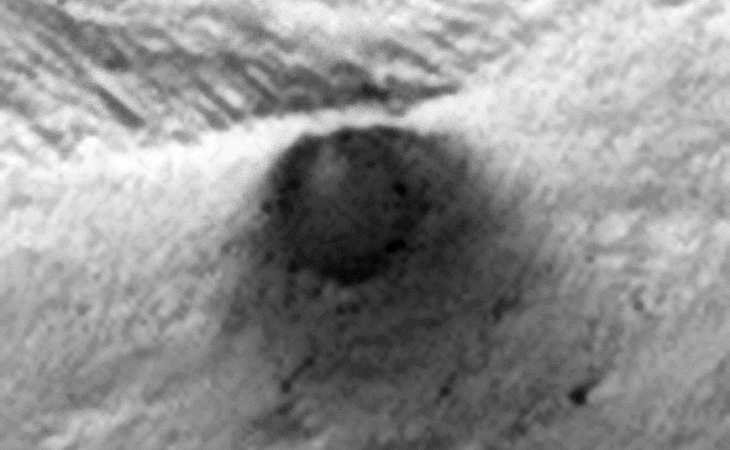 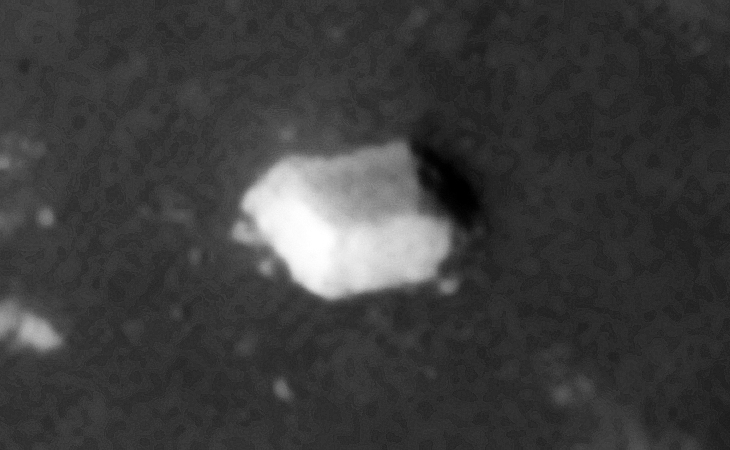 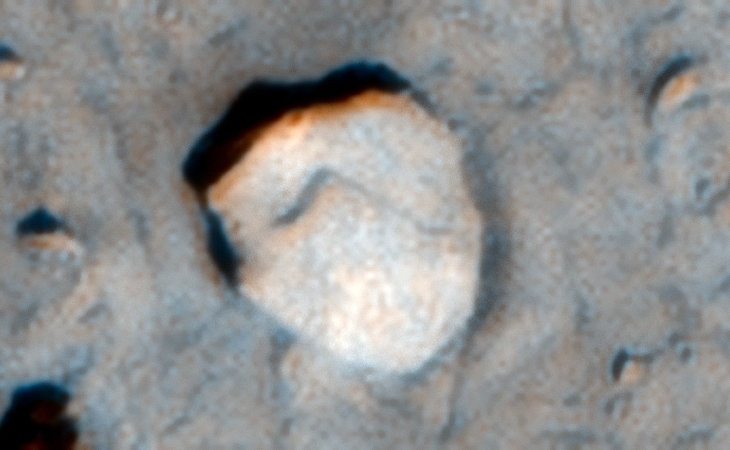 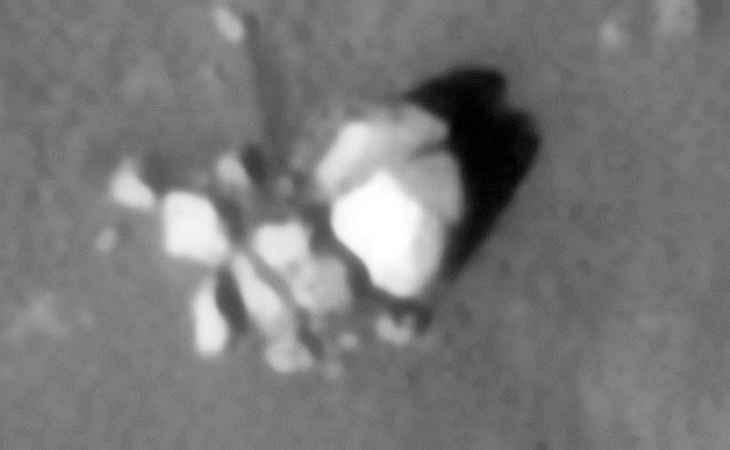 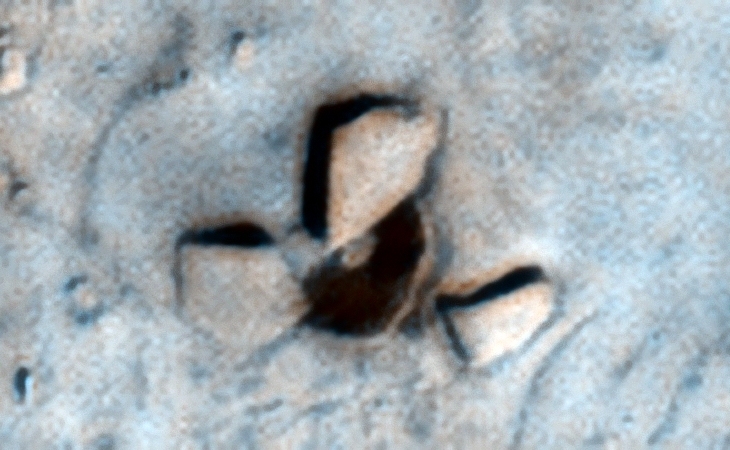 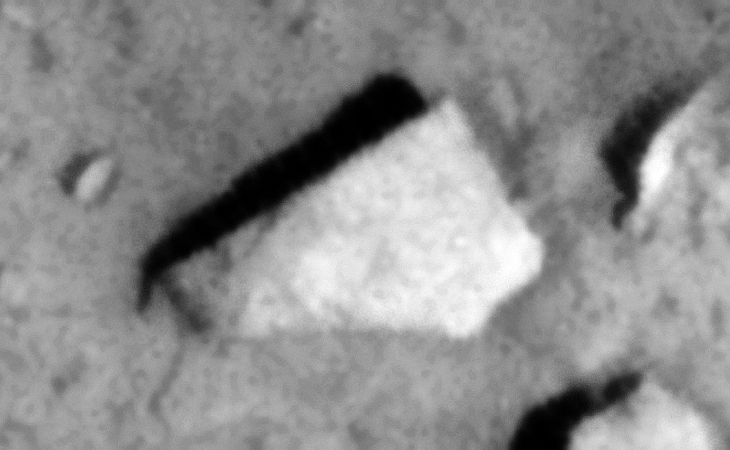 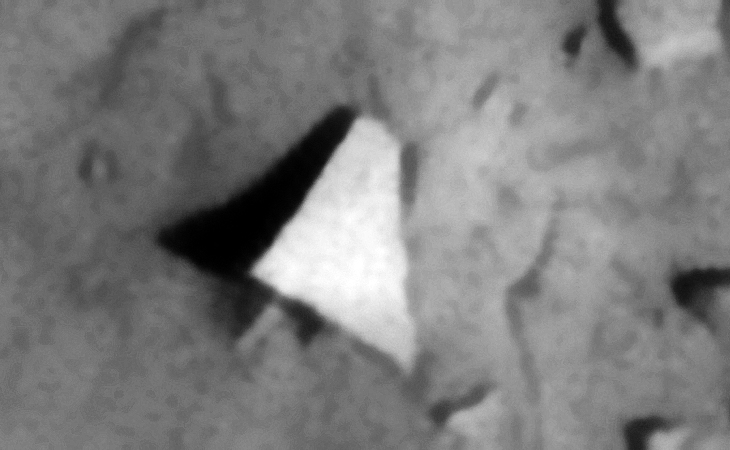 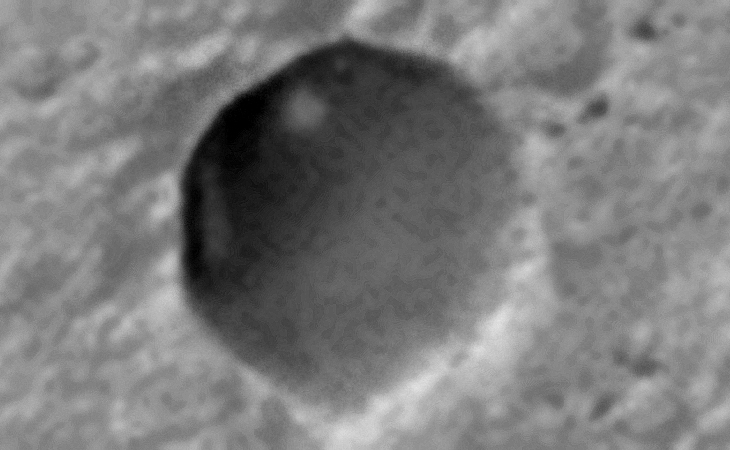 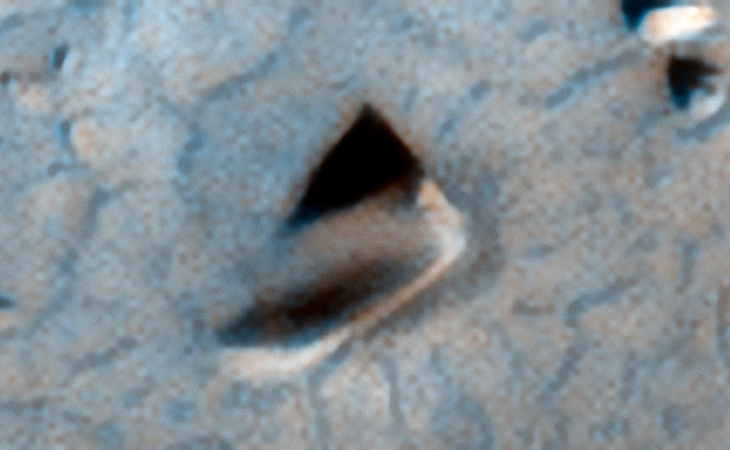 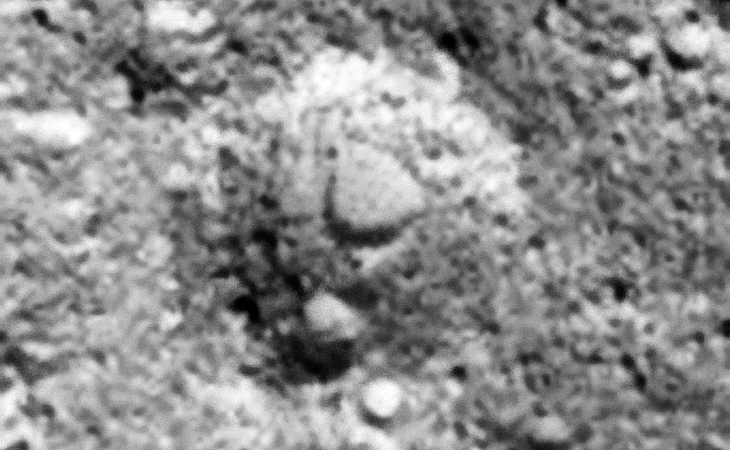 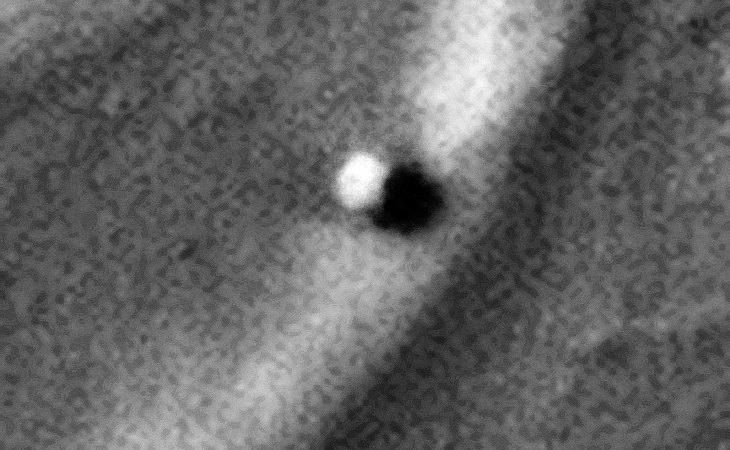 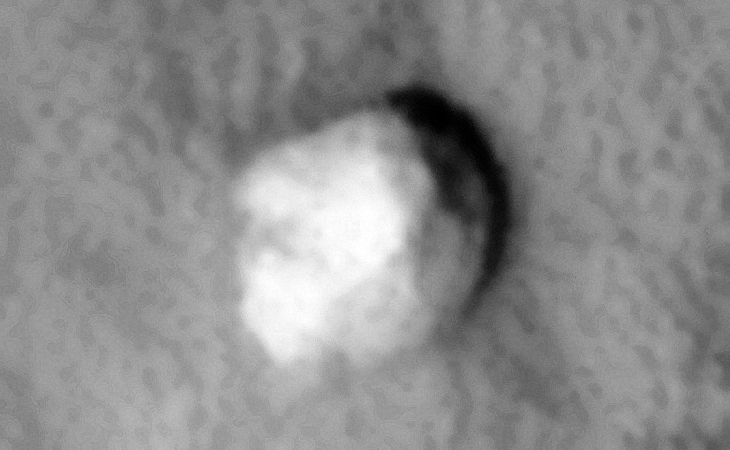 This photograph (PSP_007592_1995) was taken by NASA’s Mars Reconnaissance Orbiter (MRO) HiRISE Camera on 10 March 2008. 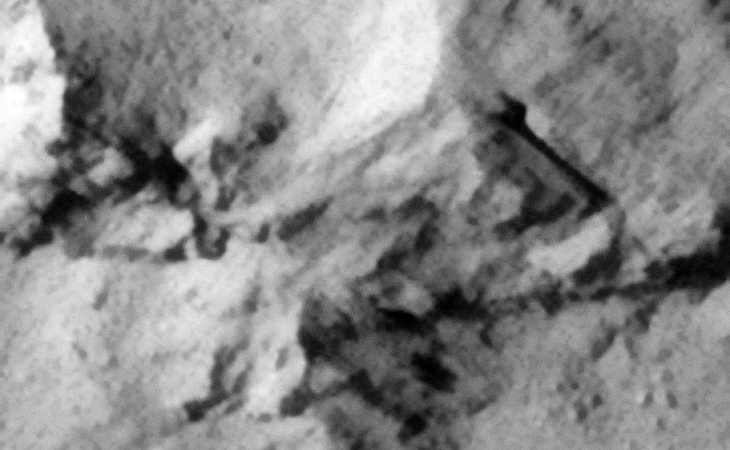 Discovered are what look like structures, underground entrance-ways, shelters and destroyed technology/machinery. 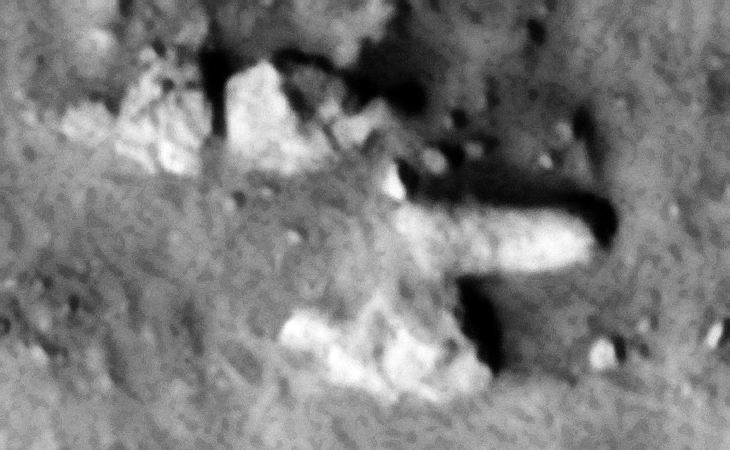 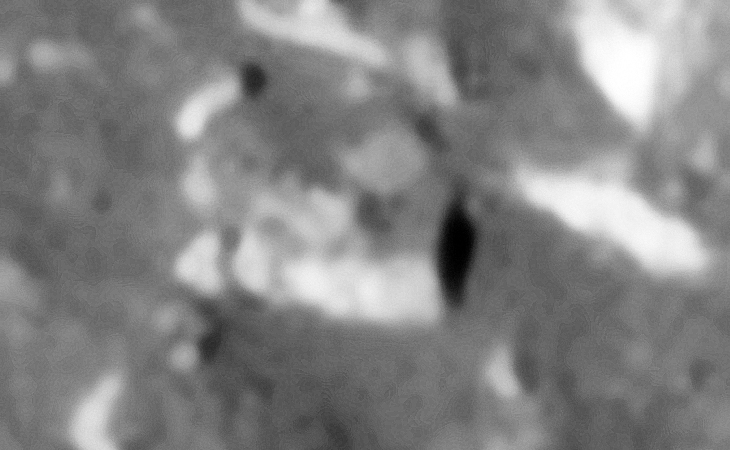 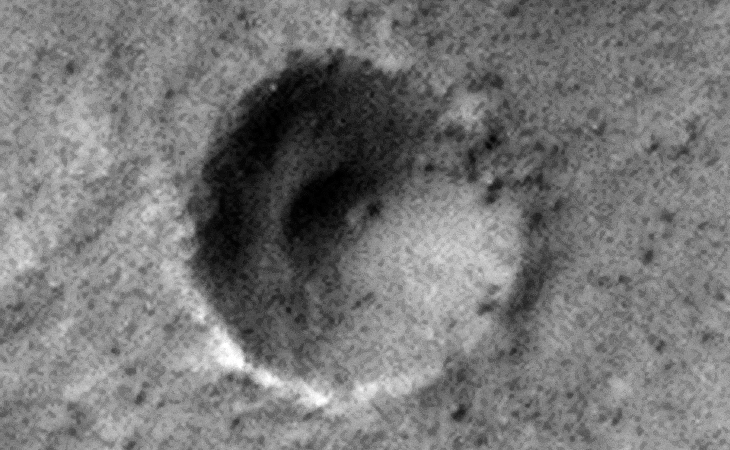 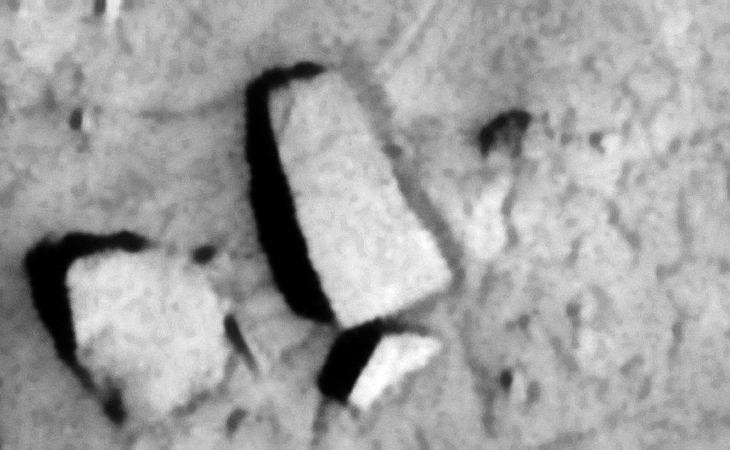 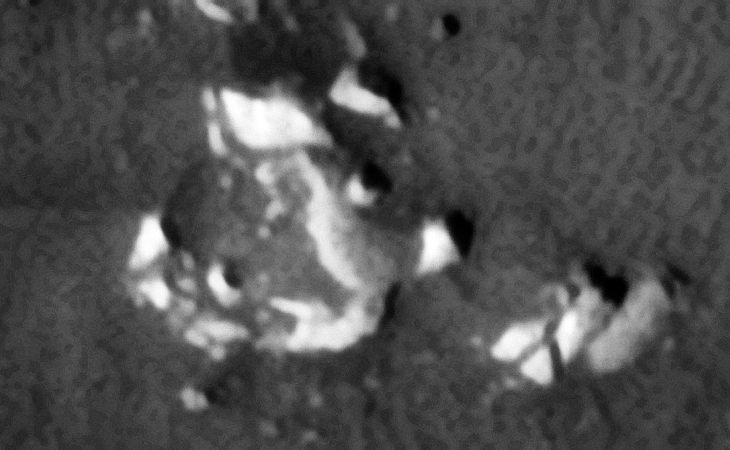 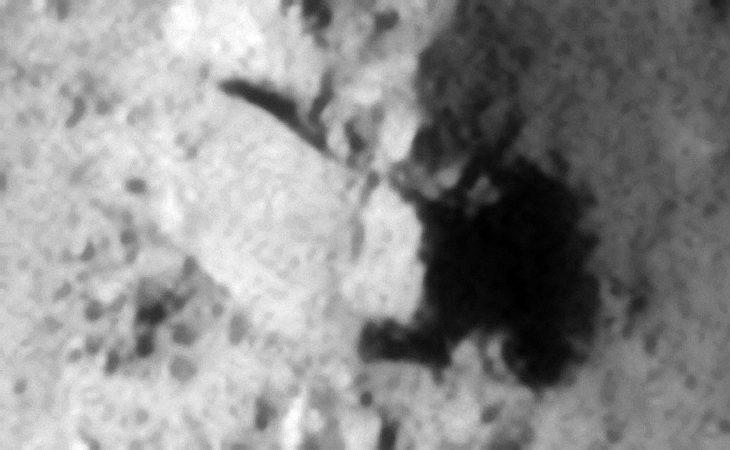 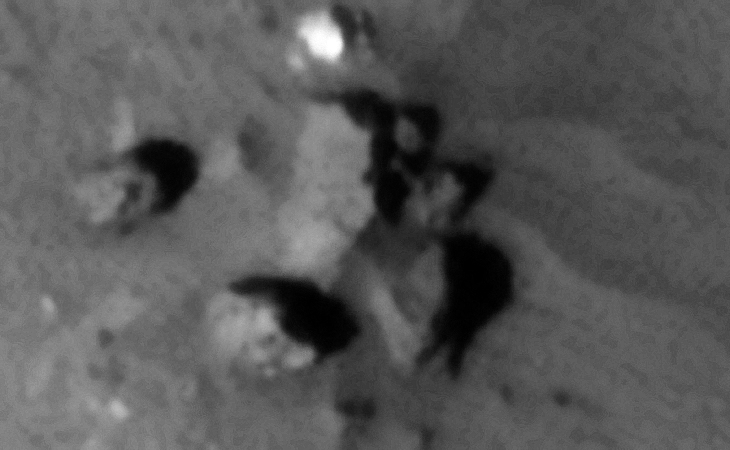 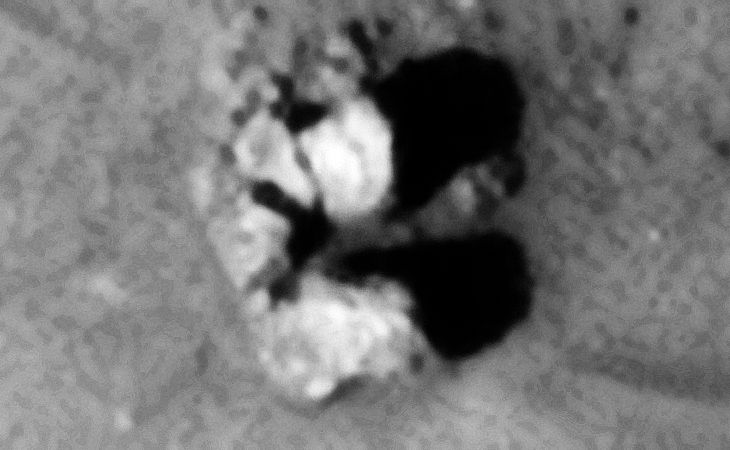 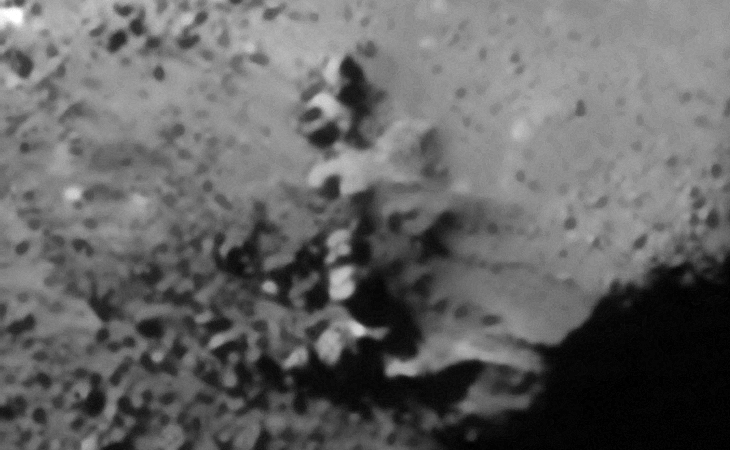 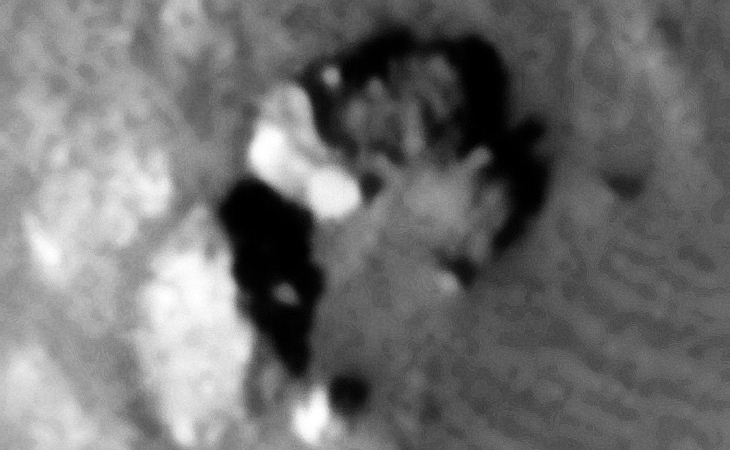 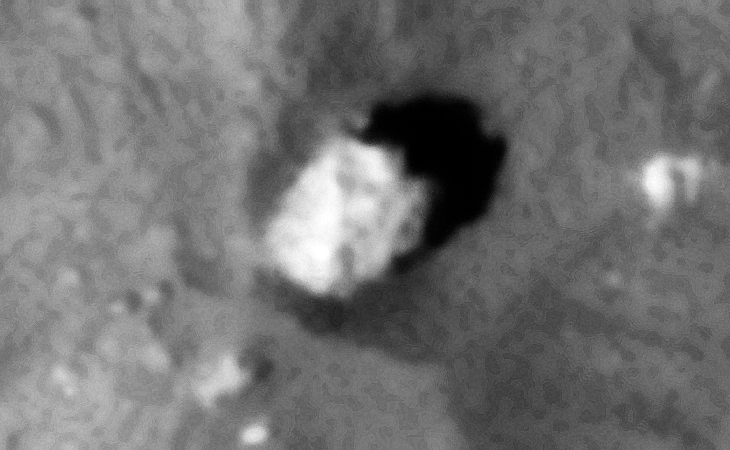 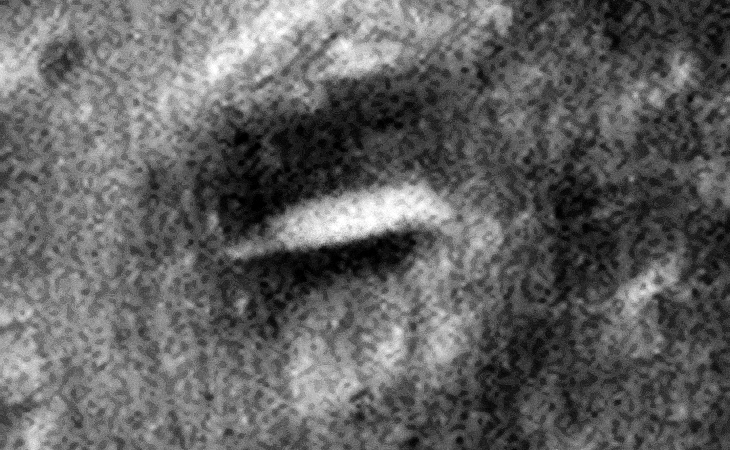 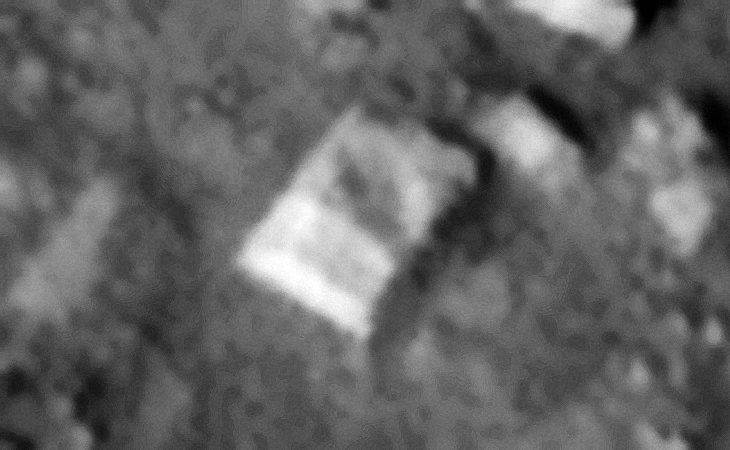 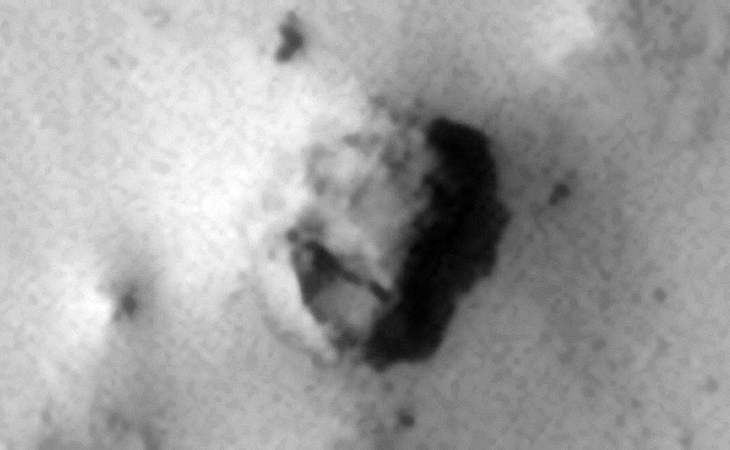 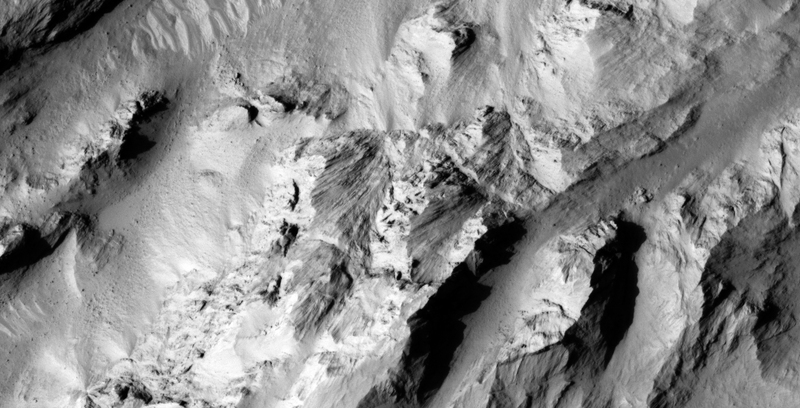 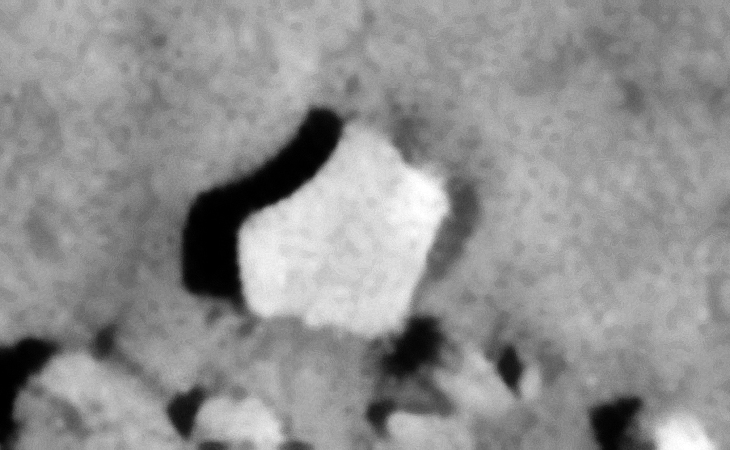 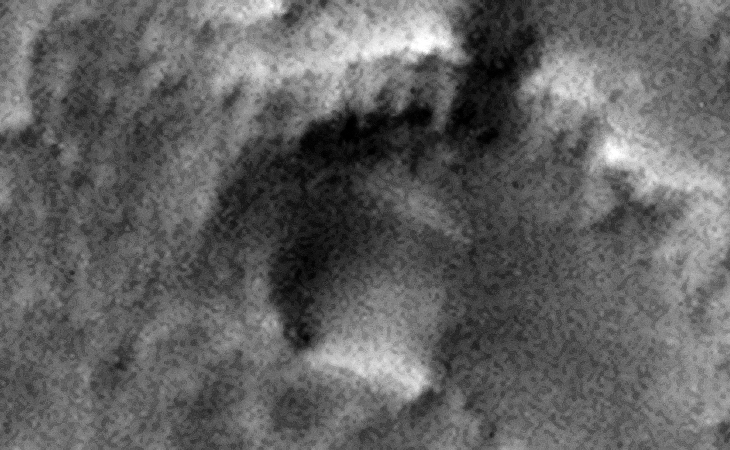 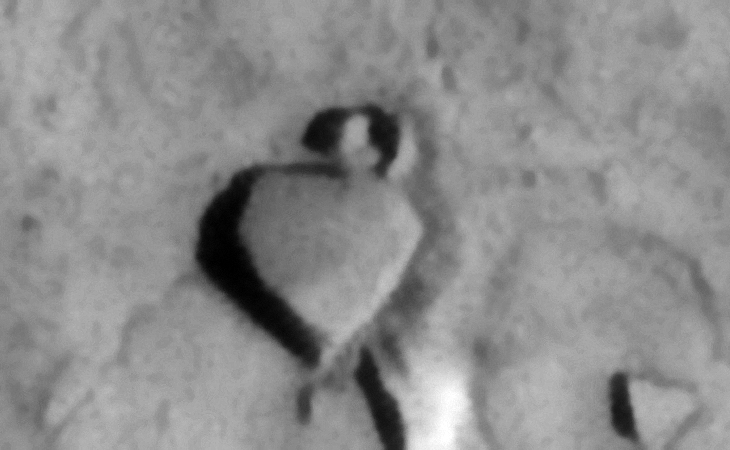 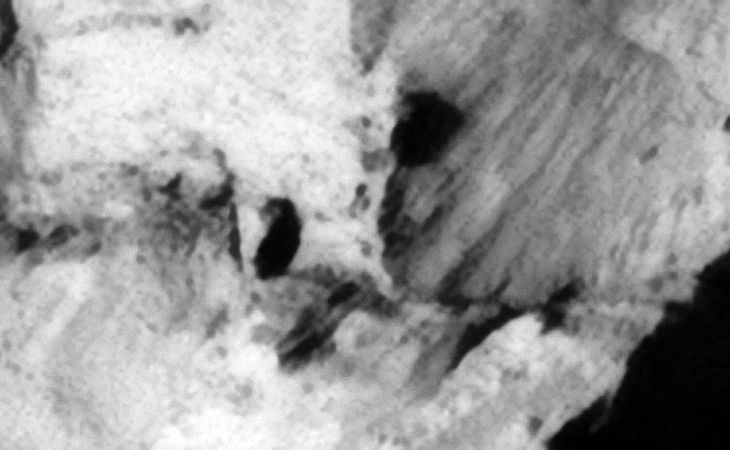 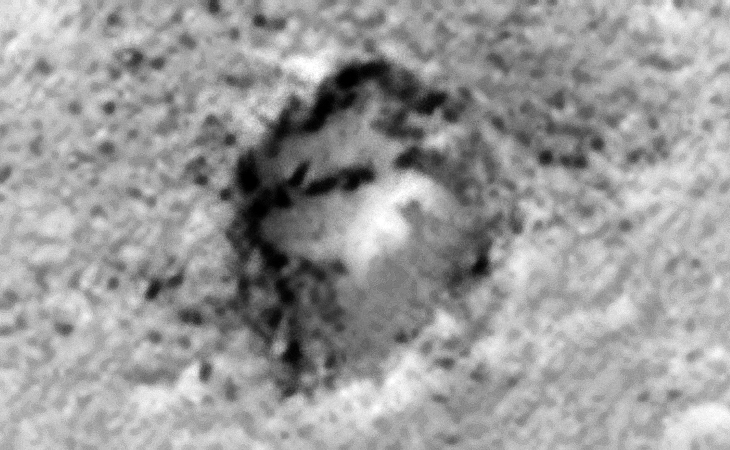 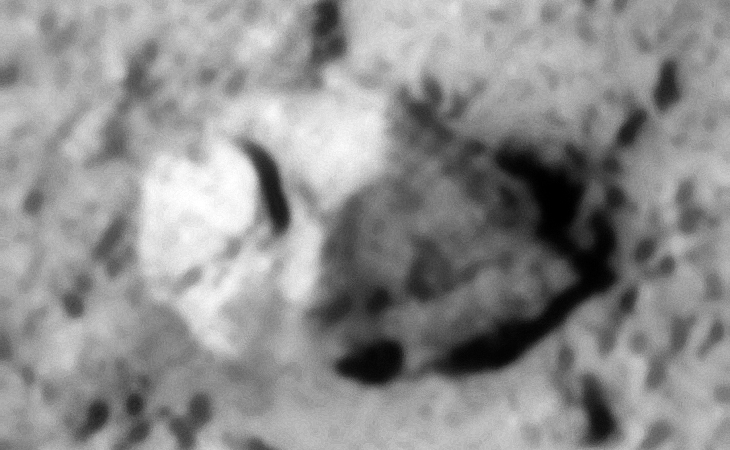 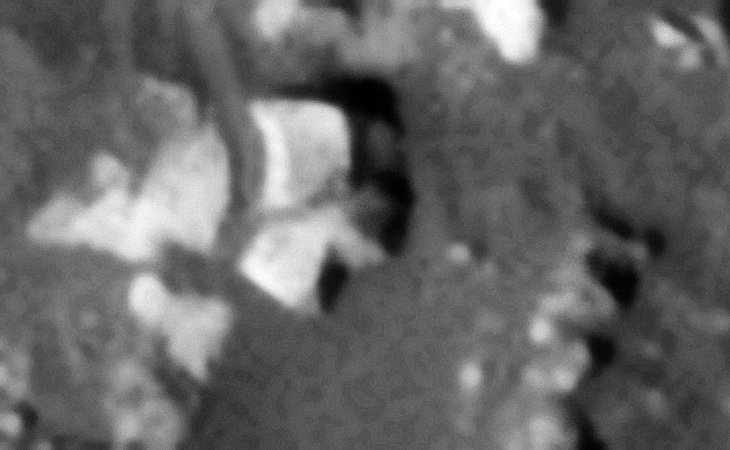 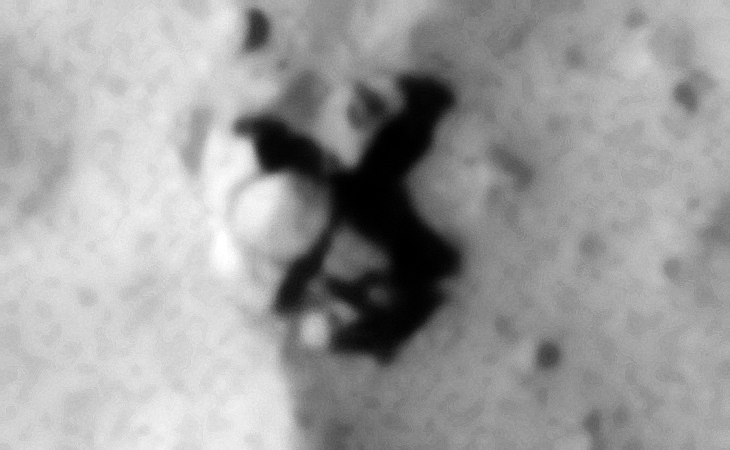 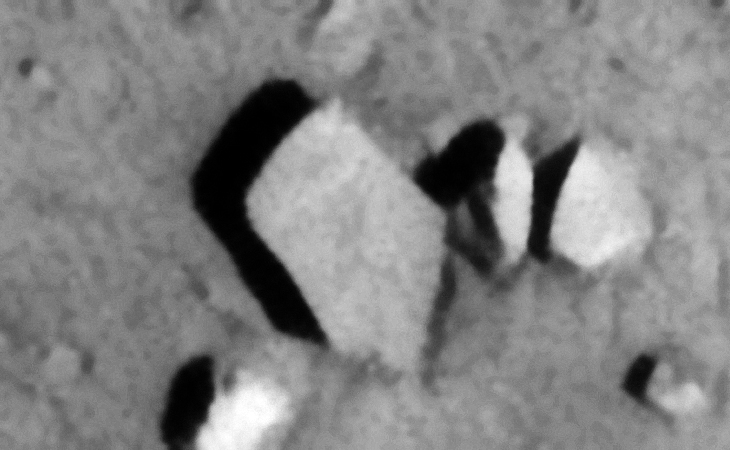 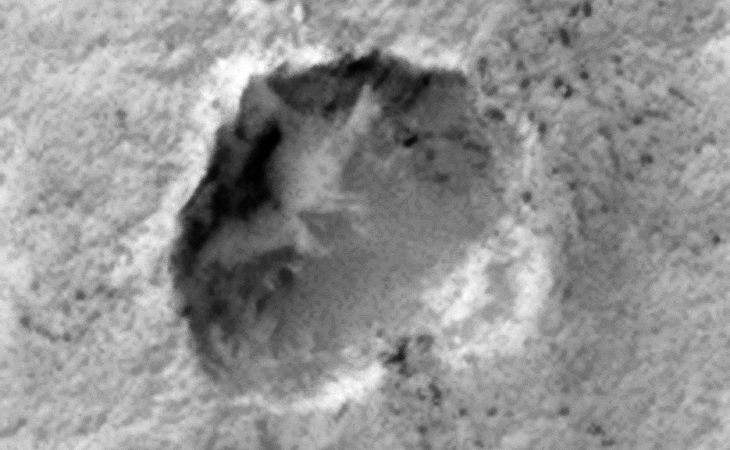 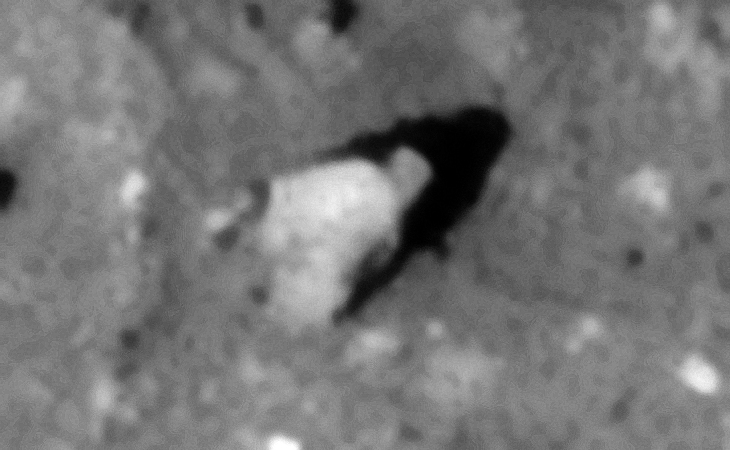 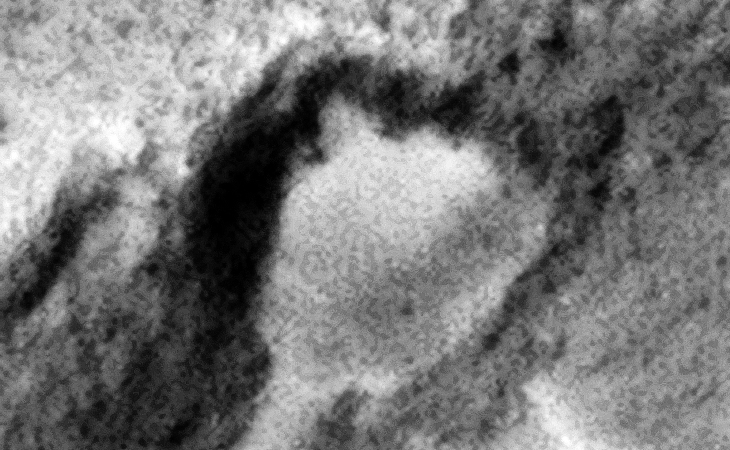 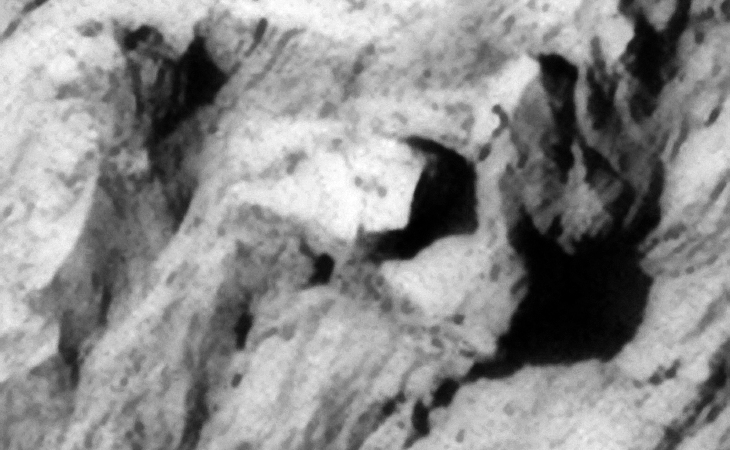 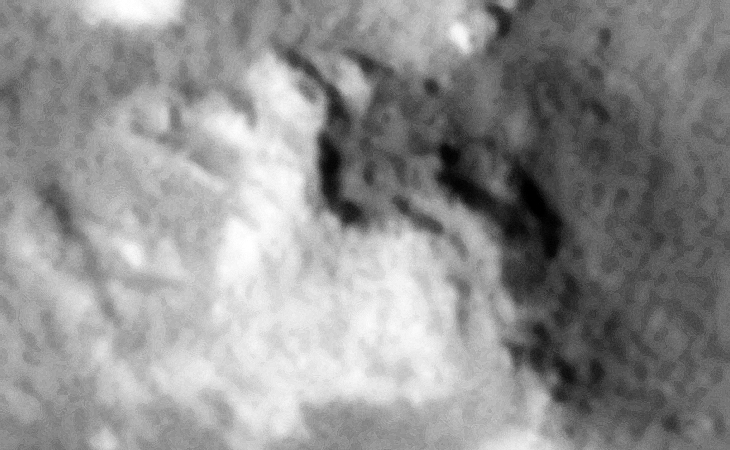 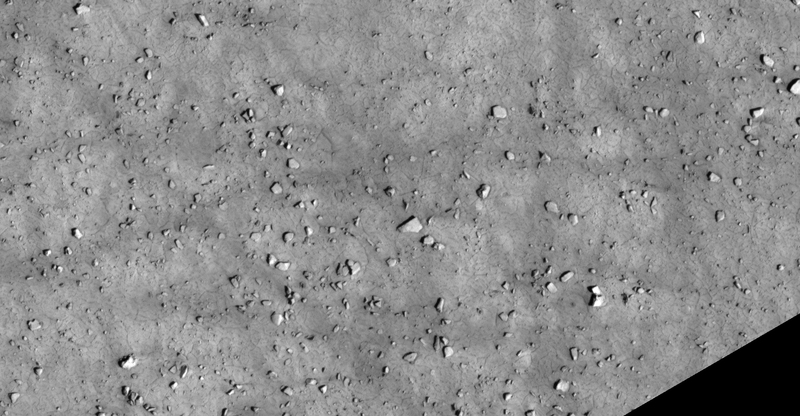 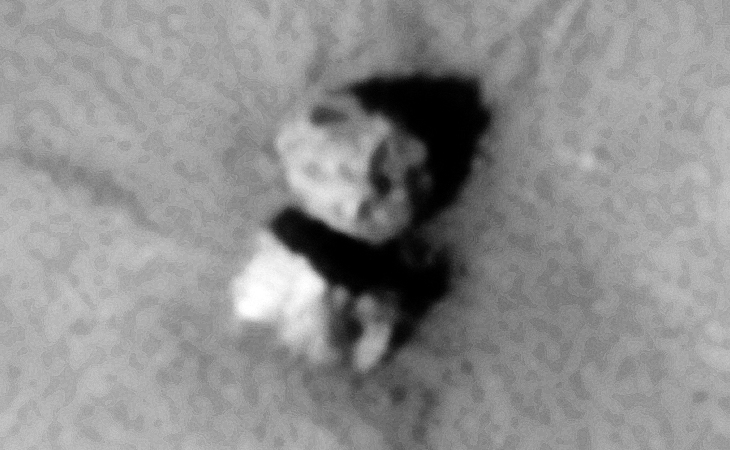 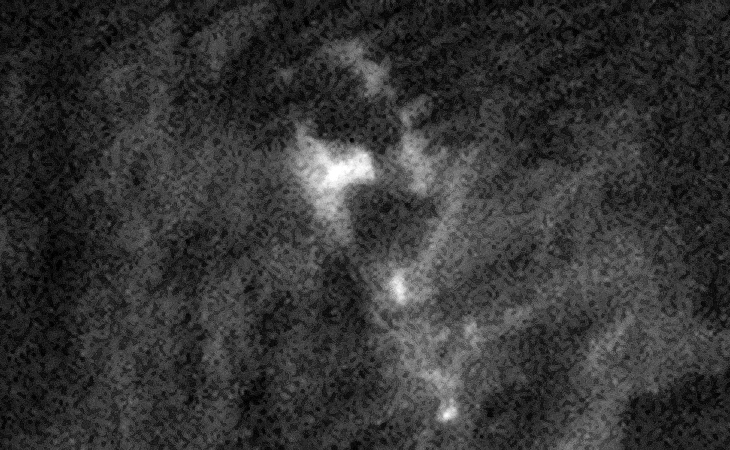 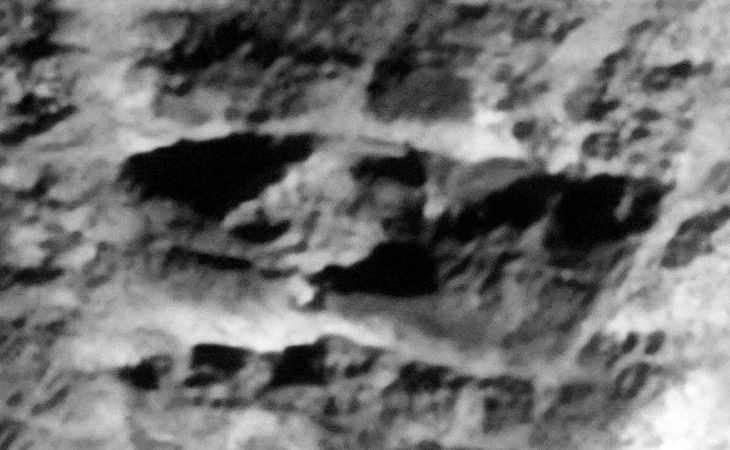 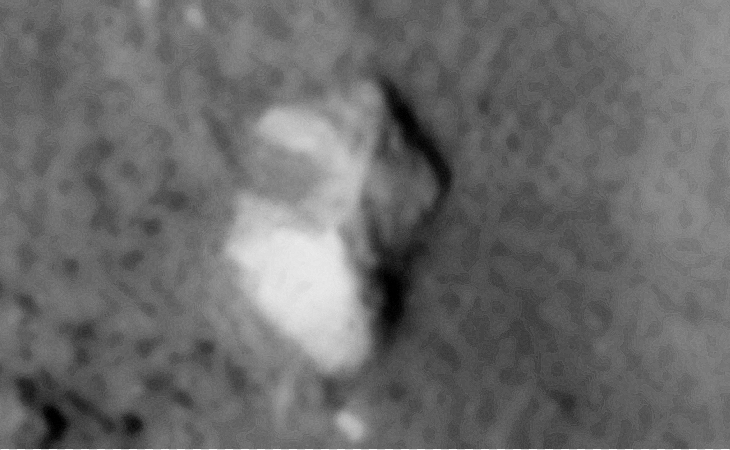 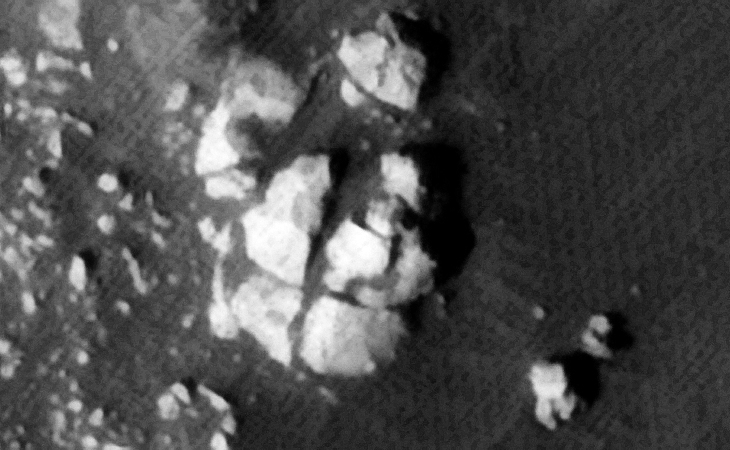 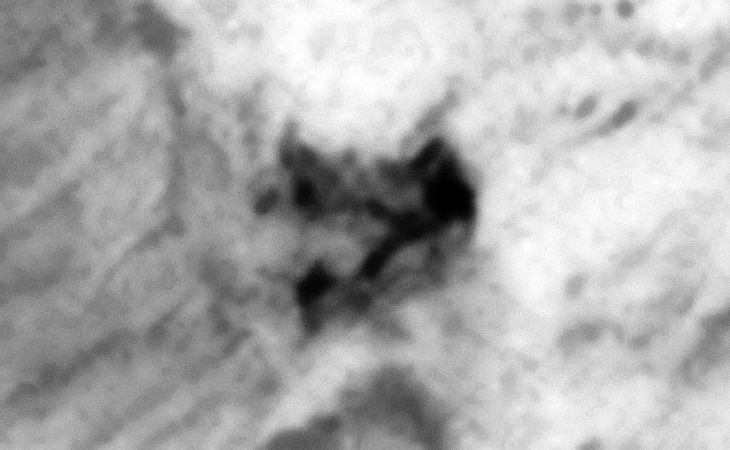 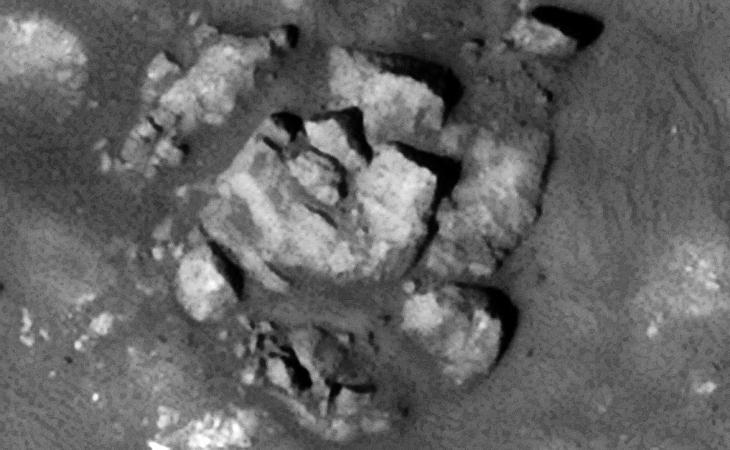 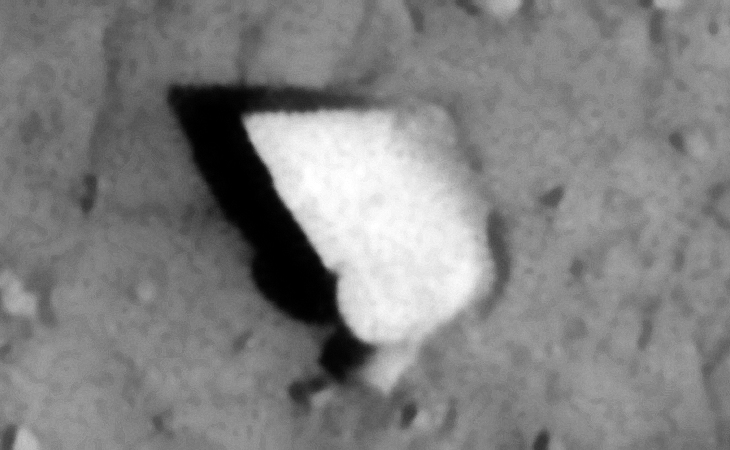 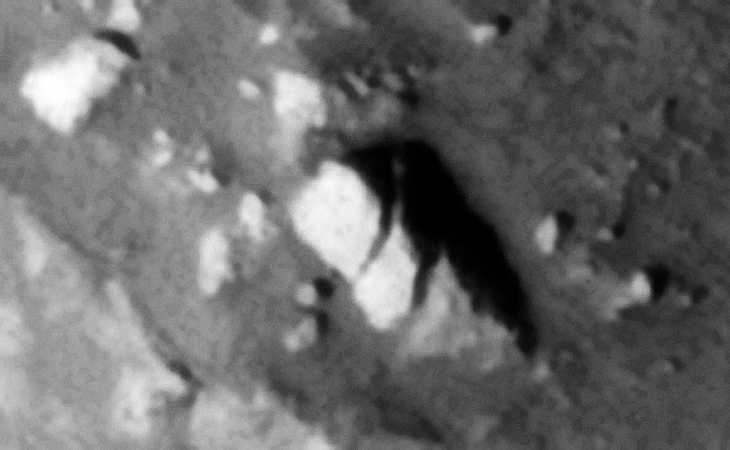 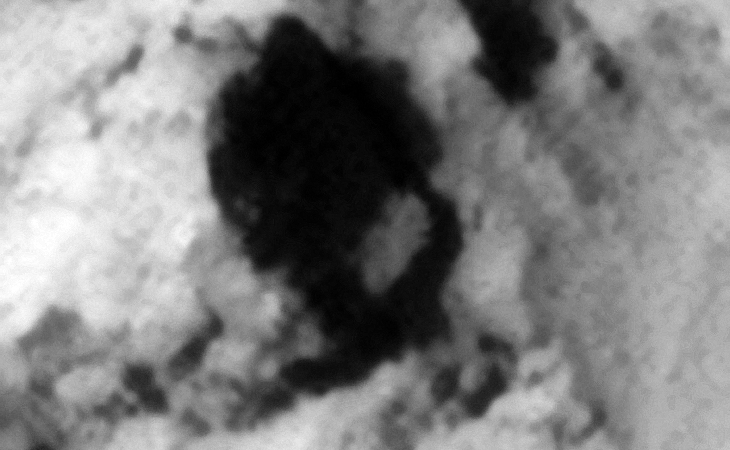 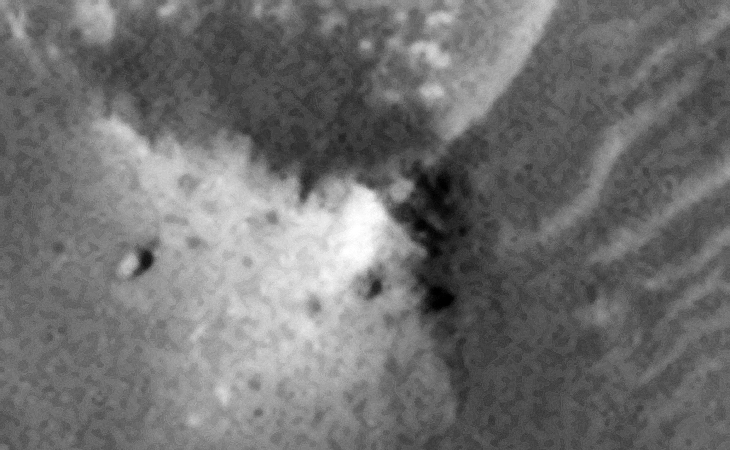 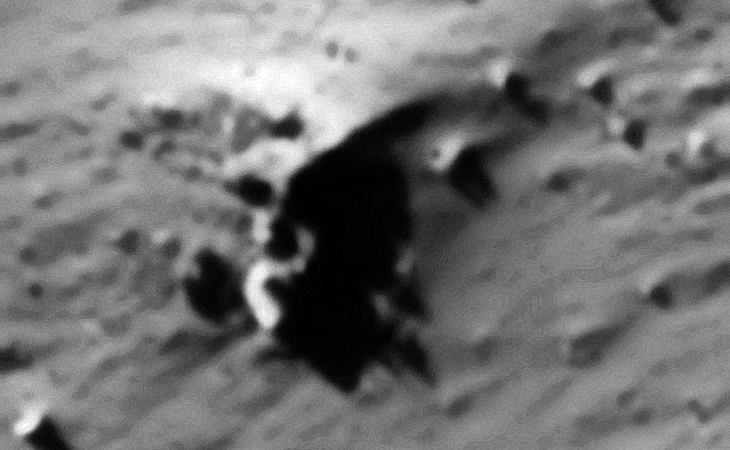 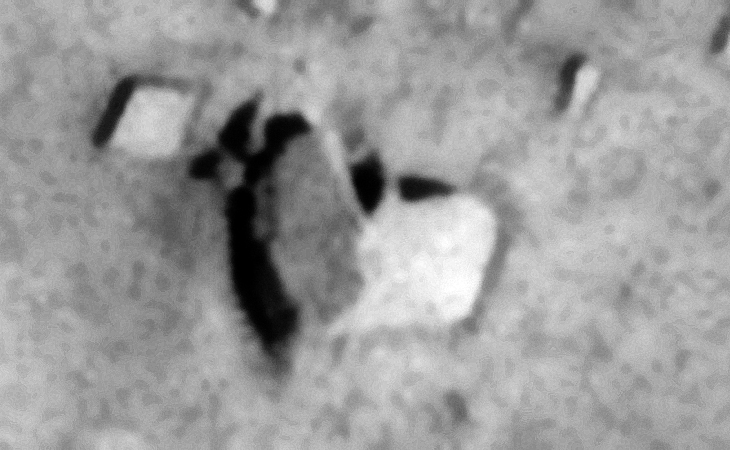 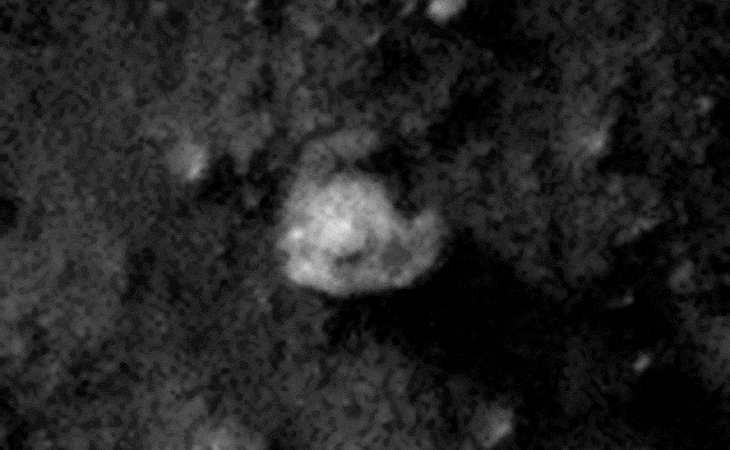 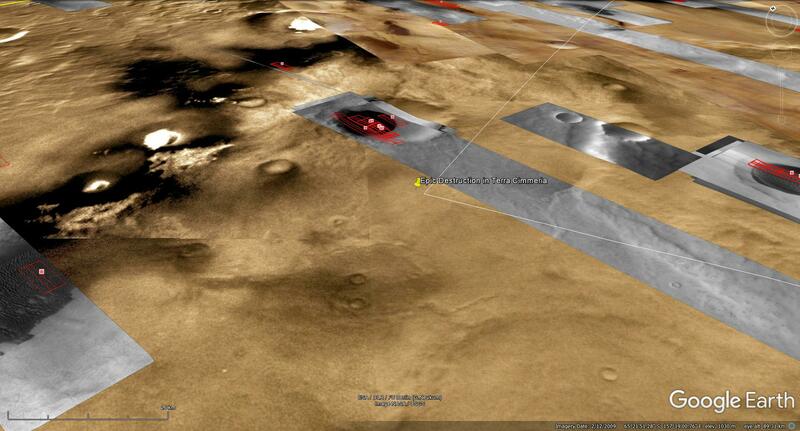 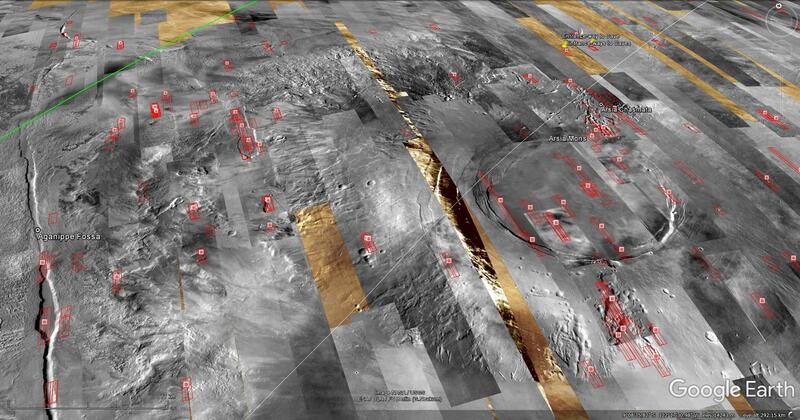 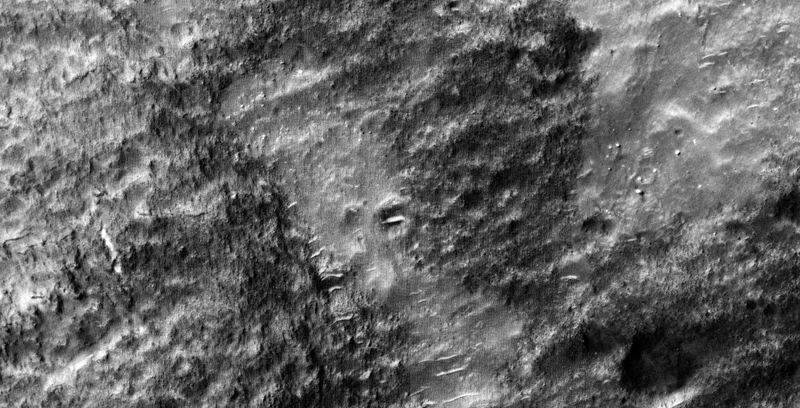 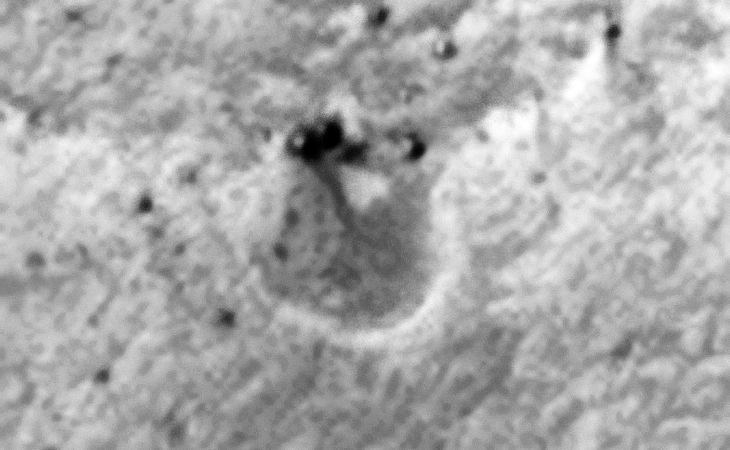 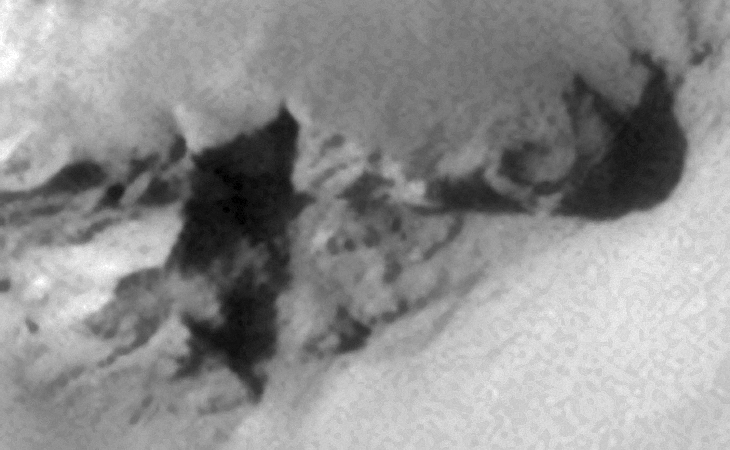 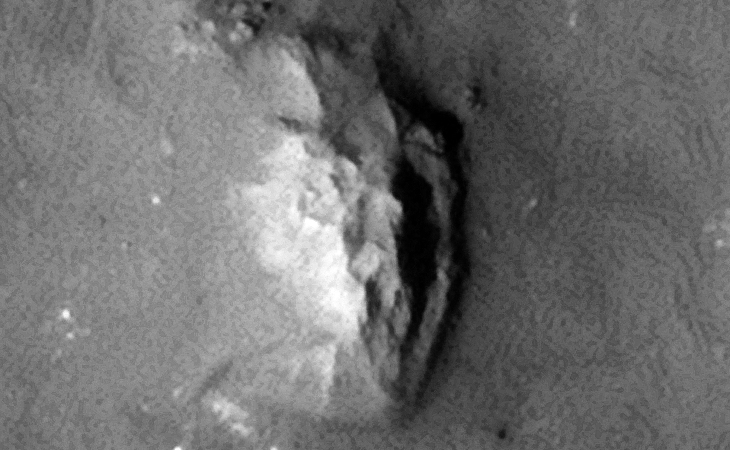 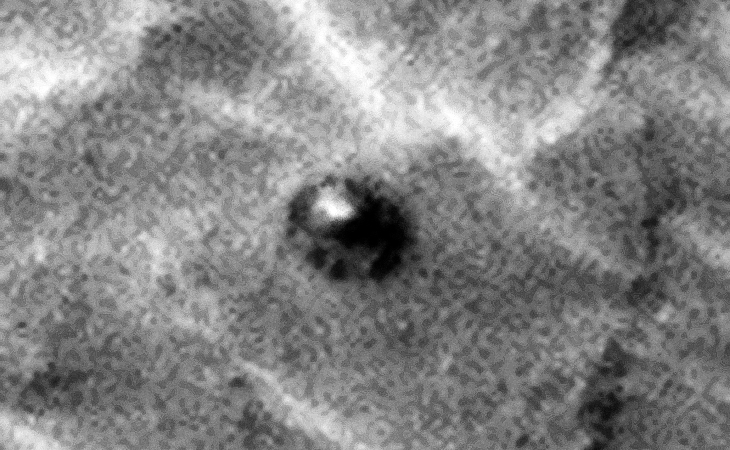 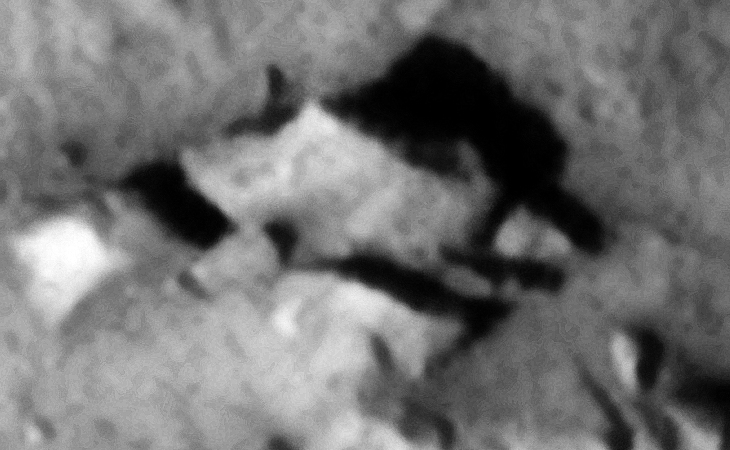 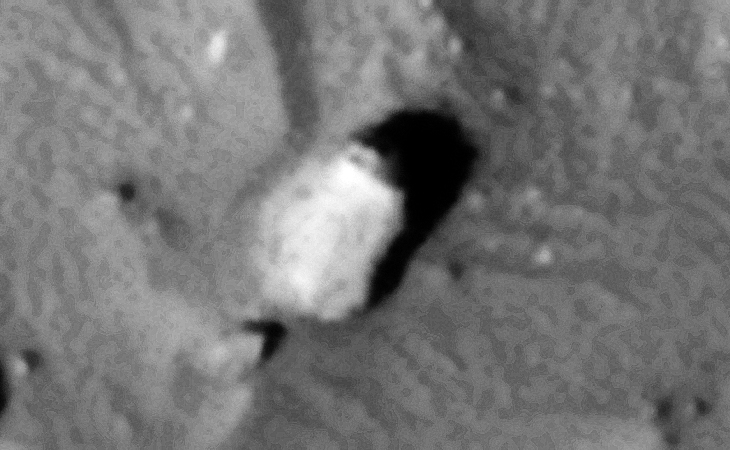 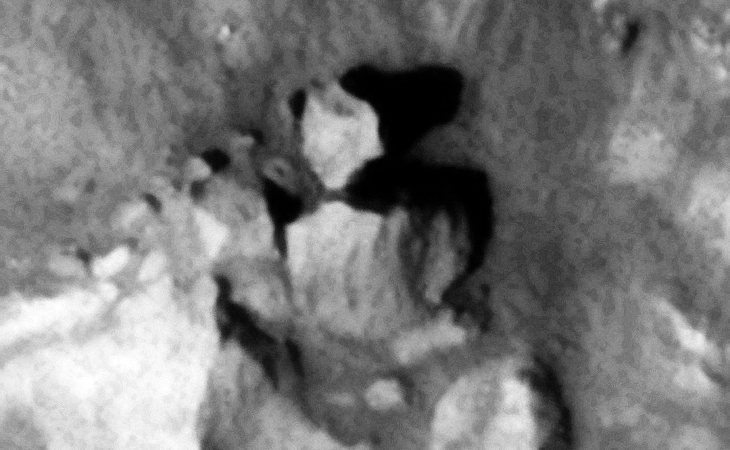 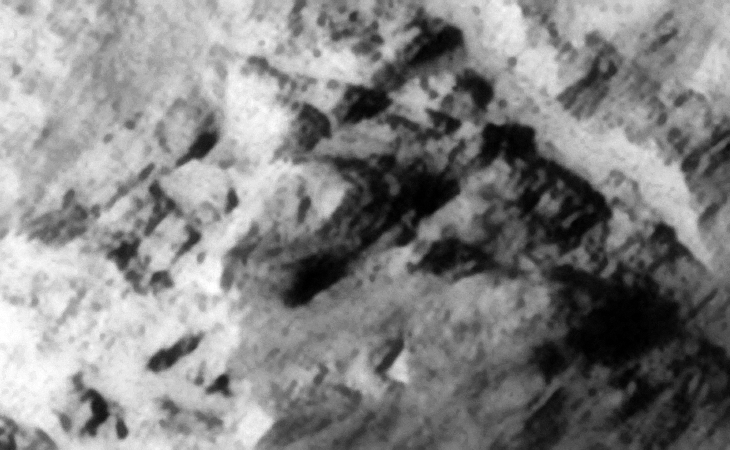 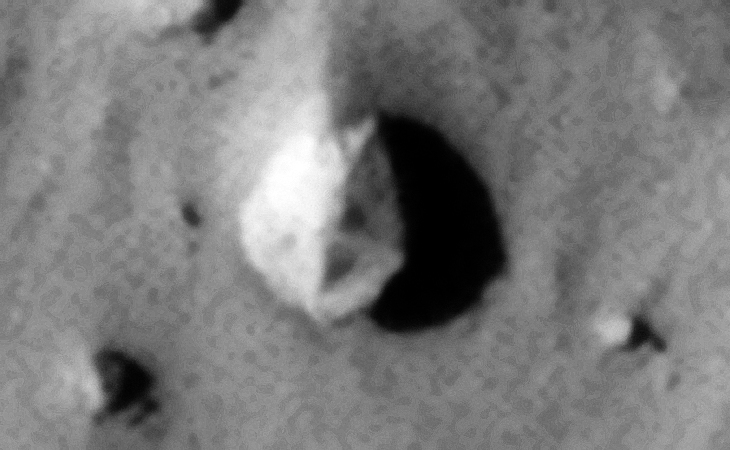 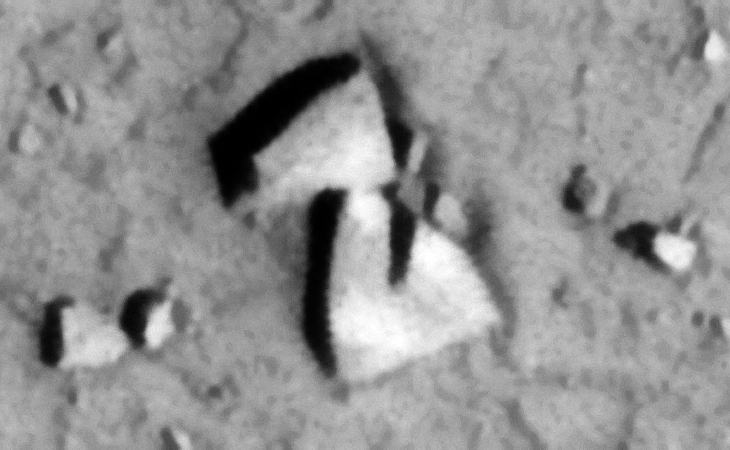 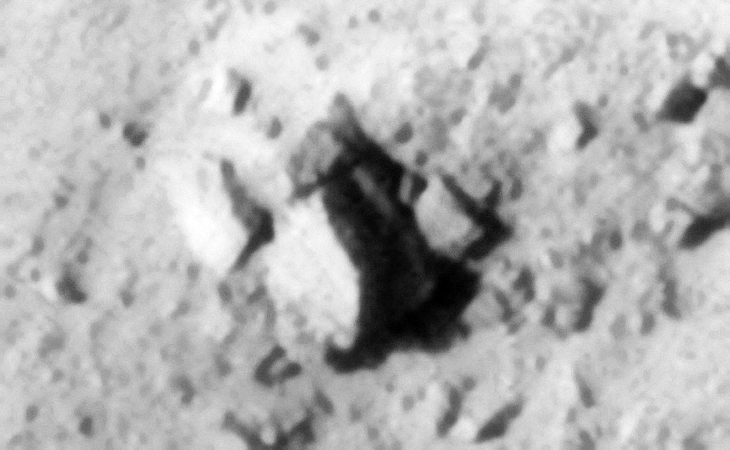 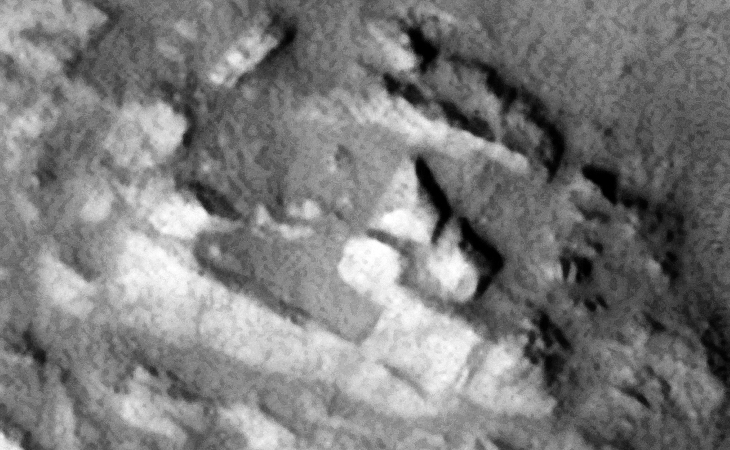 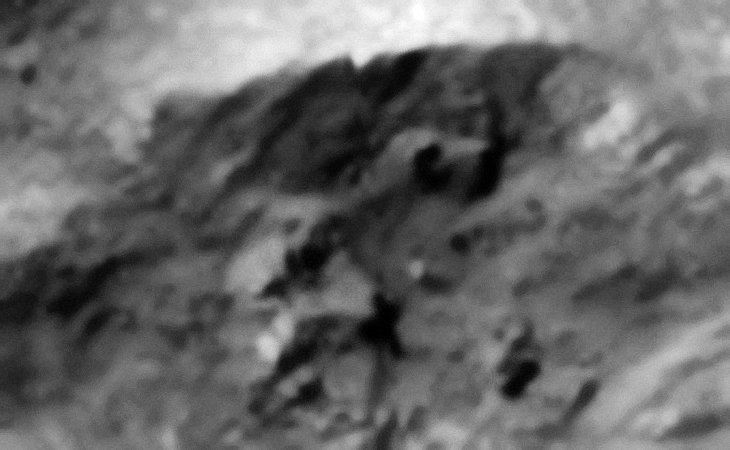 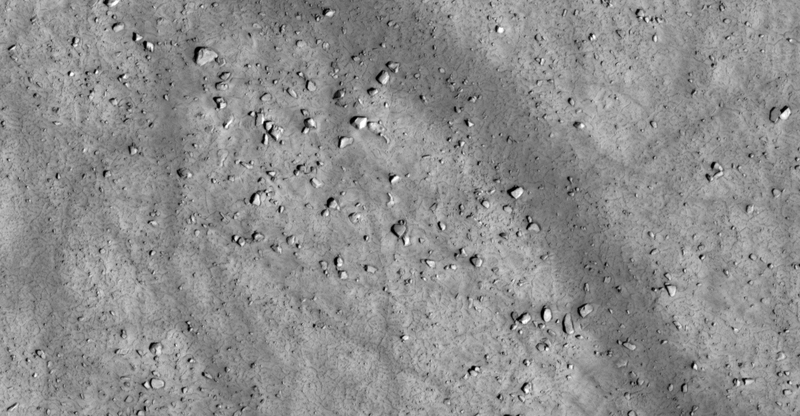 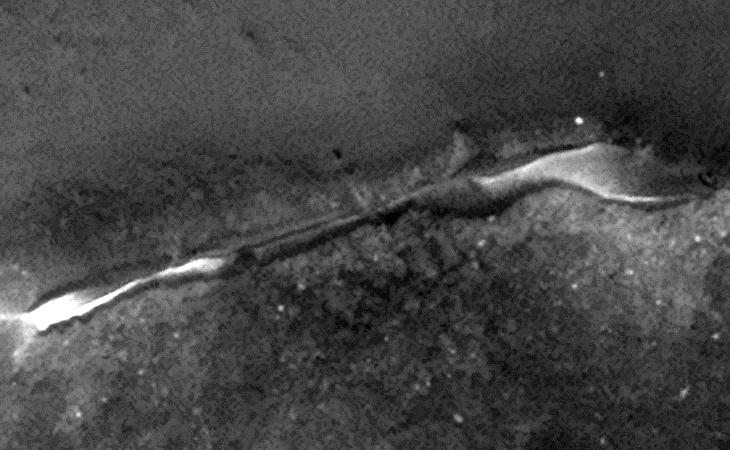 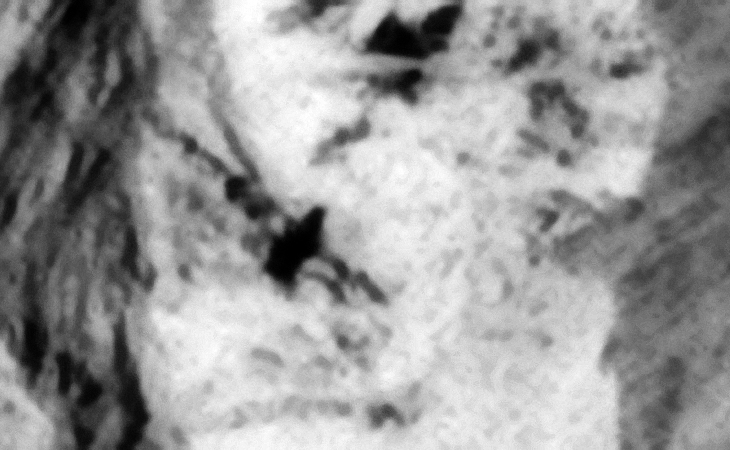 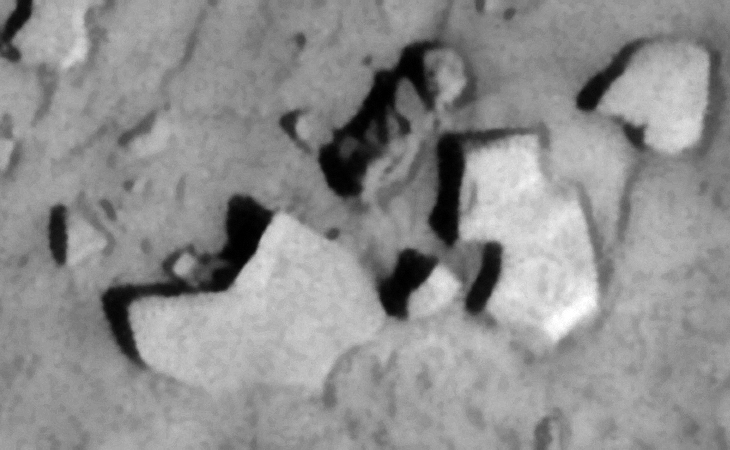 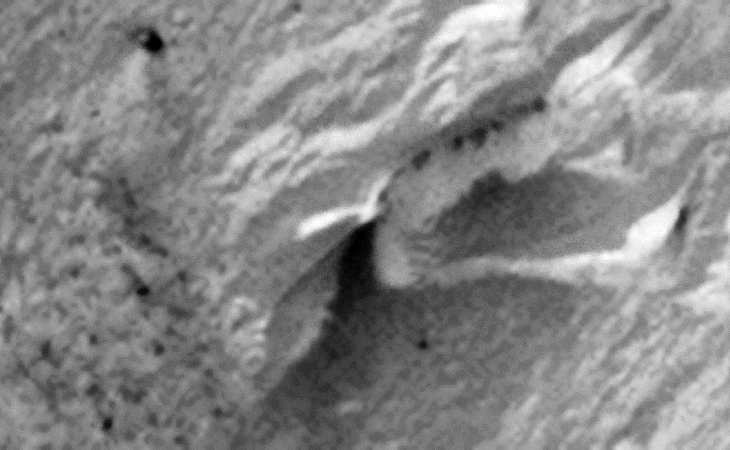 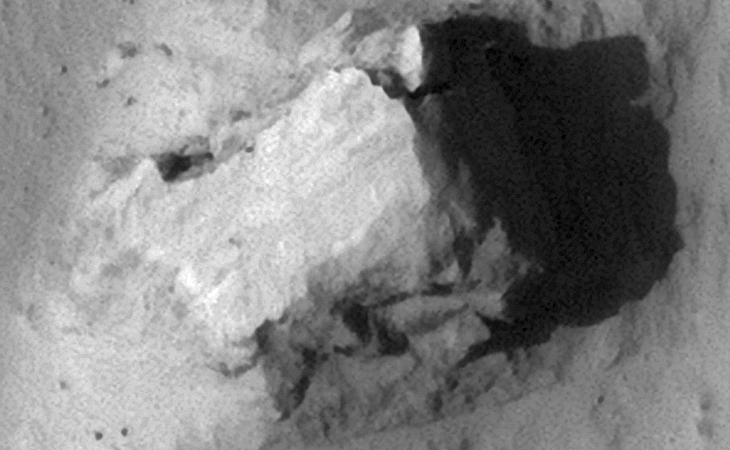 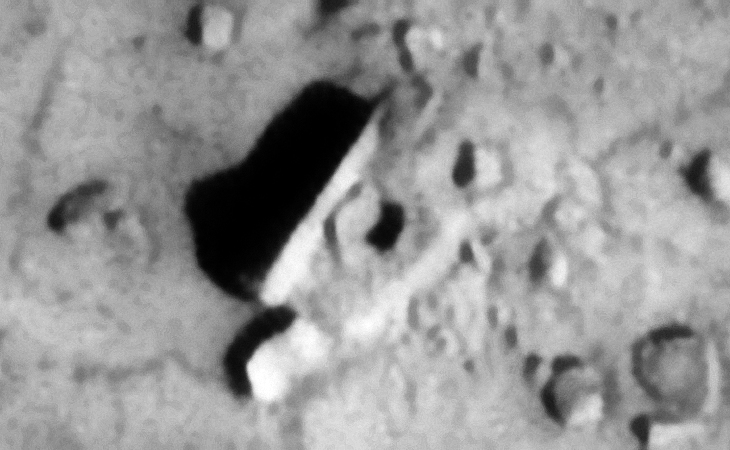 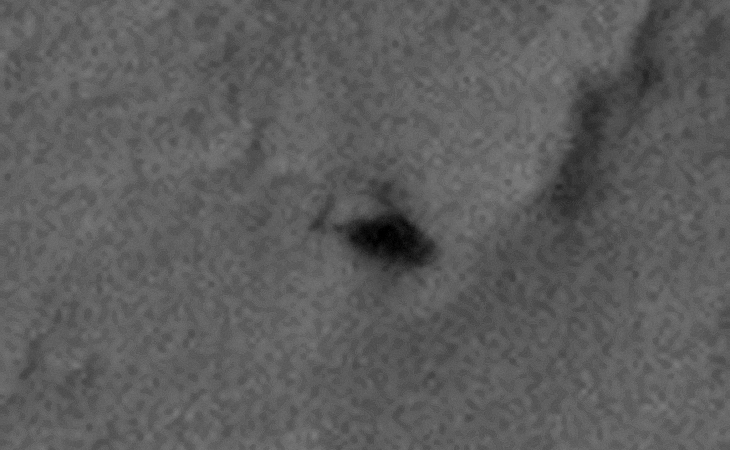 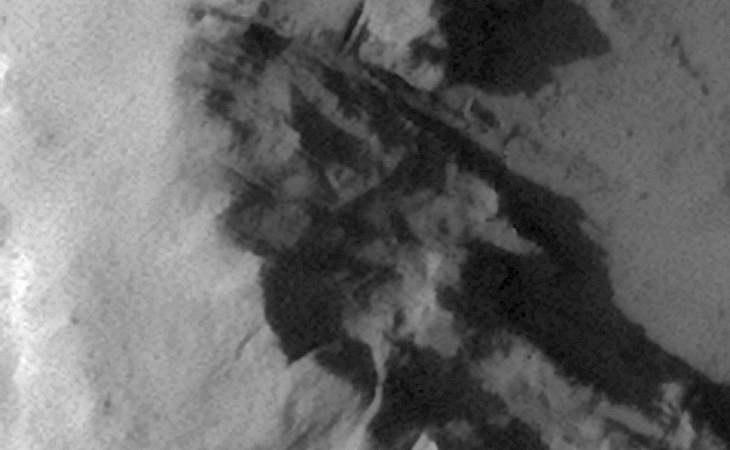 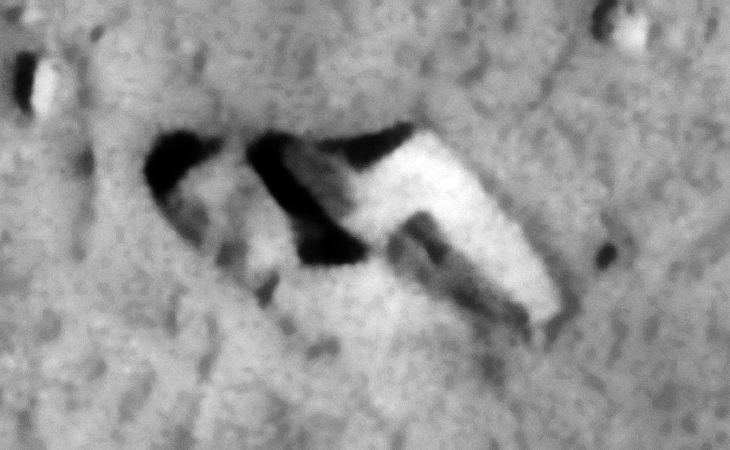 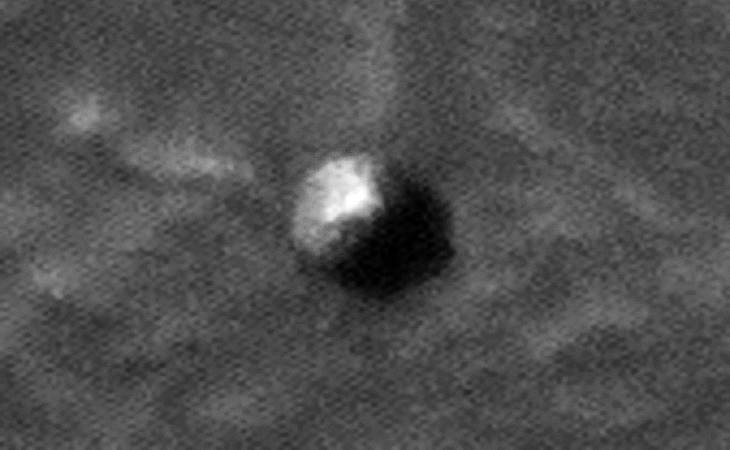 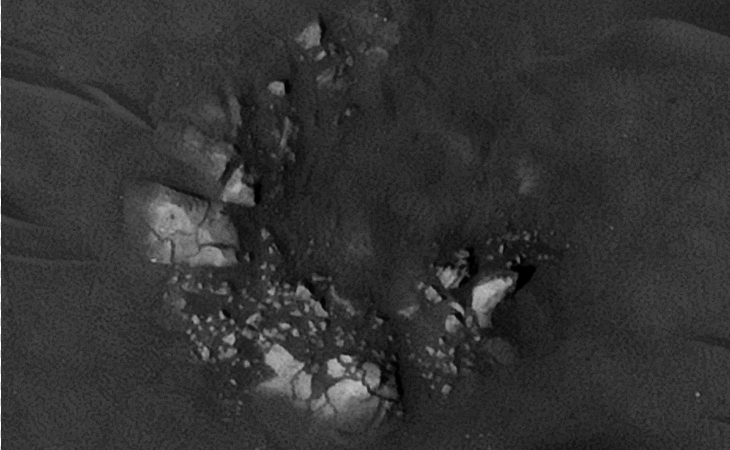 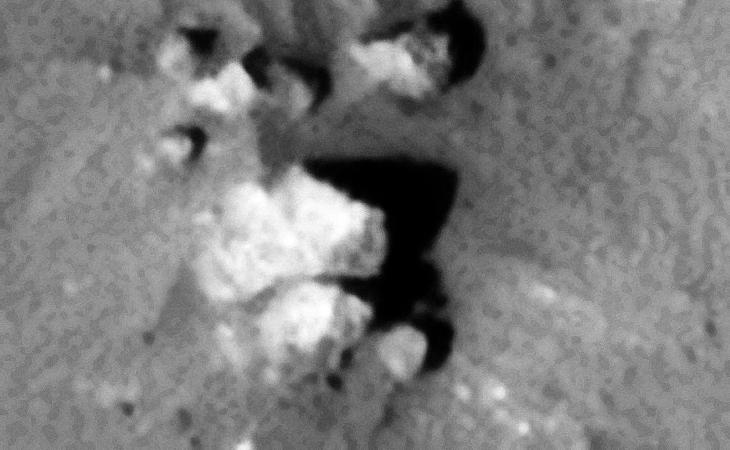 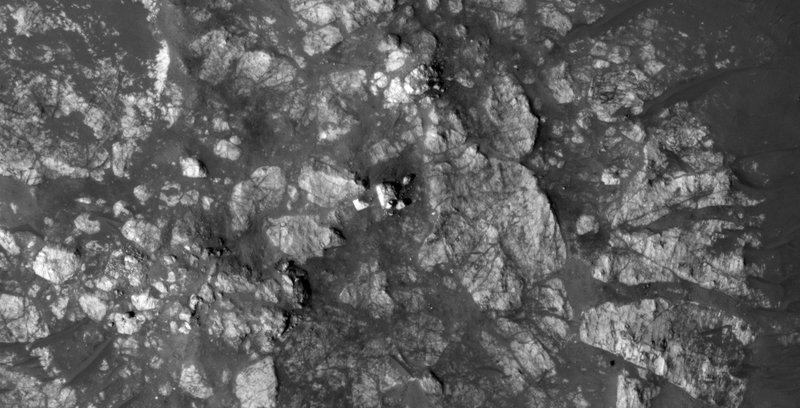 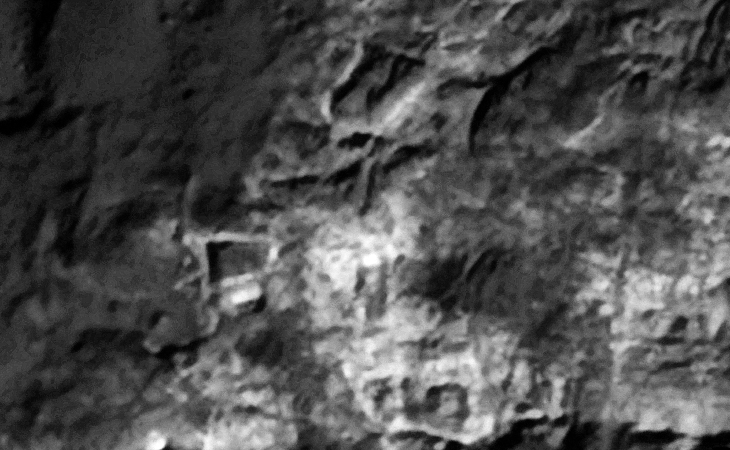 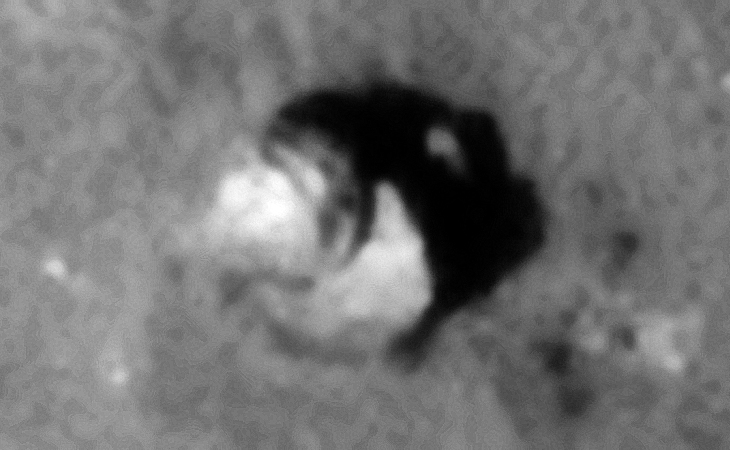 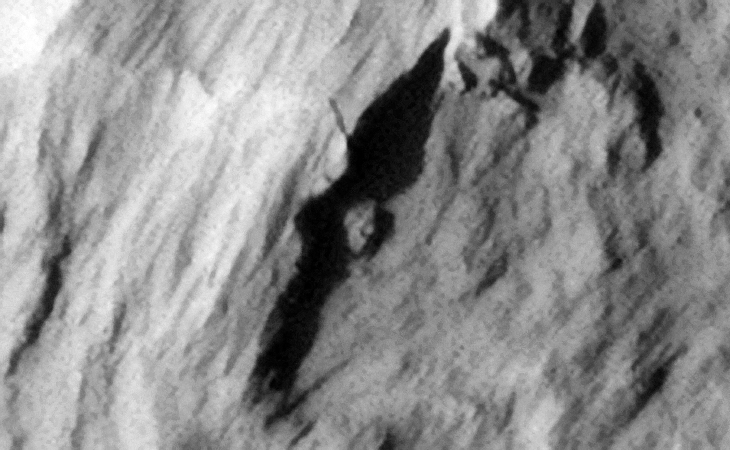 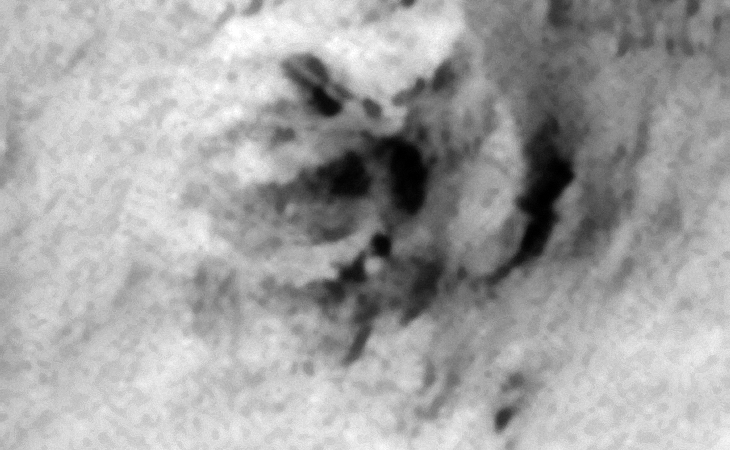 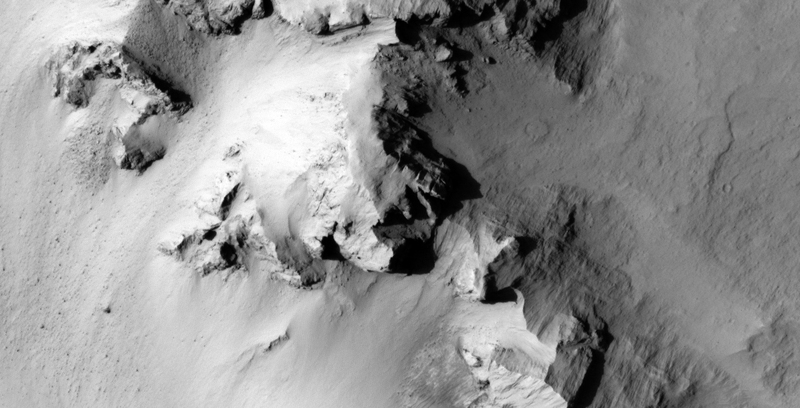 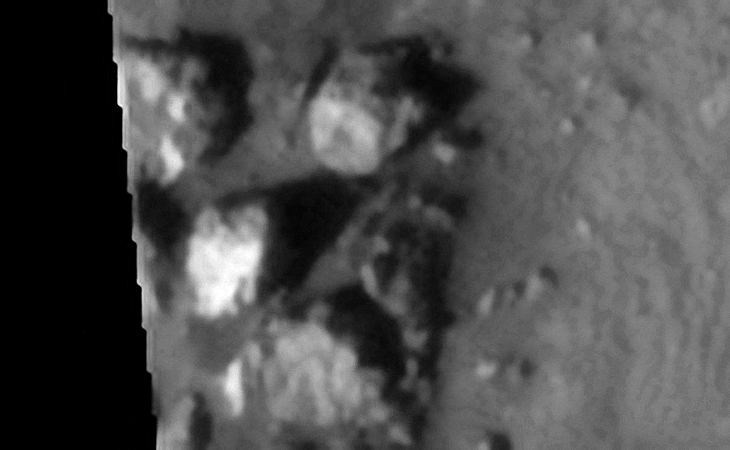 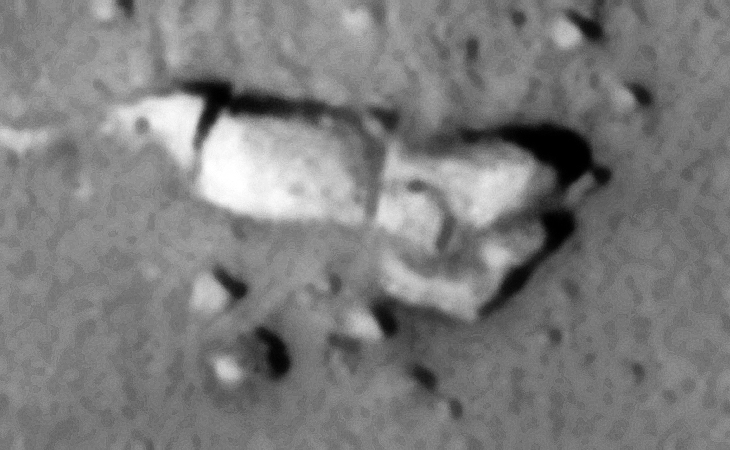 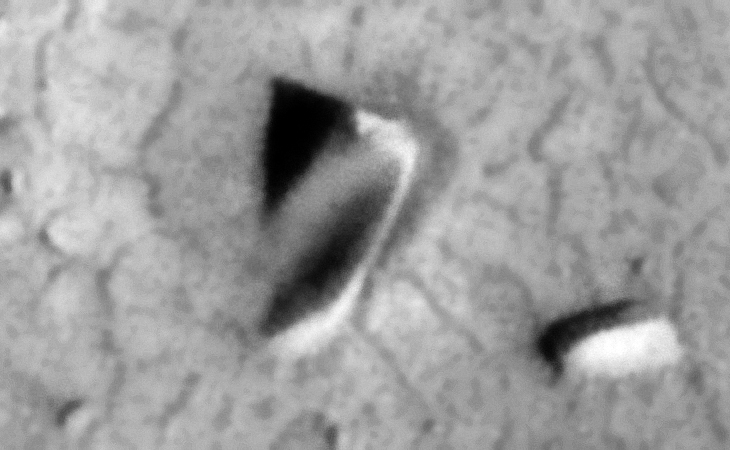 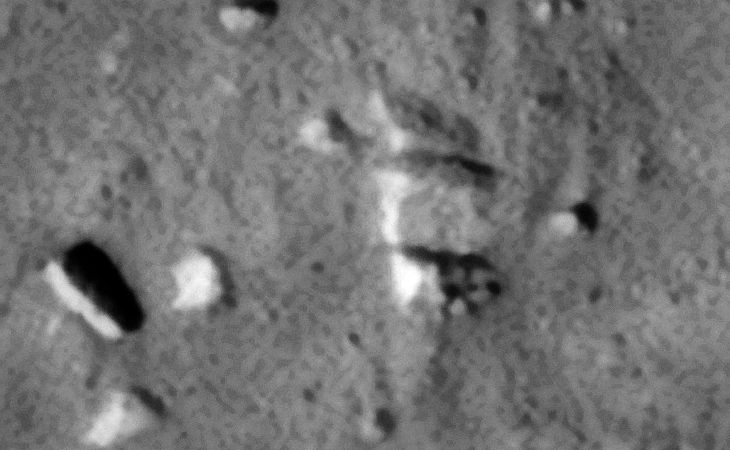 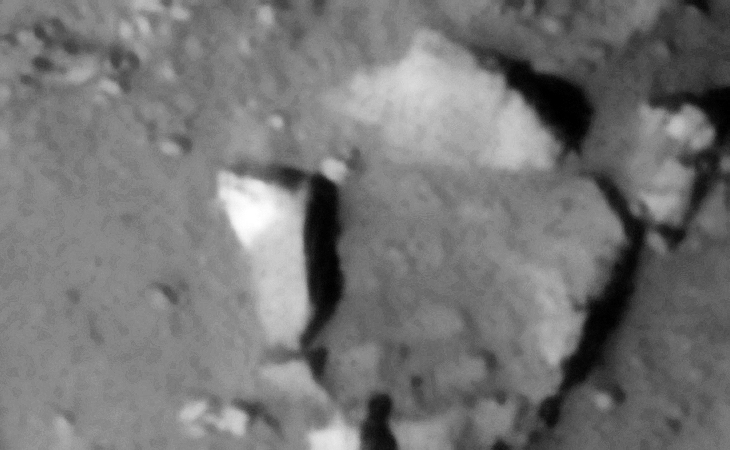 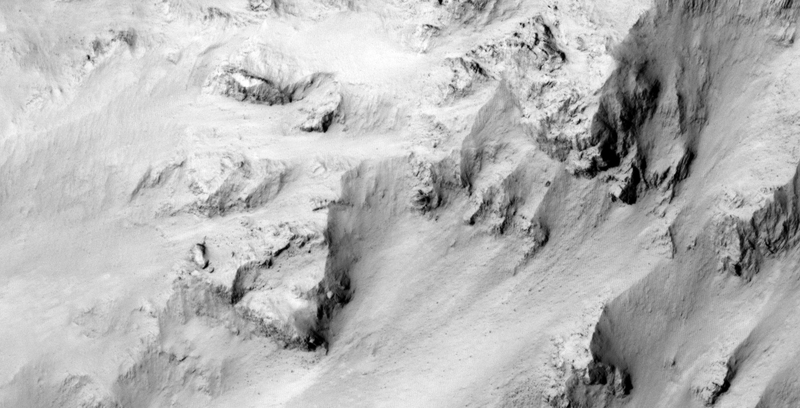 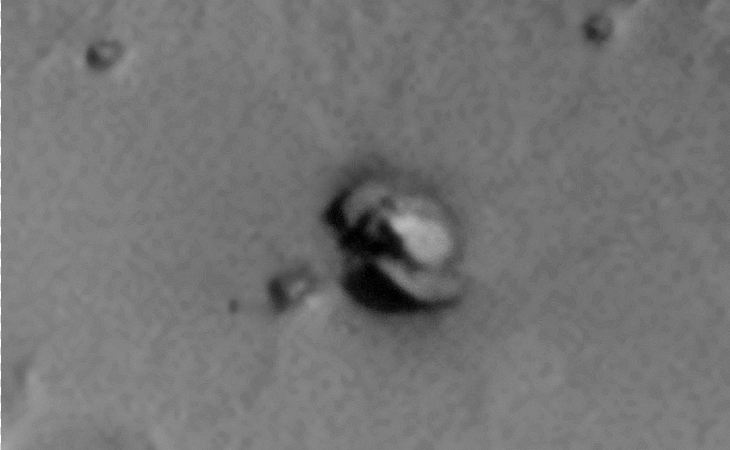 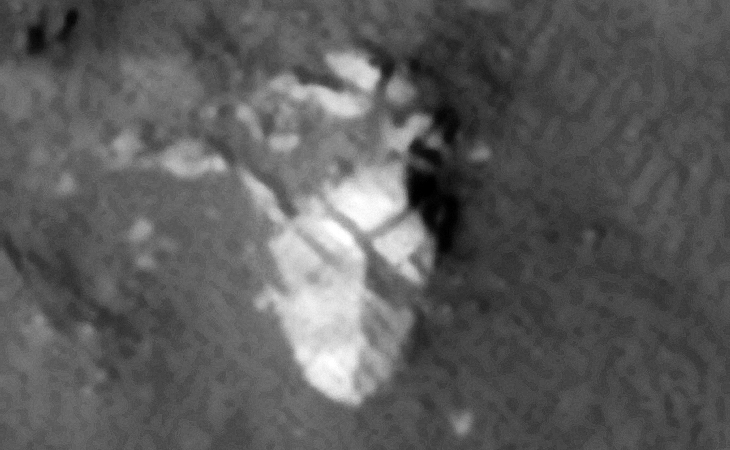 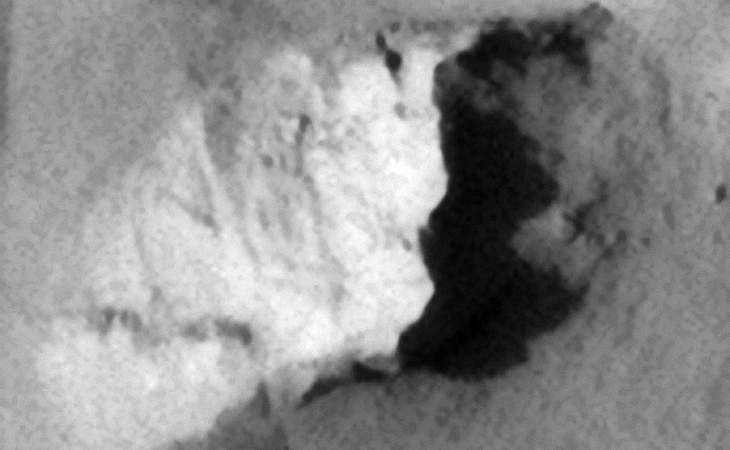 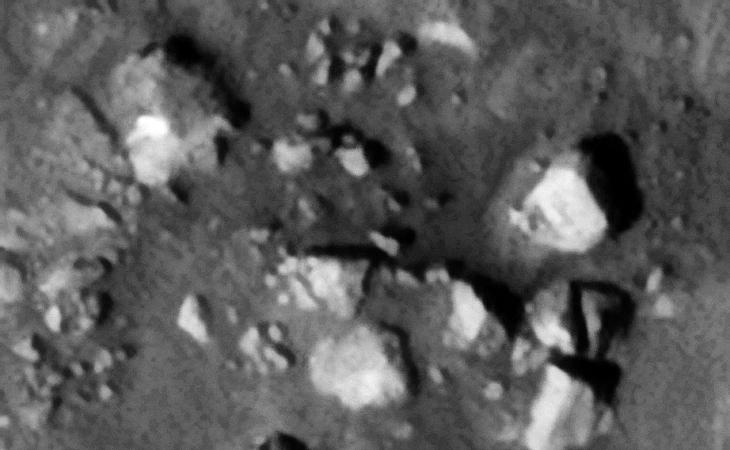 I downloaded the HiRise B&W Map-Projected JP2 file’s to view these anomalies. 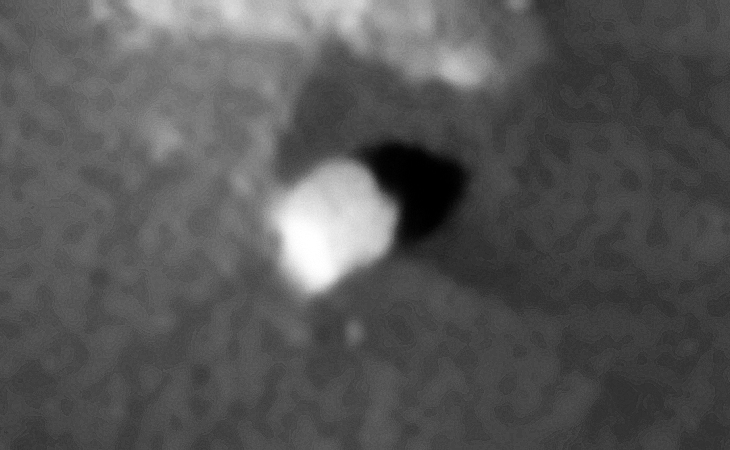 Special thank you to: NASA, JPL and University of Arizona. 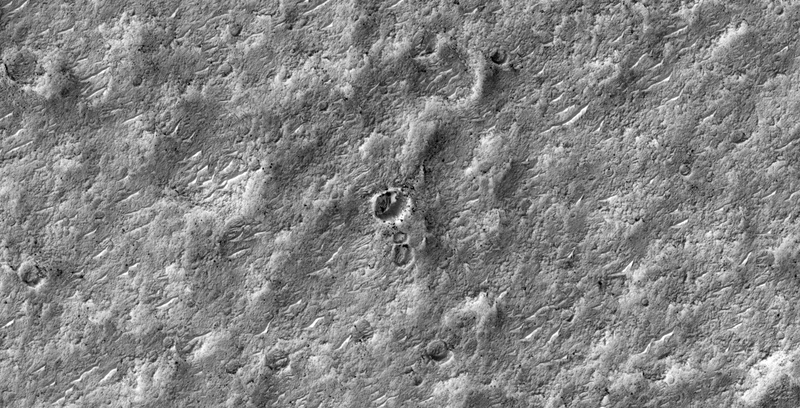 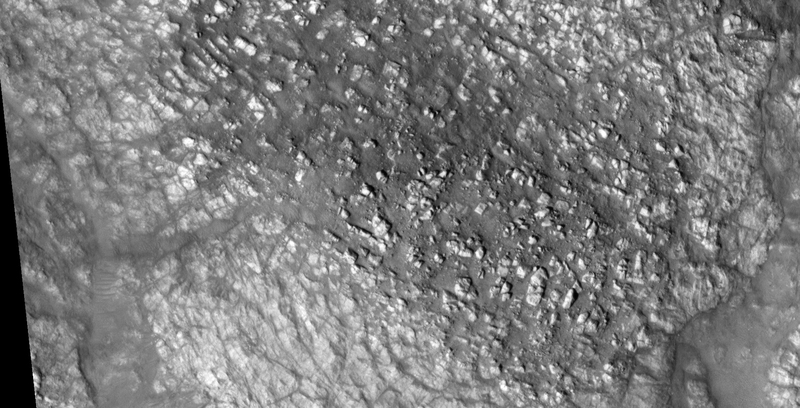 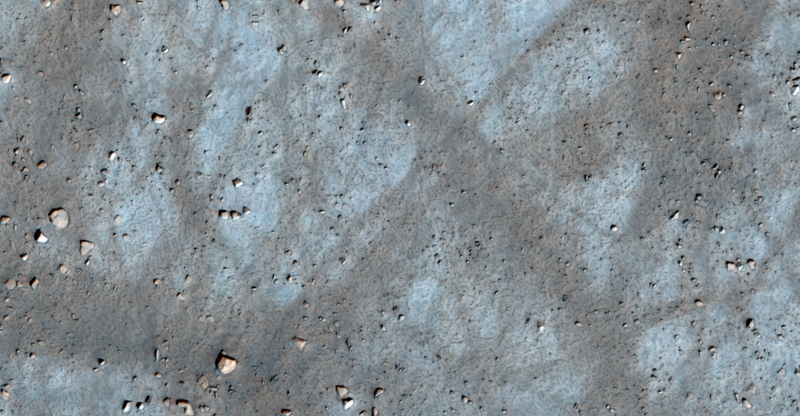 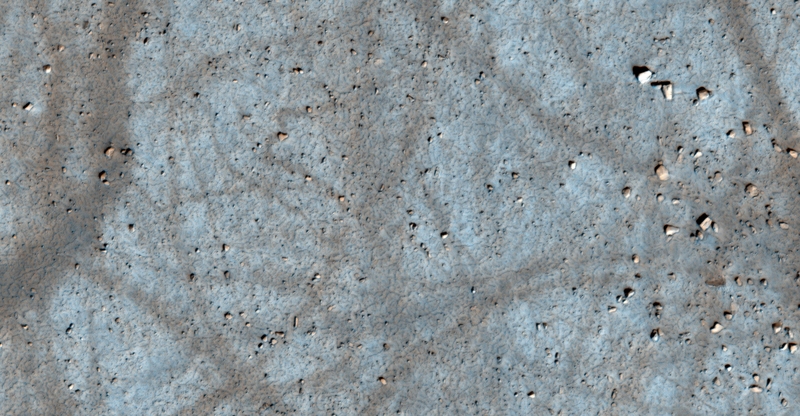 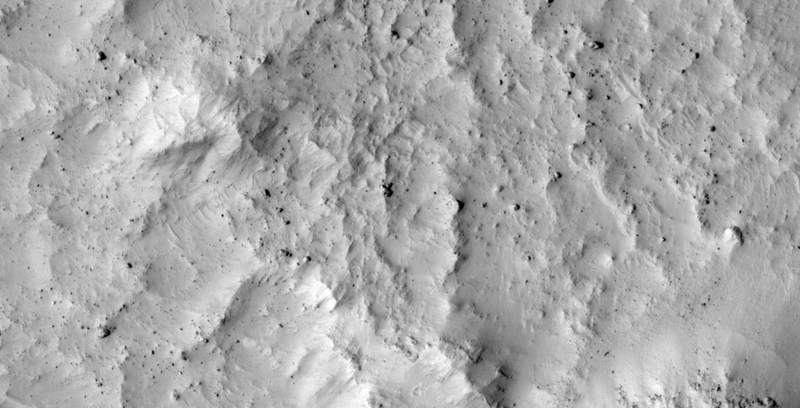 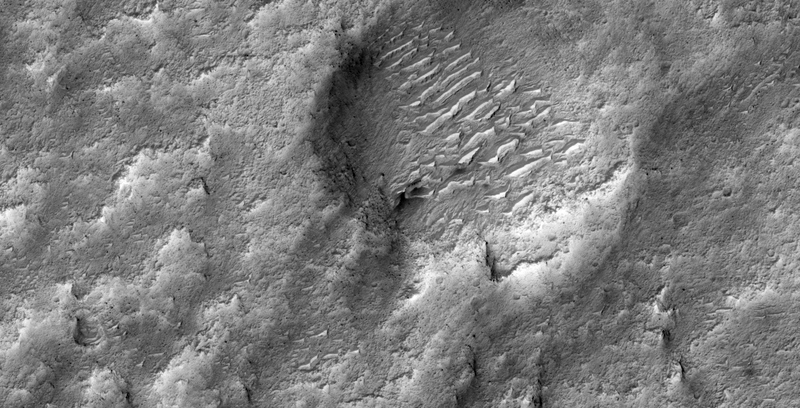 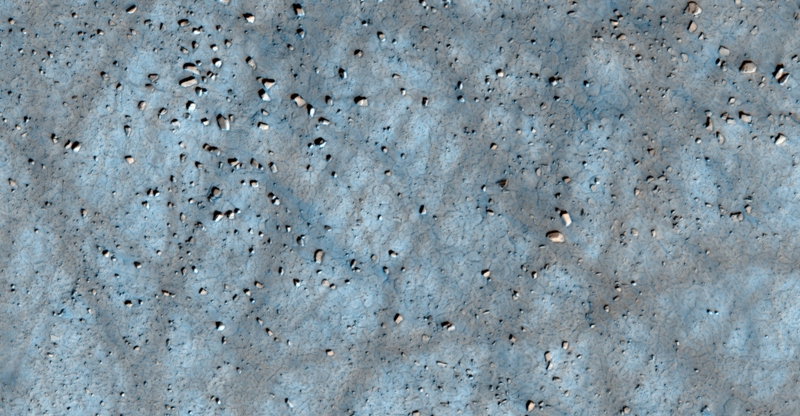 This photograph (ESP_017257_2360) was taken by NASA’s Mars Reconnaissance Orbiter (MRO) HiRISE Camera on 02 April 2010. 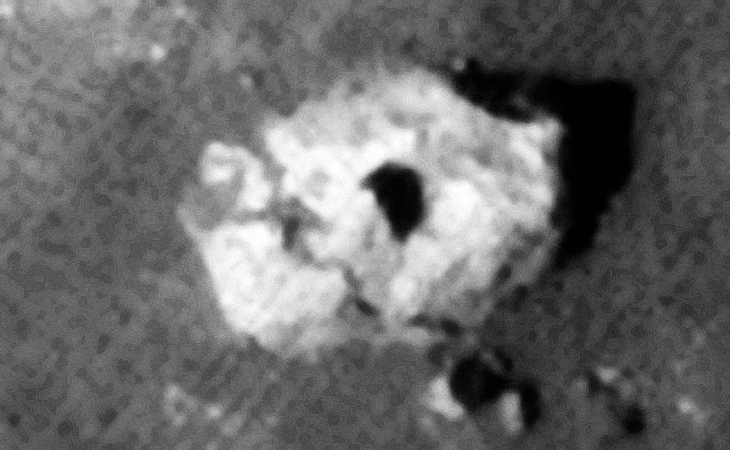 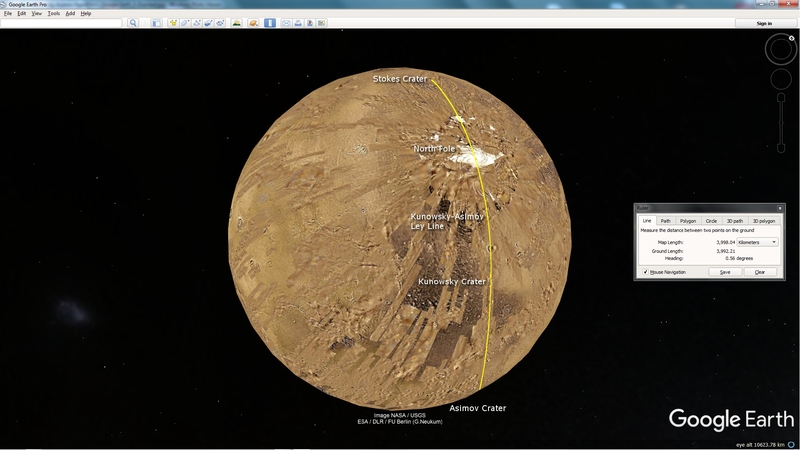 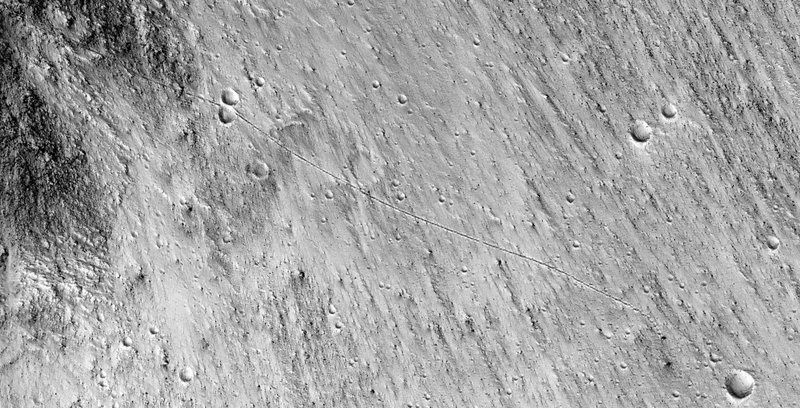 Stokes Crater is on the Kunowsky-Asimov Ley Line discovered by Saturn Ark as well as on the same latitude line, 56 degrees North. 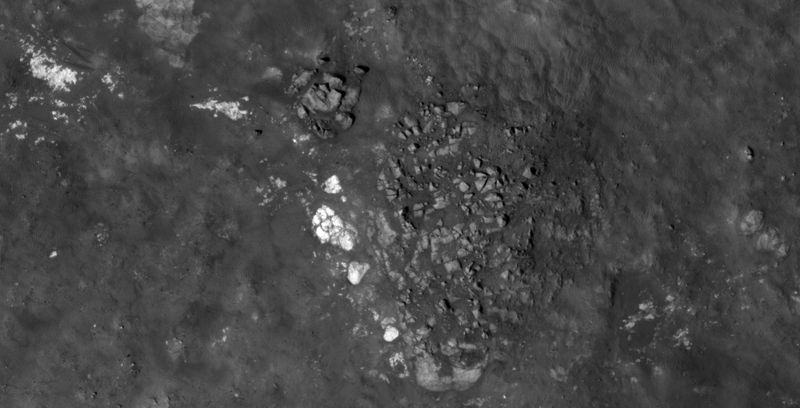 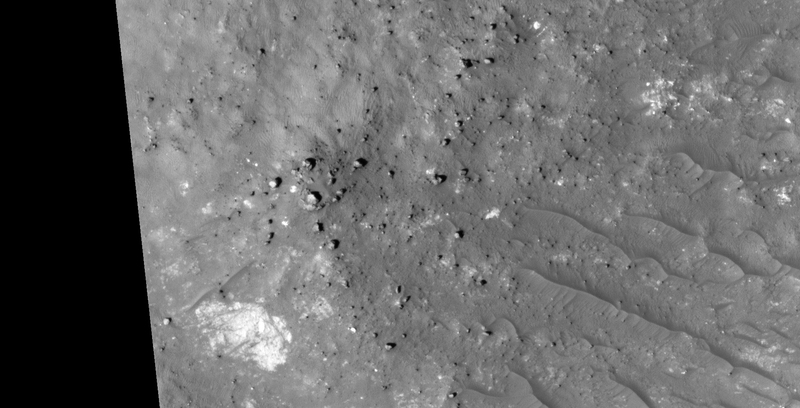 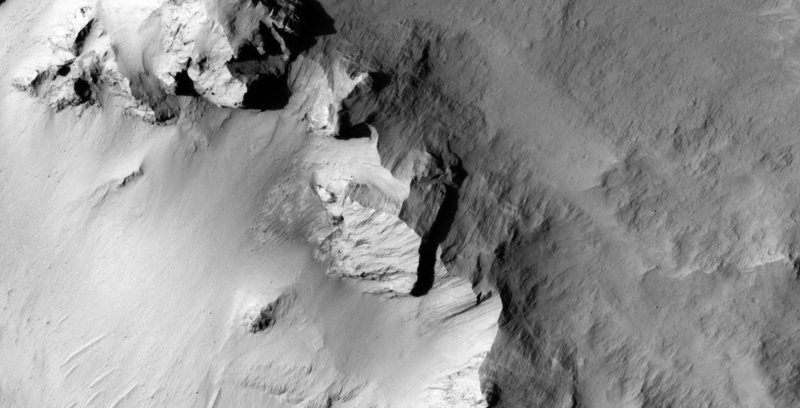 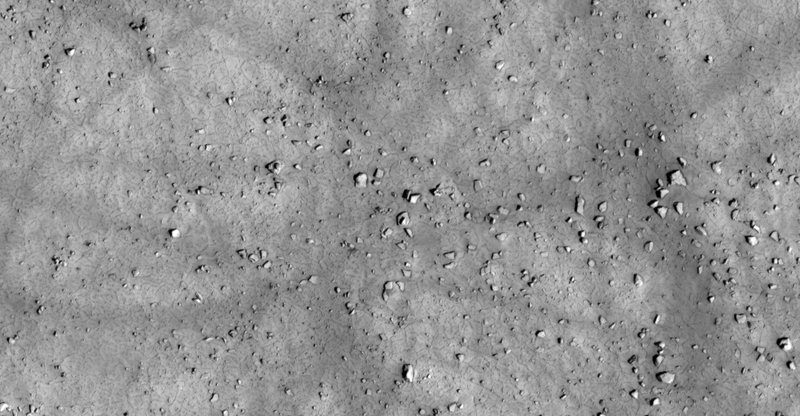 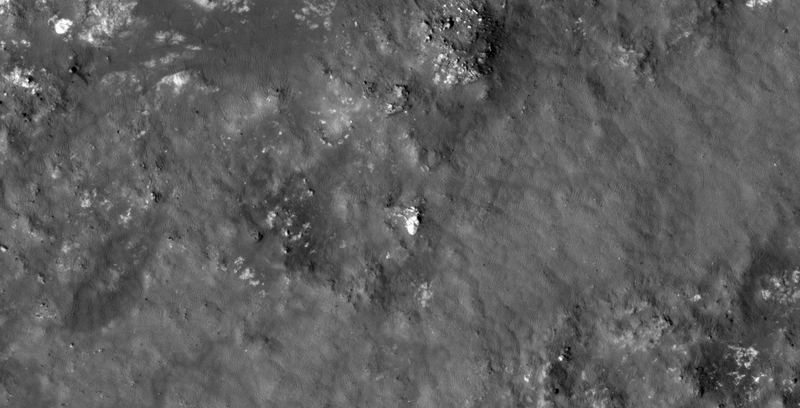 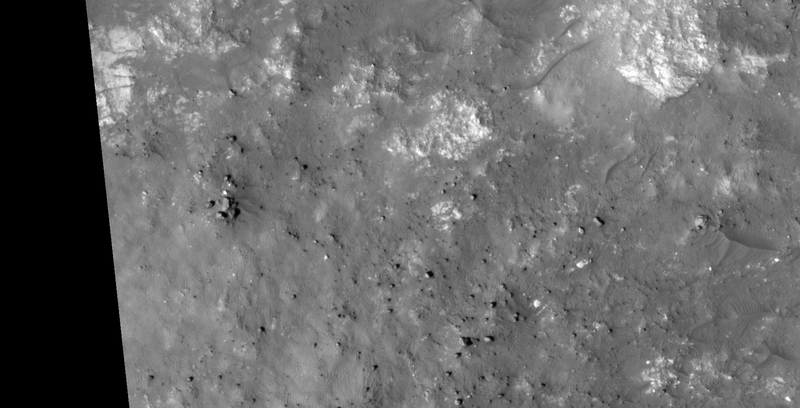 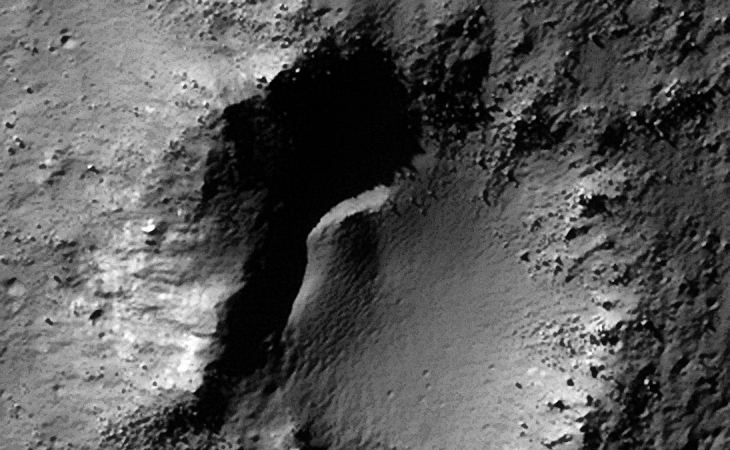 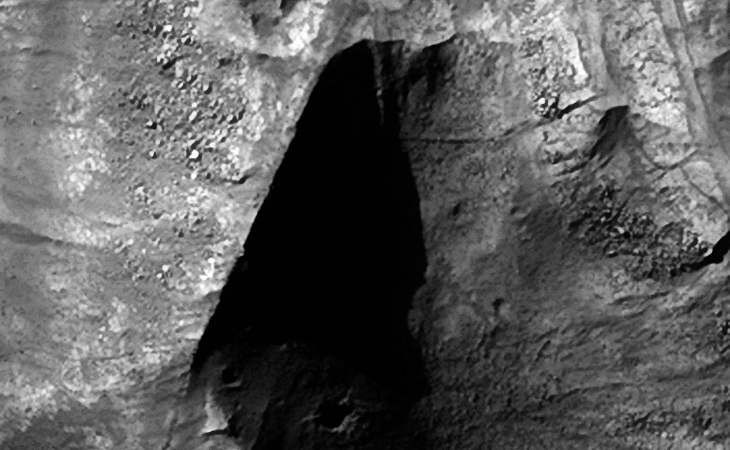 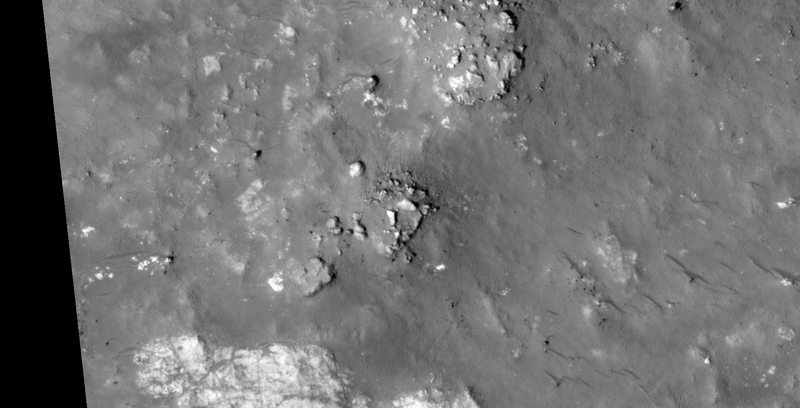 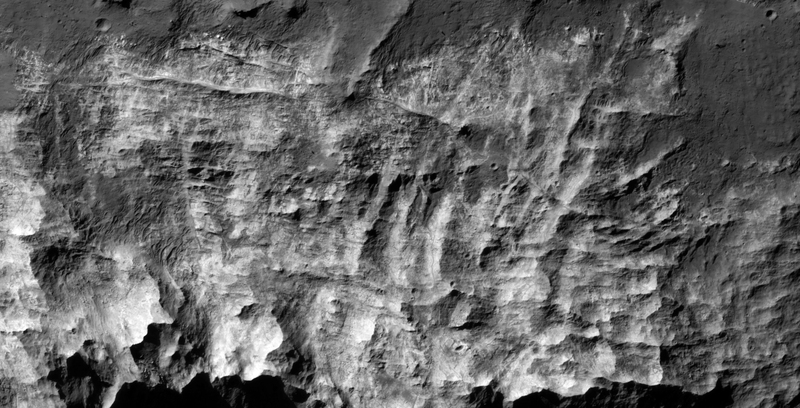 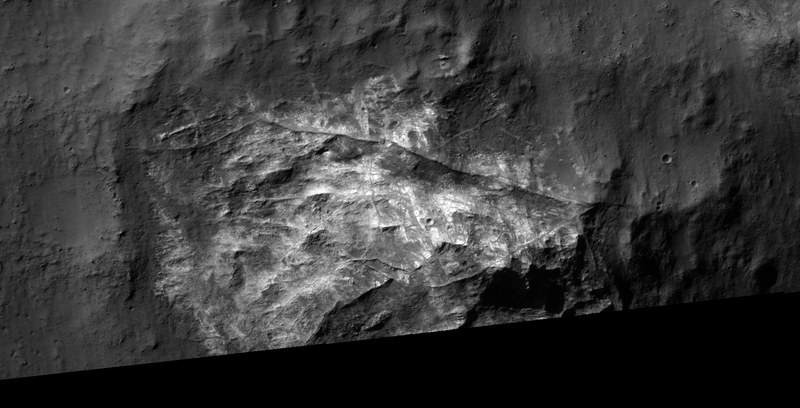 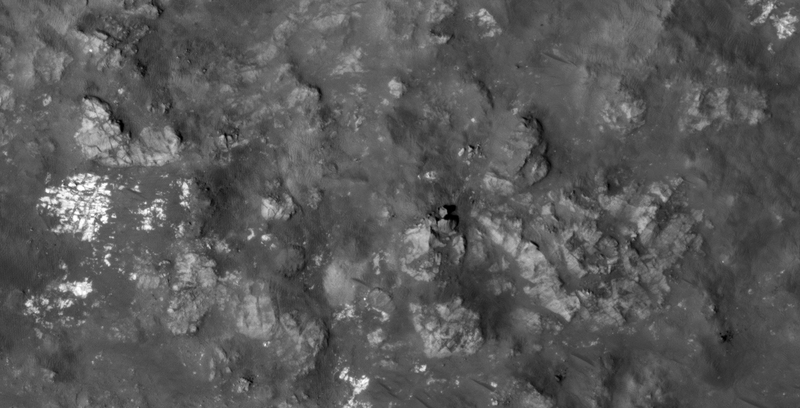 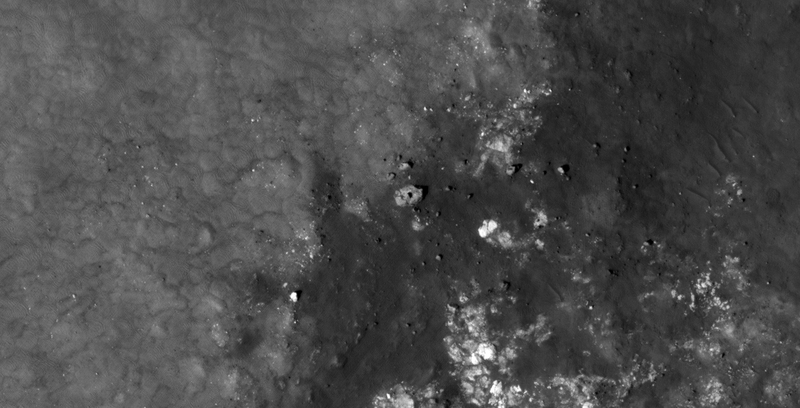 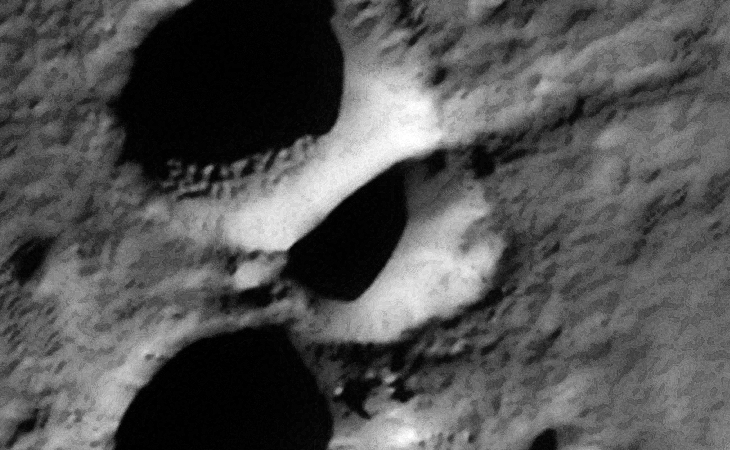 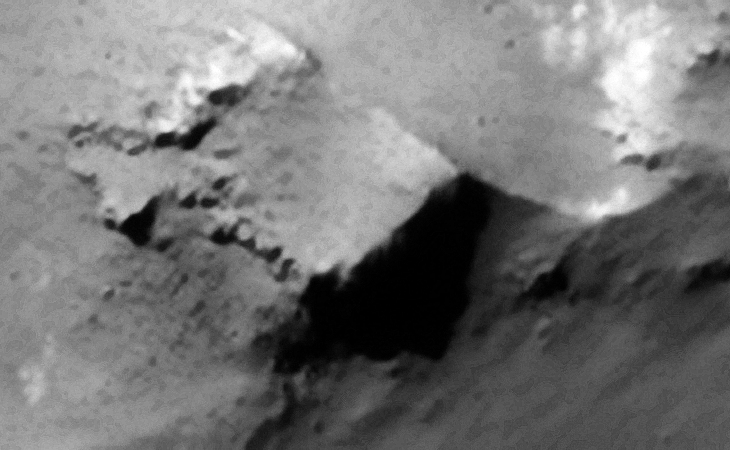 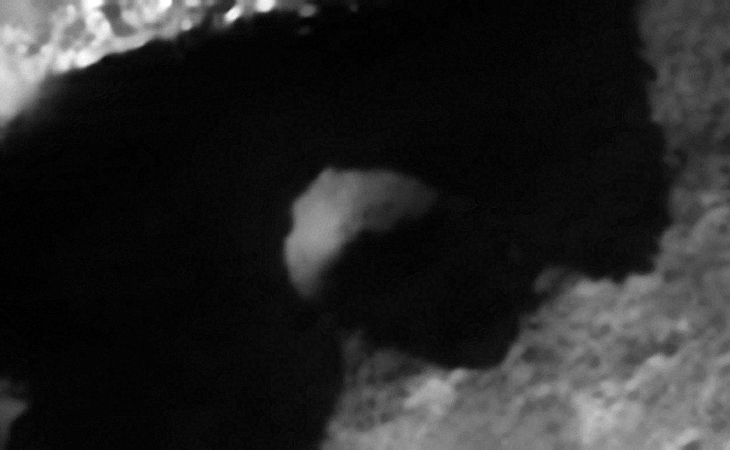 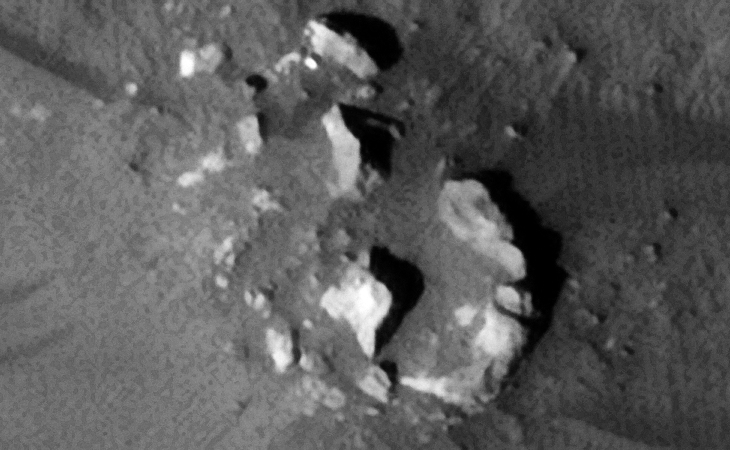 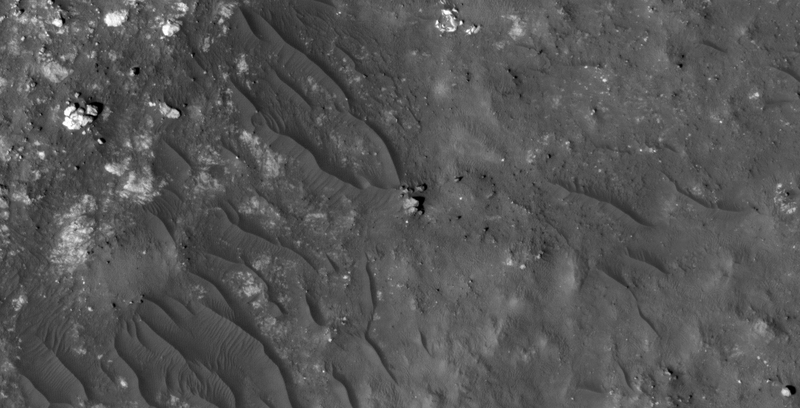 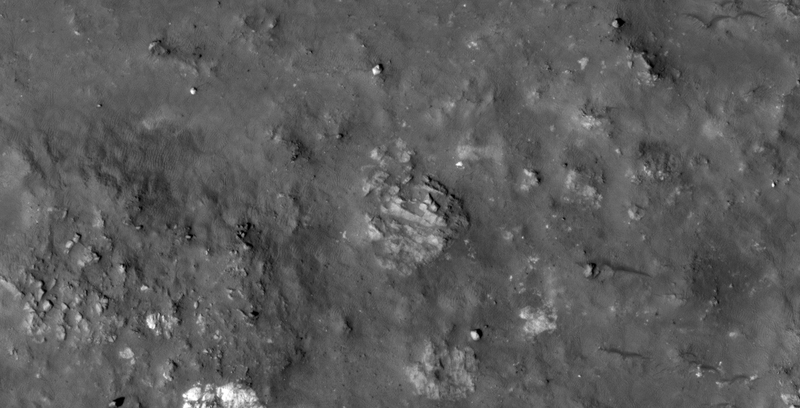 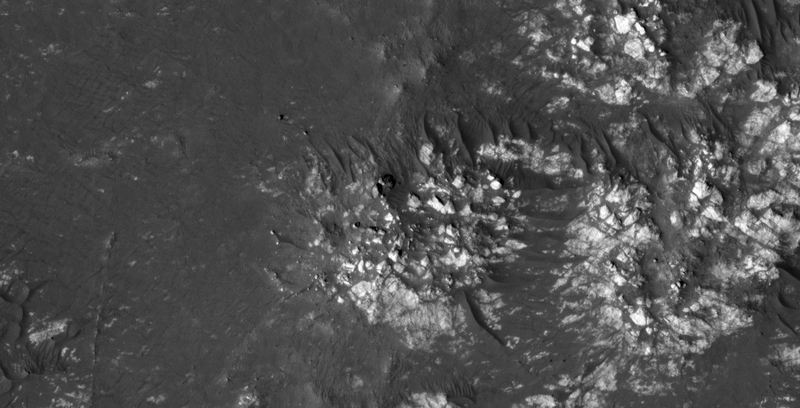 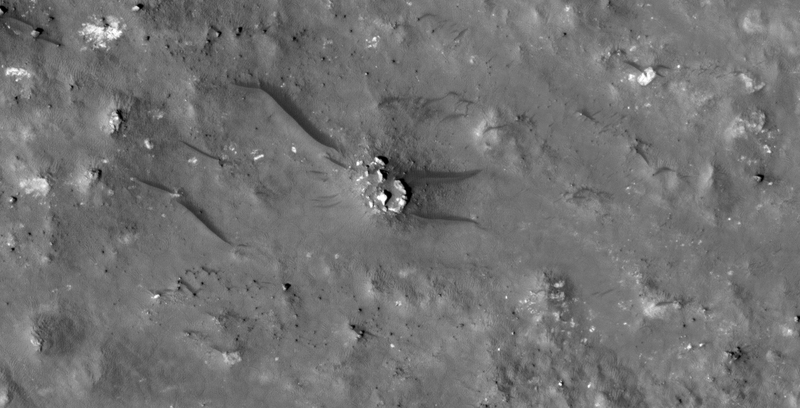 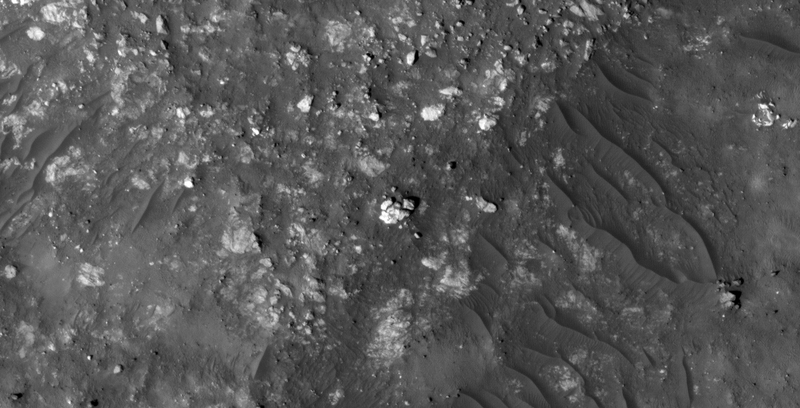 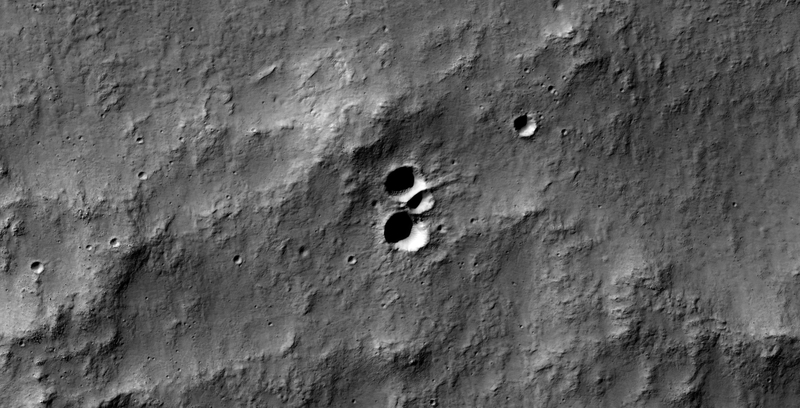 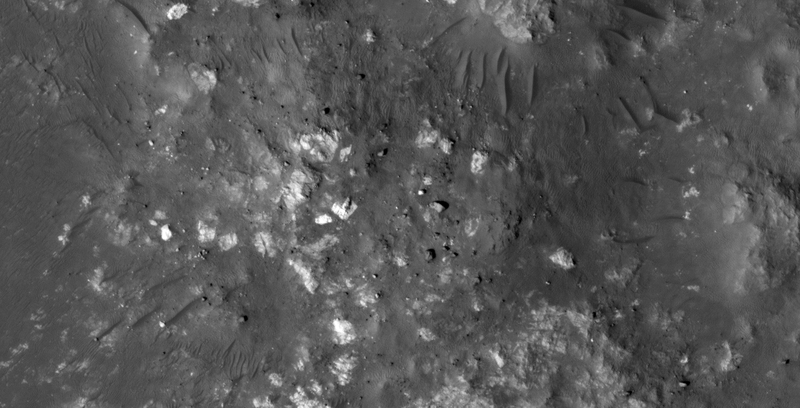 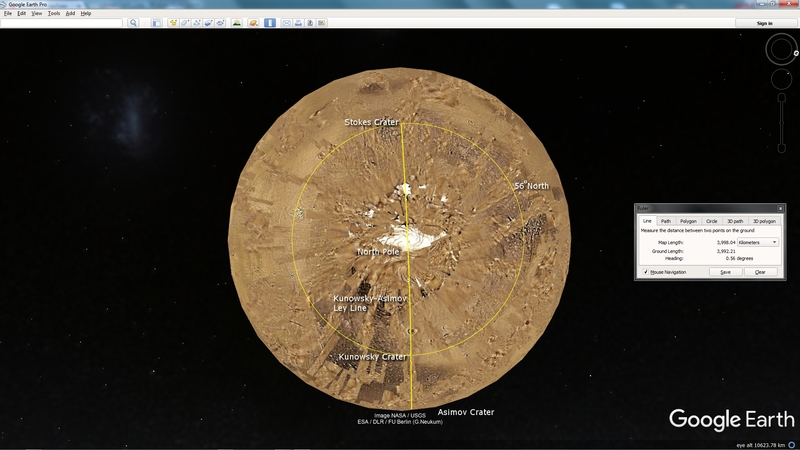 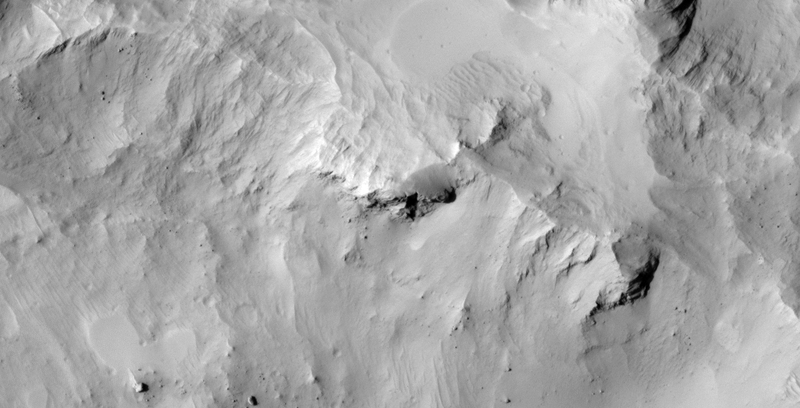 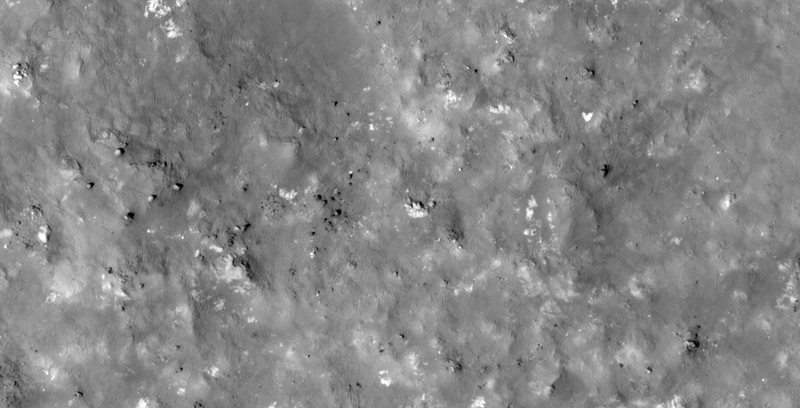 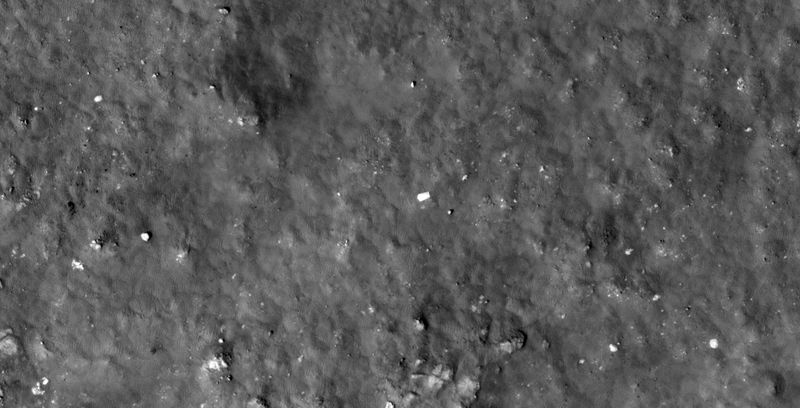 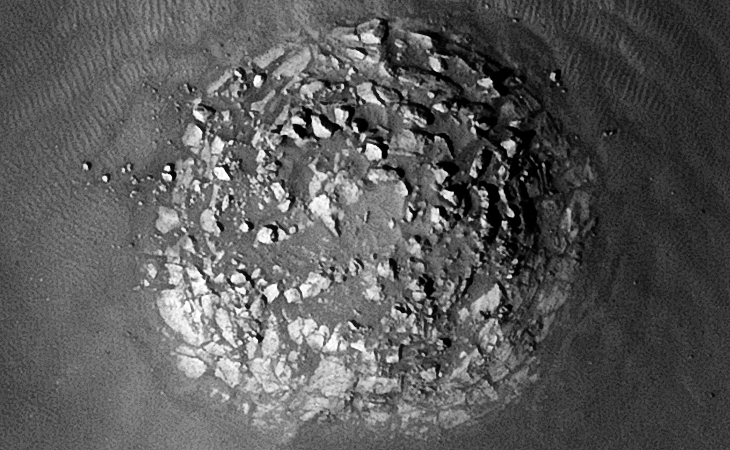 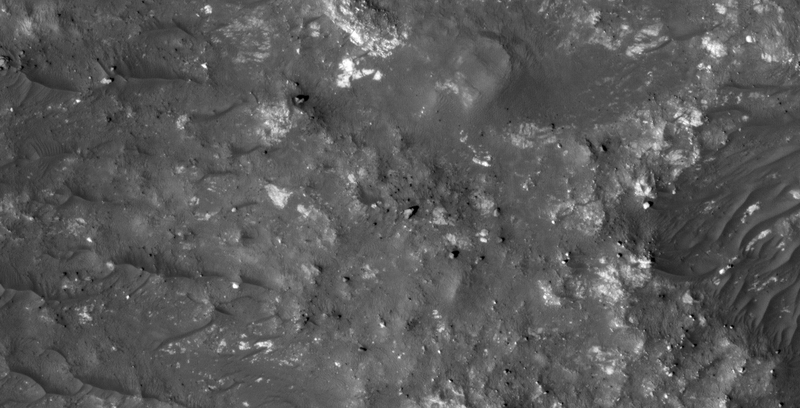 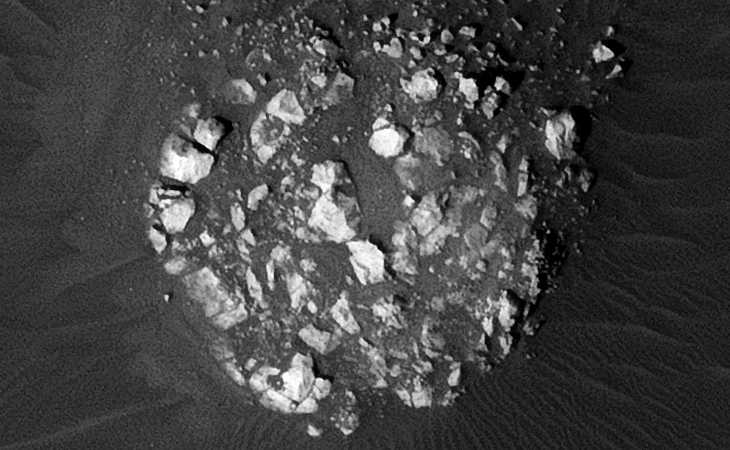 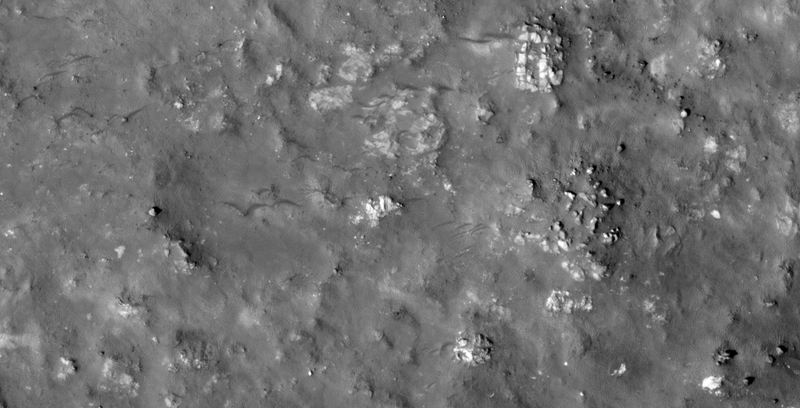 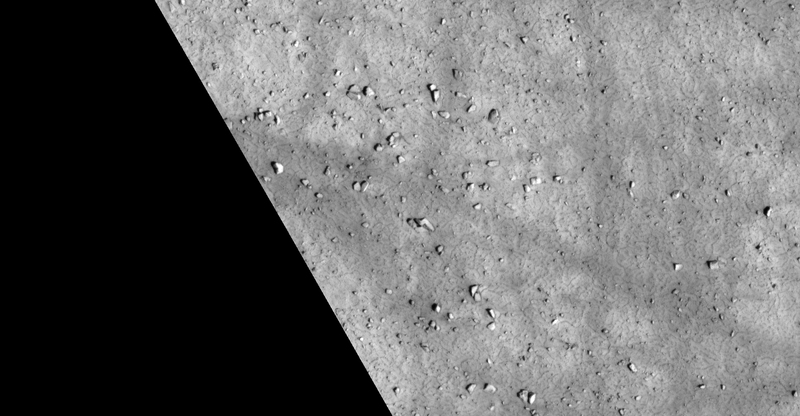 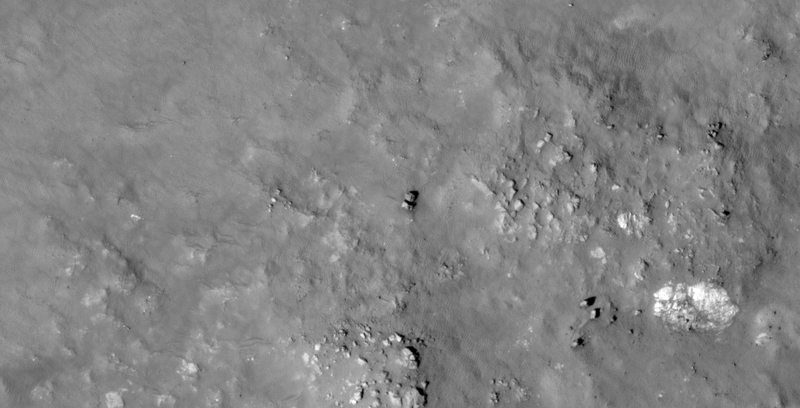 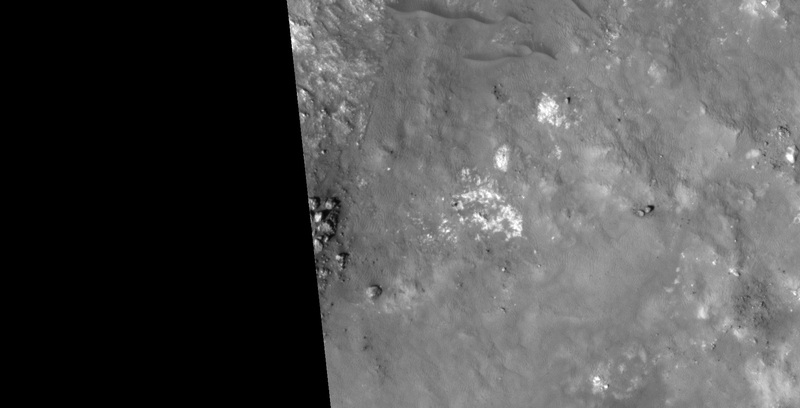 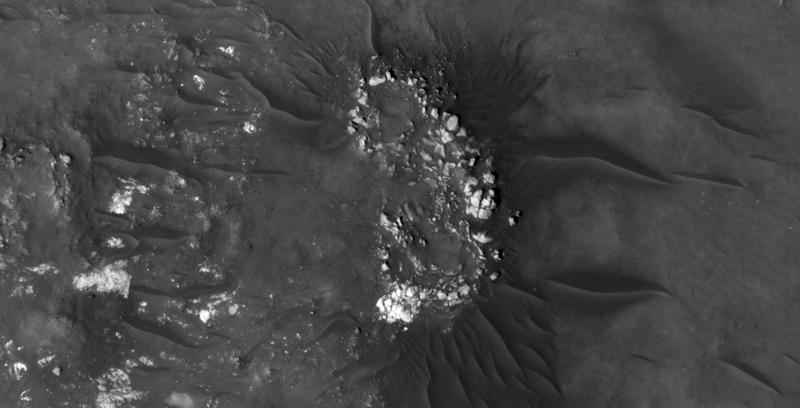 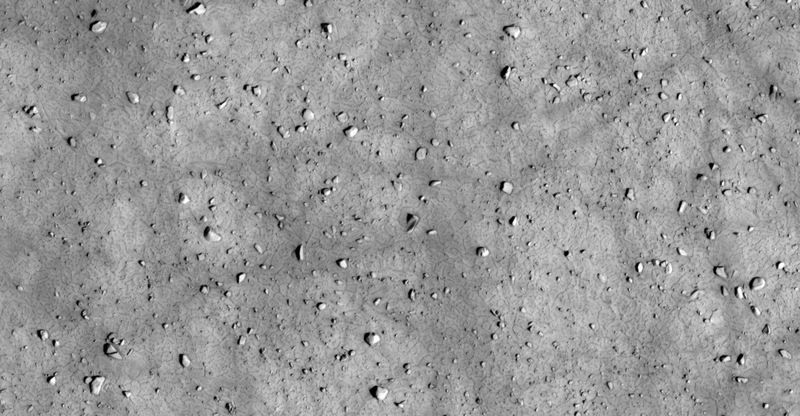 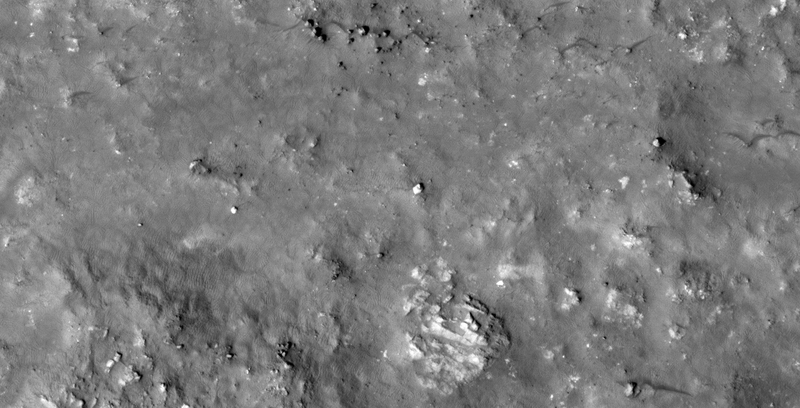 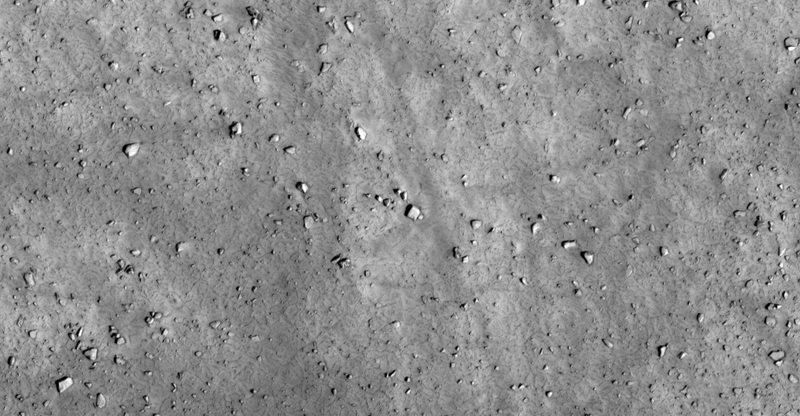 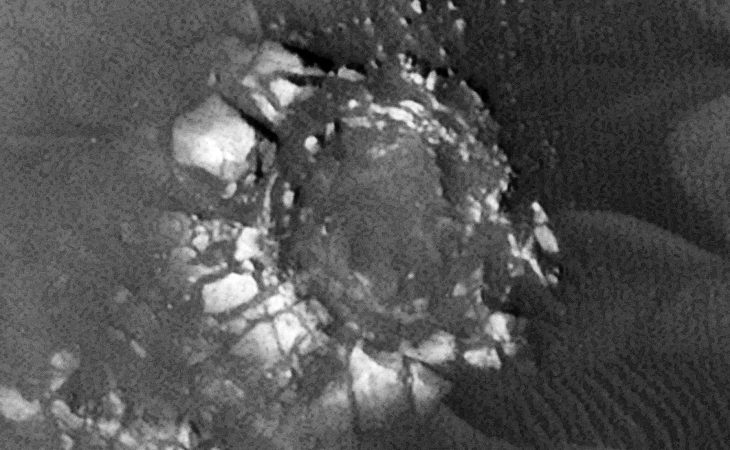 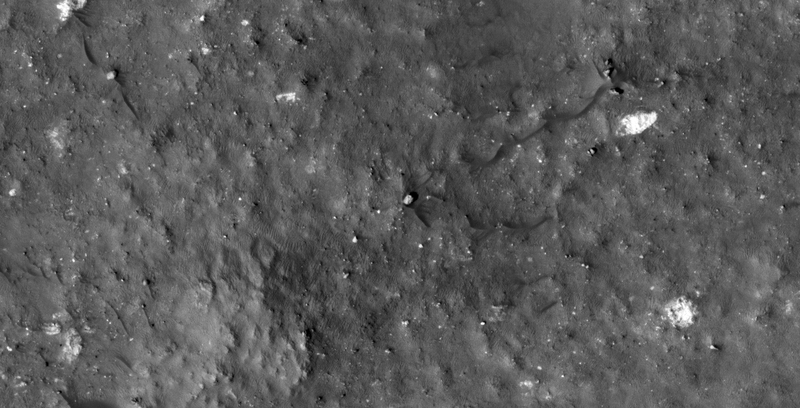 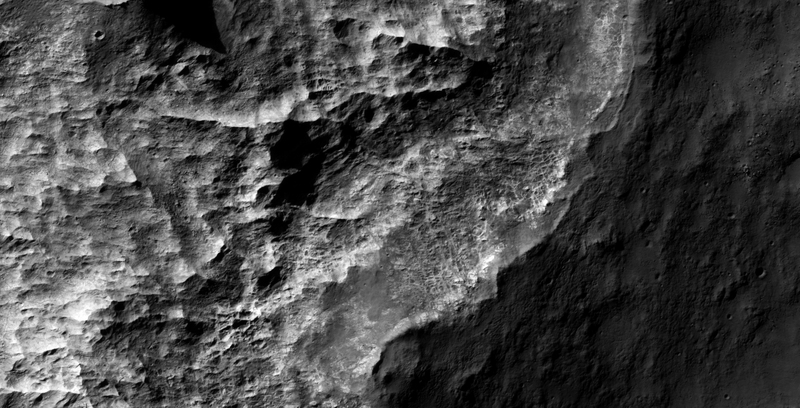 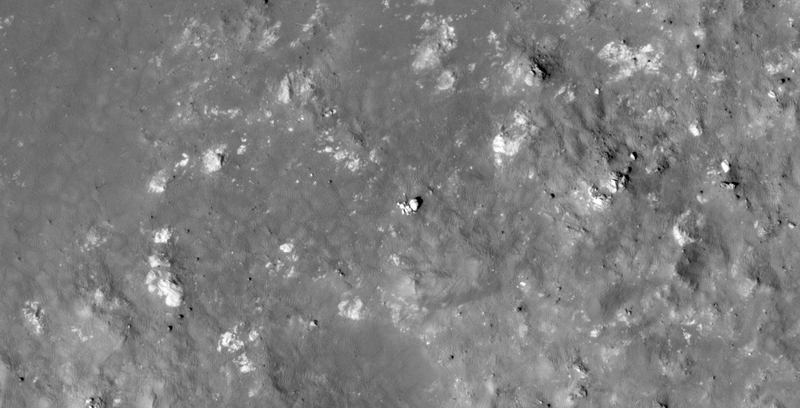 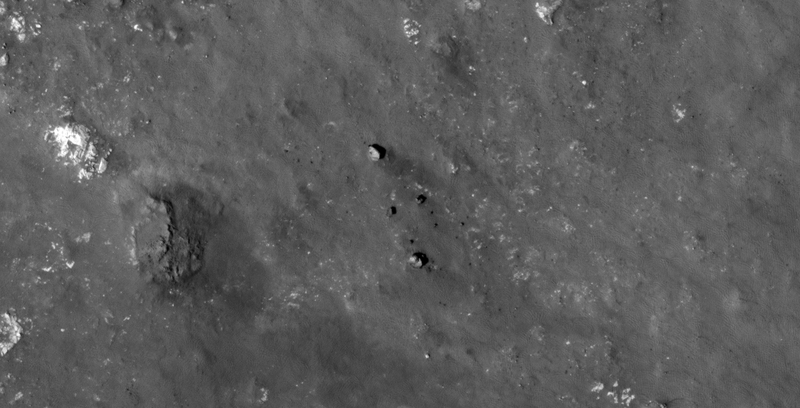 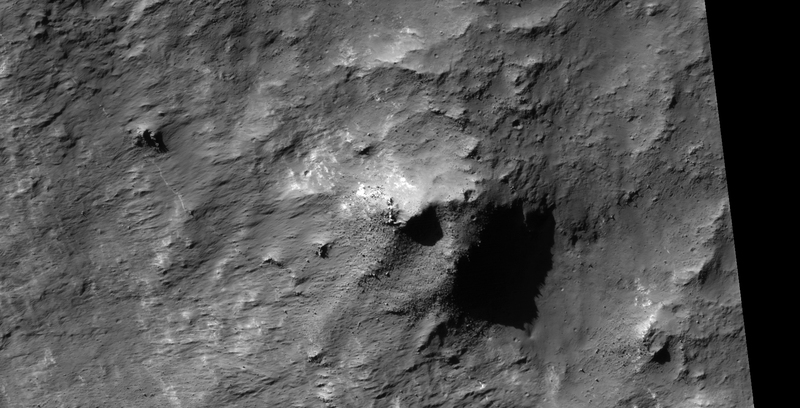 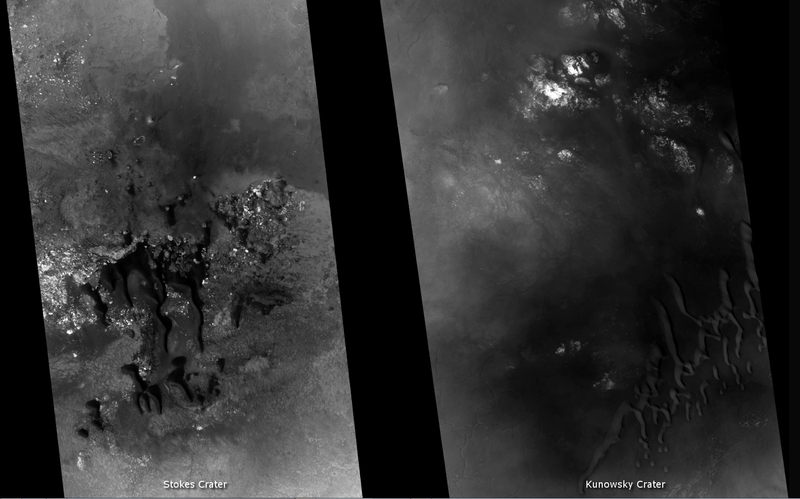 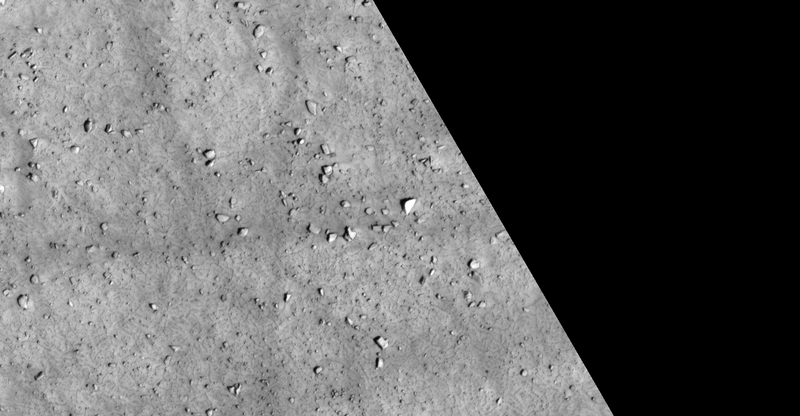 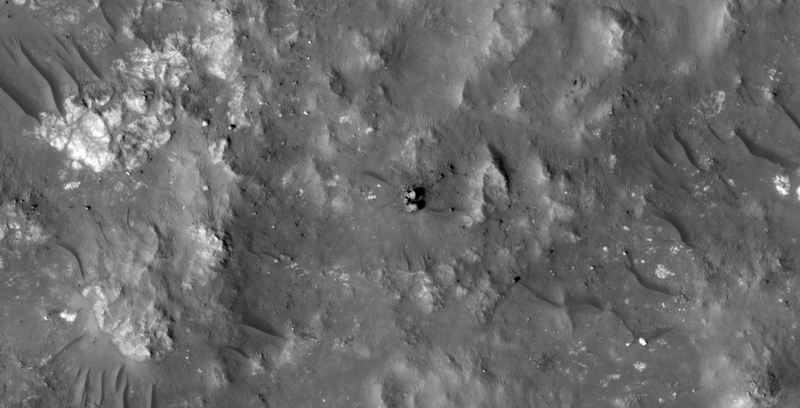 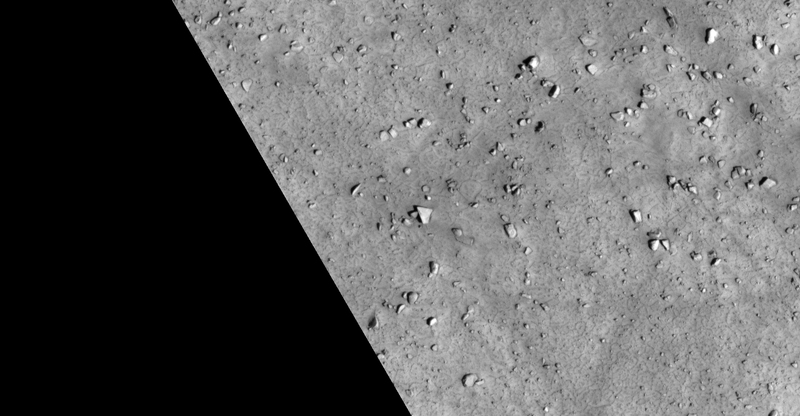 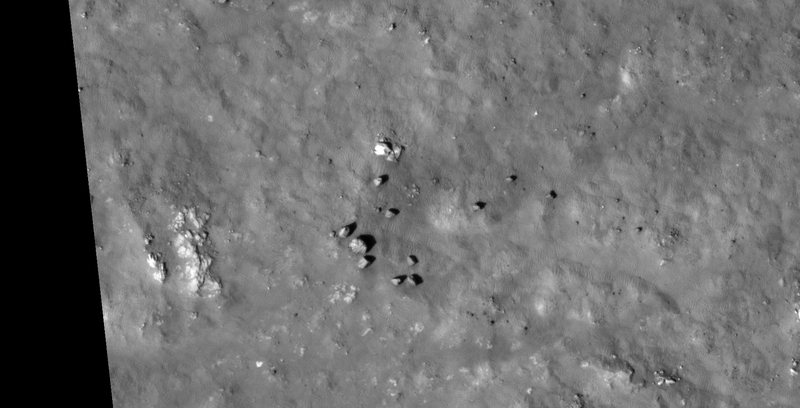 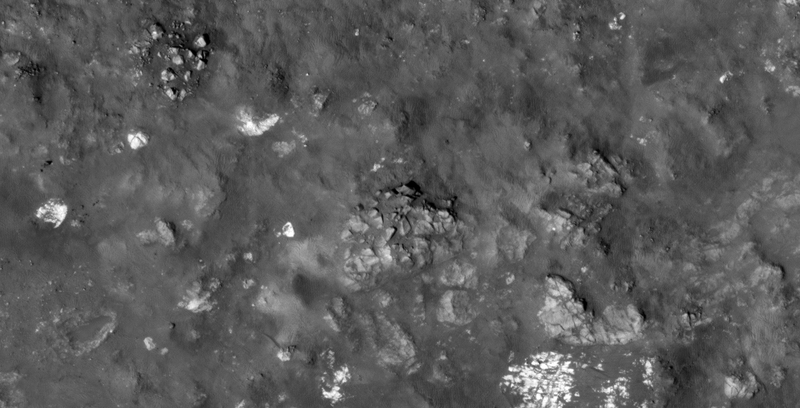 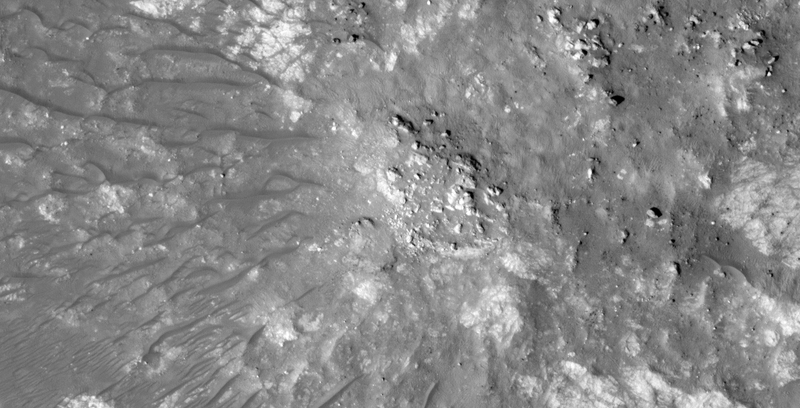 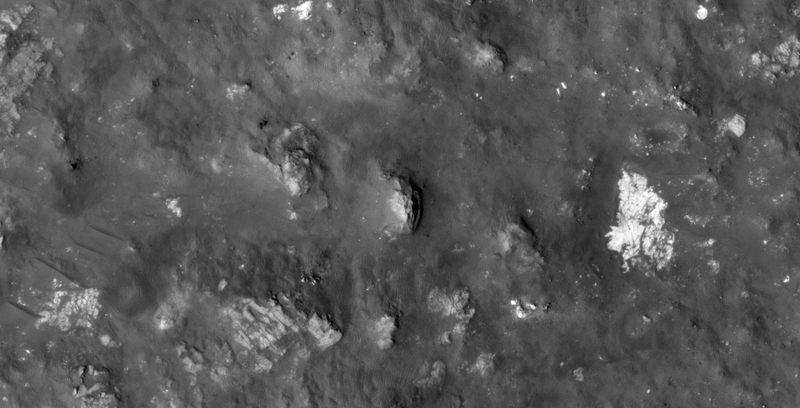 Stokes Crater and Kunowsky Crater have uncanny similarities, i.e. 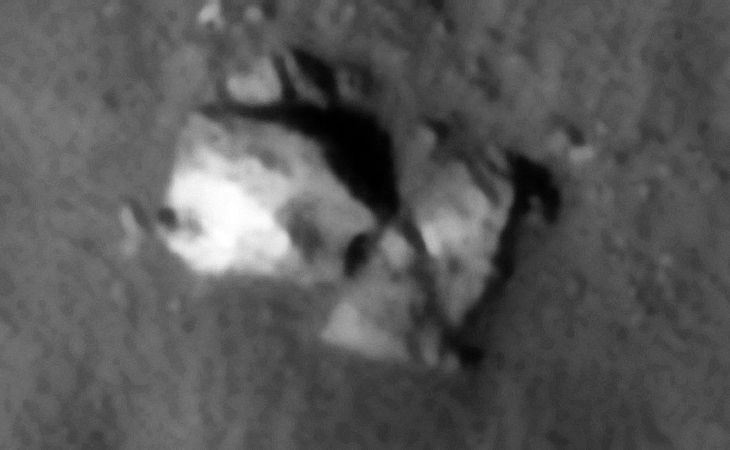 artefacts, anomalies and geology, etc. 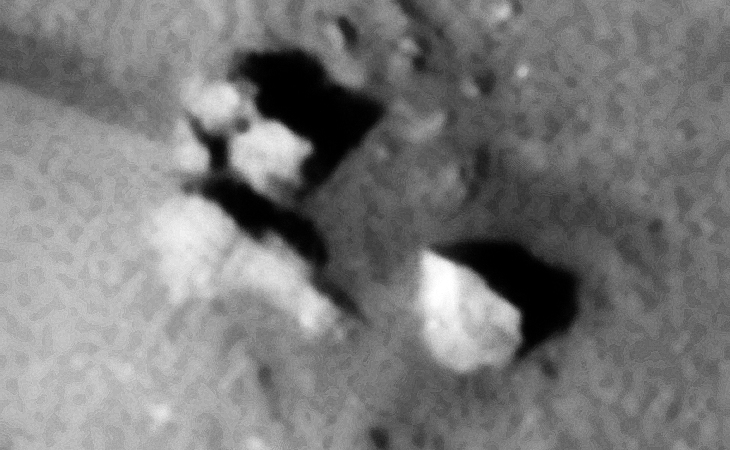 I discovered what look like multiple destroyed structures, statues, crashed craft, destroyed machinery and perhaps shelters or underground entrance-ways plus much more. 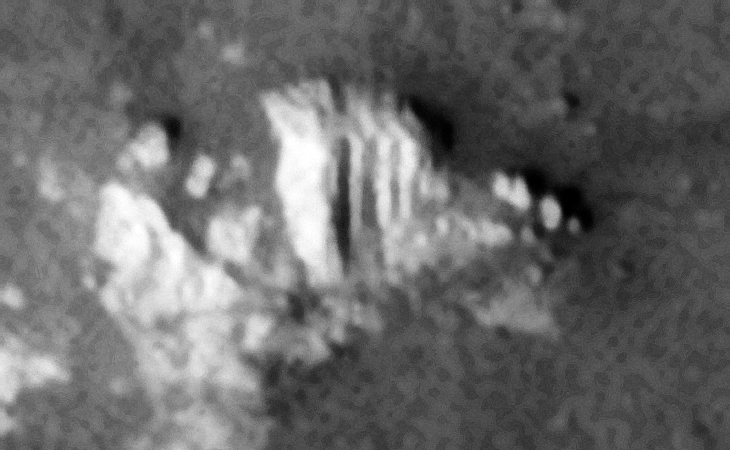 Perhaps even ‘Stonehenge’ type structures. 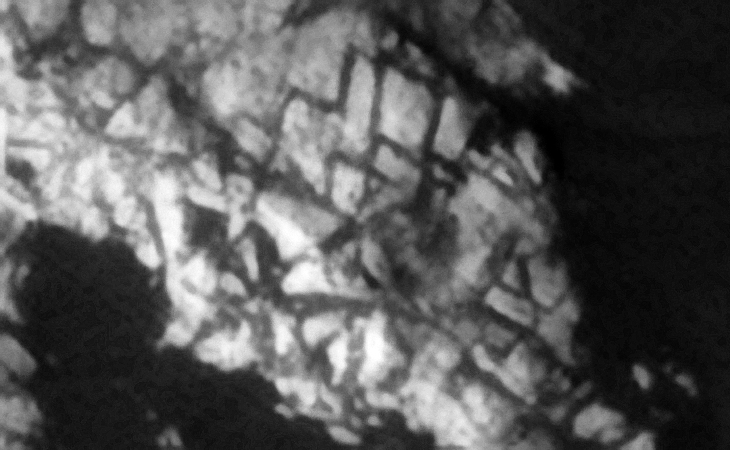 Thank you Saturn Ark for your Kunowsky-Asimov Ley Line discovery. 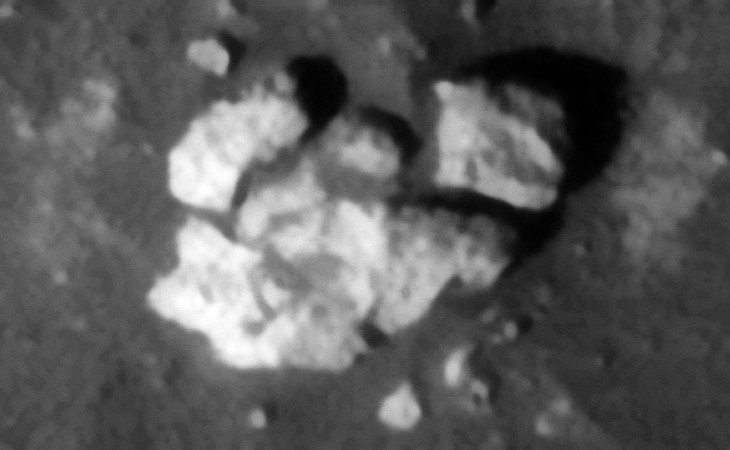 Stokes Crater is on the Kunowsky-Asimov Ley Line and is at the same Latitude as Kunowsky Crater, namely 56 degrees North. 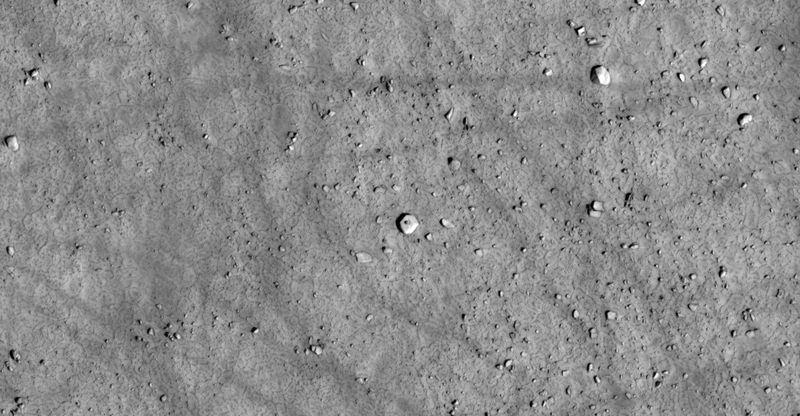 The Kunowsky-Asimov Ley Line was originally discovered by Saturn Ark and many anomalies are being discovered along this line. 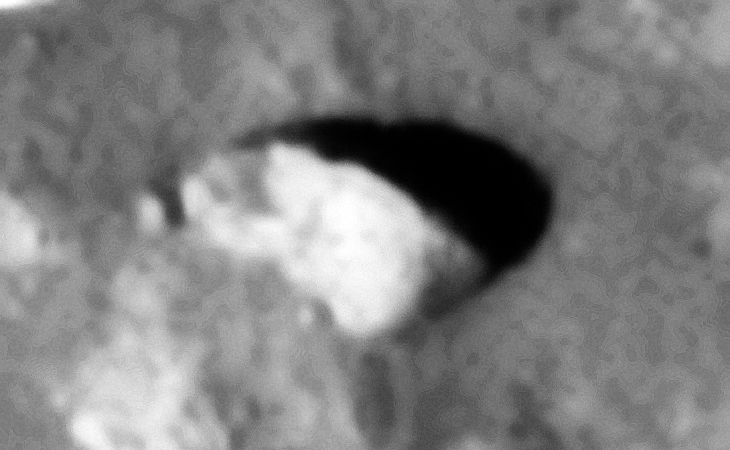 Stokes Crater is no different. 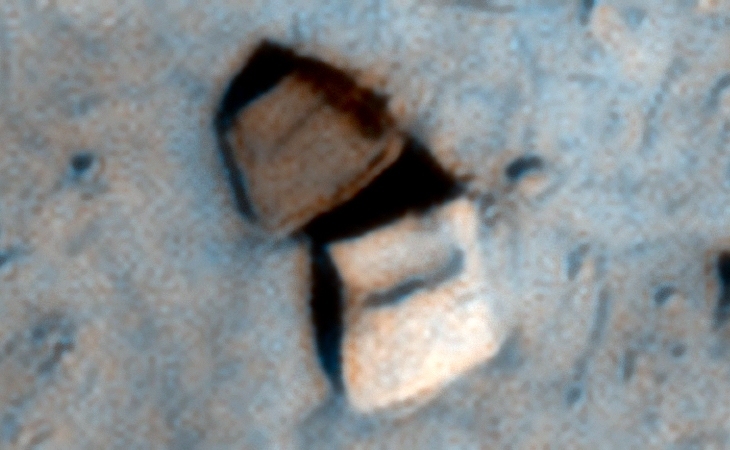 Underground Entrance-Ways and Bridge/Pipe on Mars? 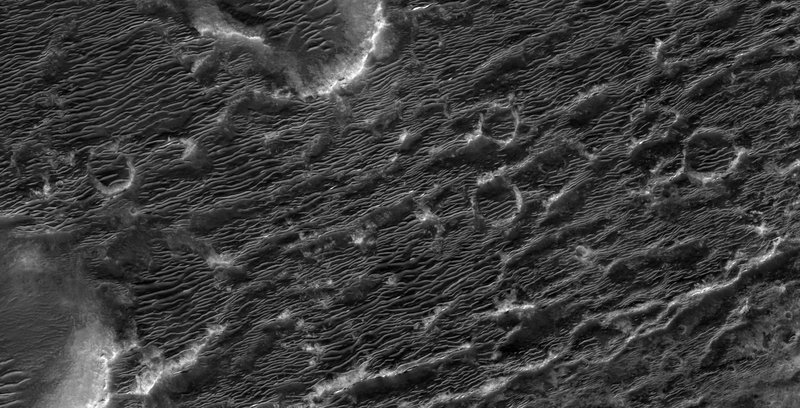 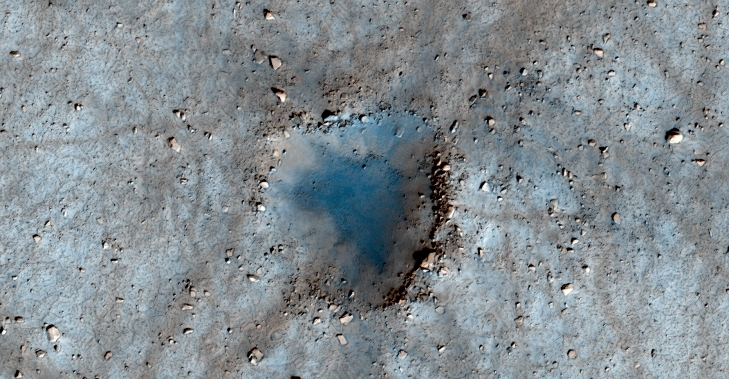 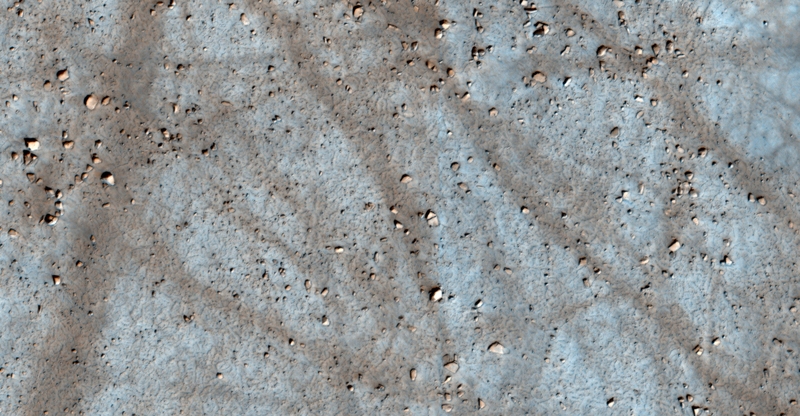 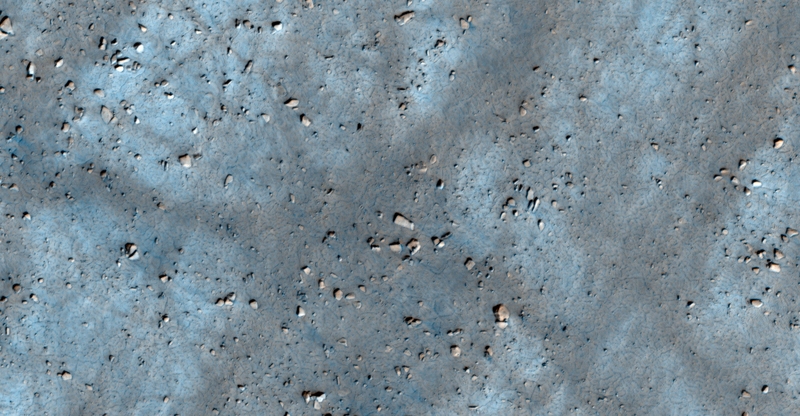 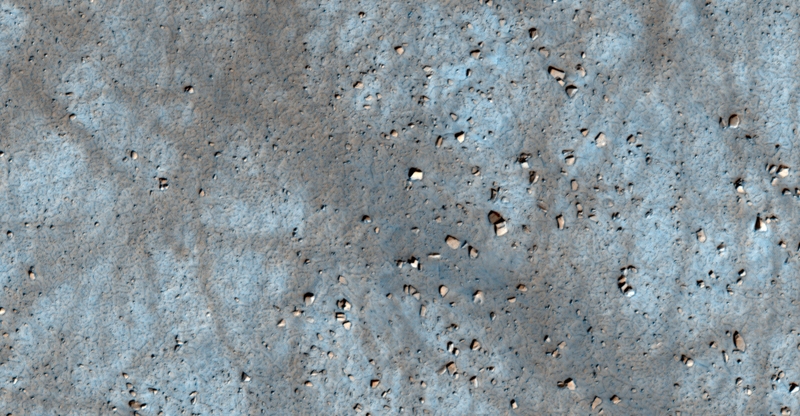 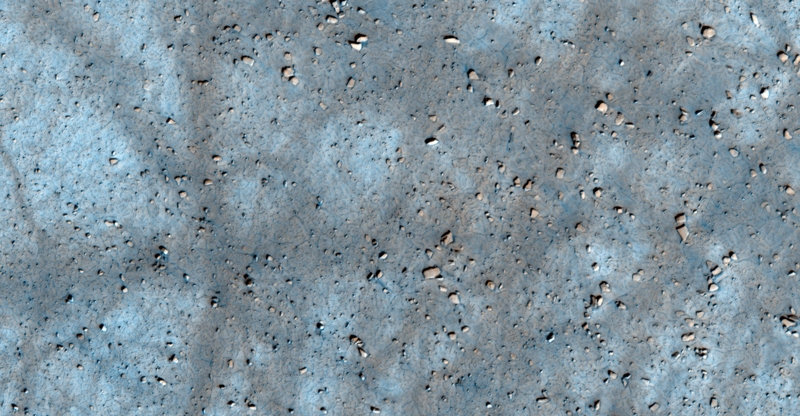 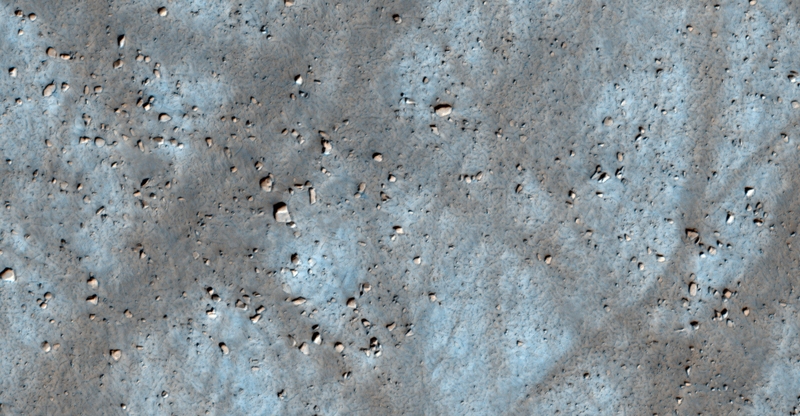 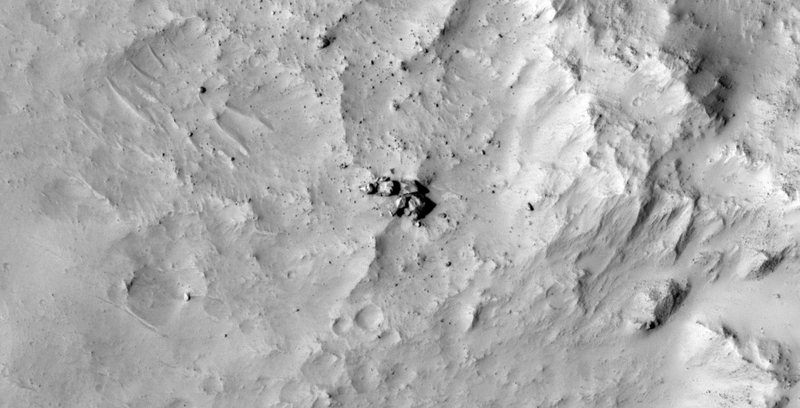 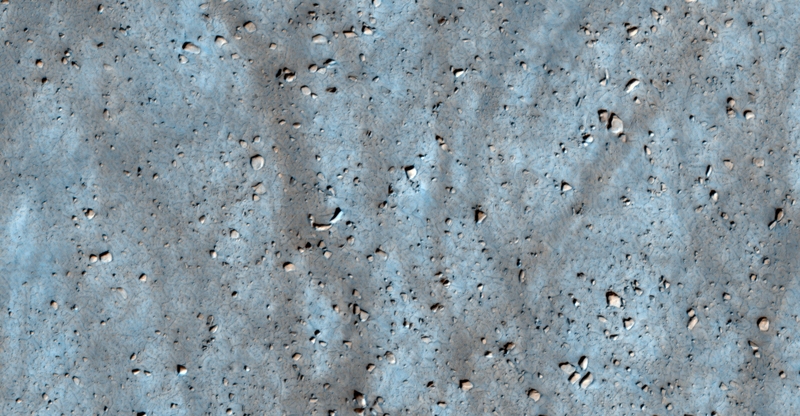 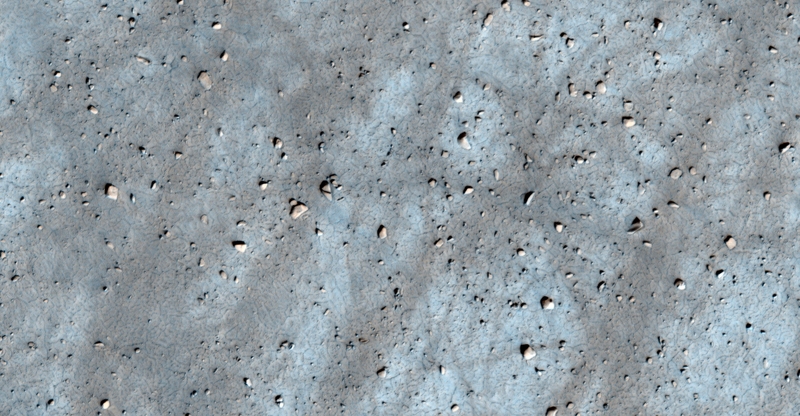 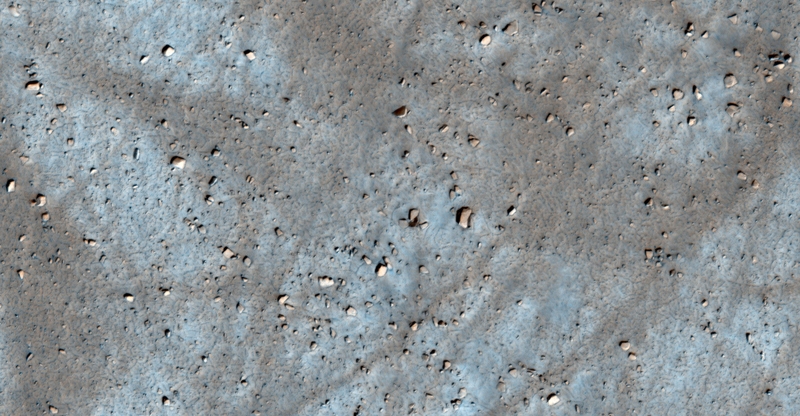 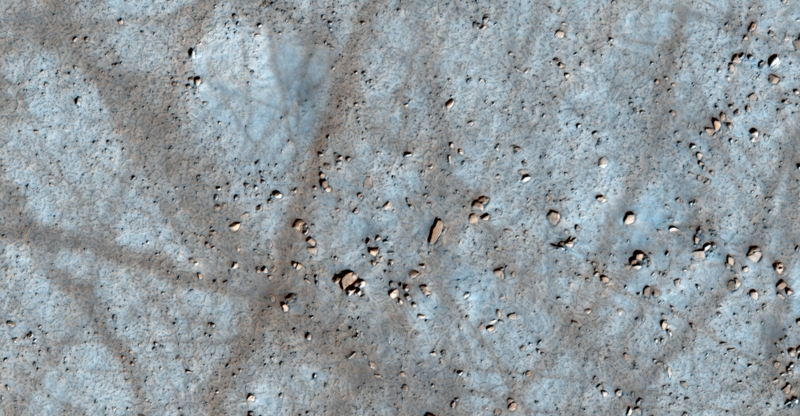 This photograph (ESP_035475_1830) was taken by NASA’s Mars Reconnaissance Orbiter (MRO) HiRISE Camera on 19 February 2014. 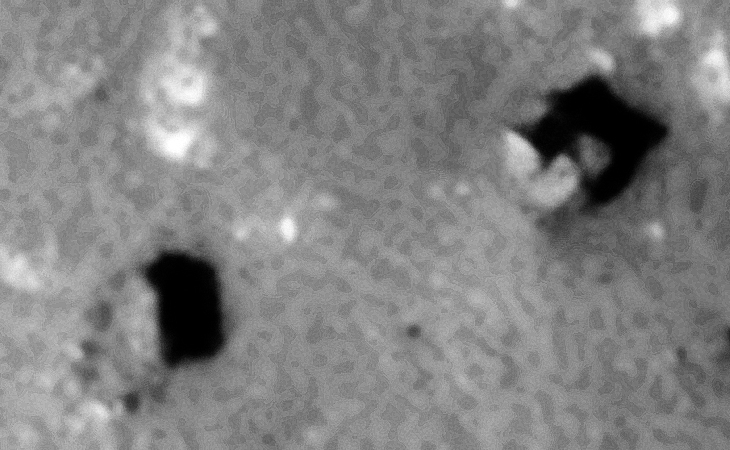 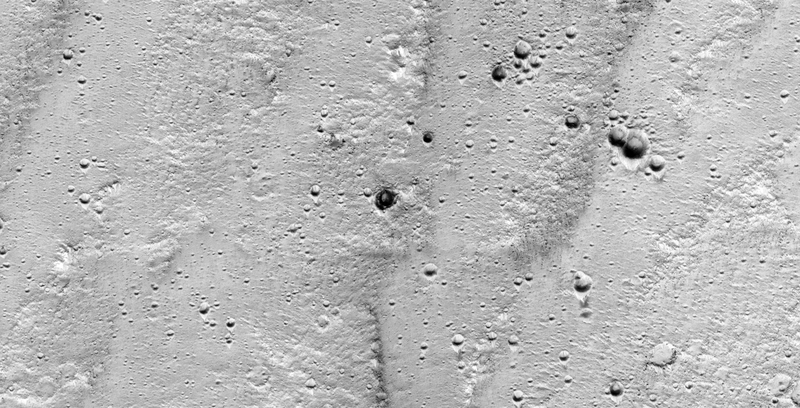 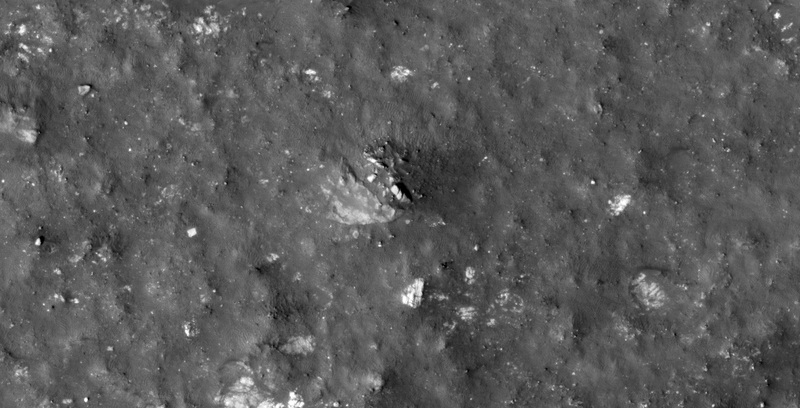 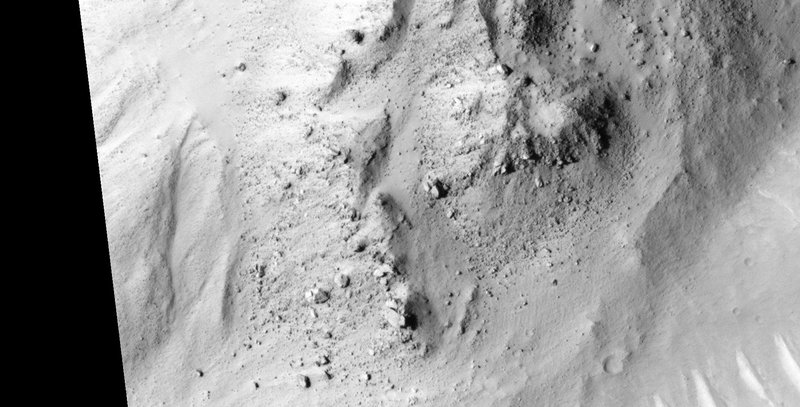 I discovered what looks like underground entrance-ways, objects inside craters/pits, signs of recent activity on the Martian surface, a self illuminating sphere, various other potential technology/debris and perhaps a bridge or pipe. 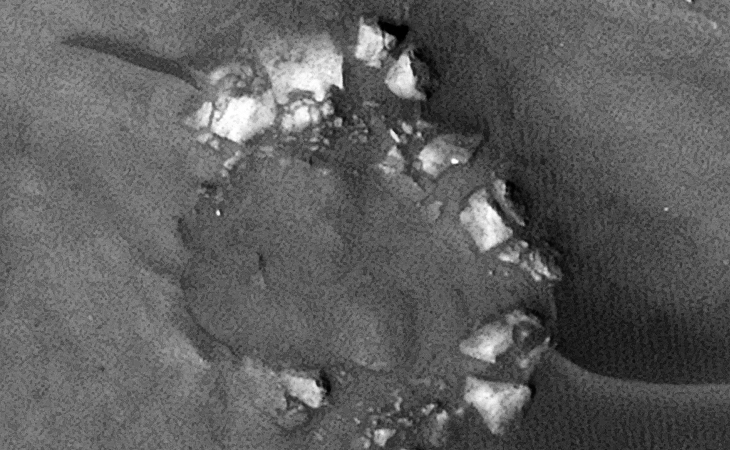 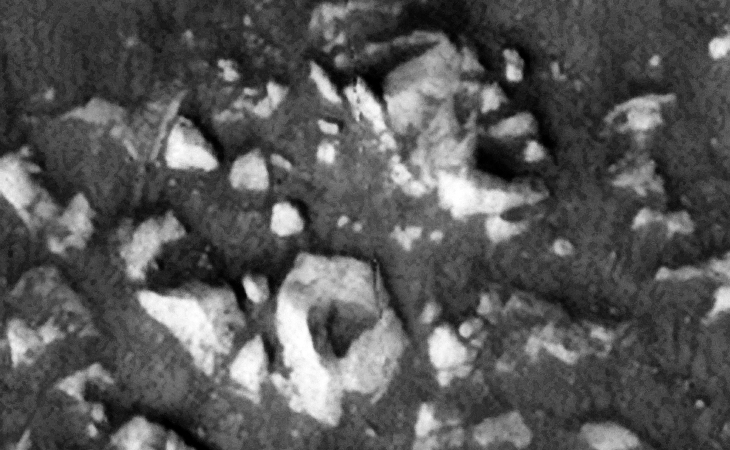 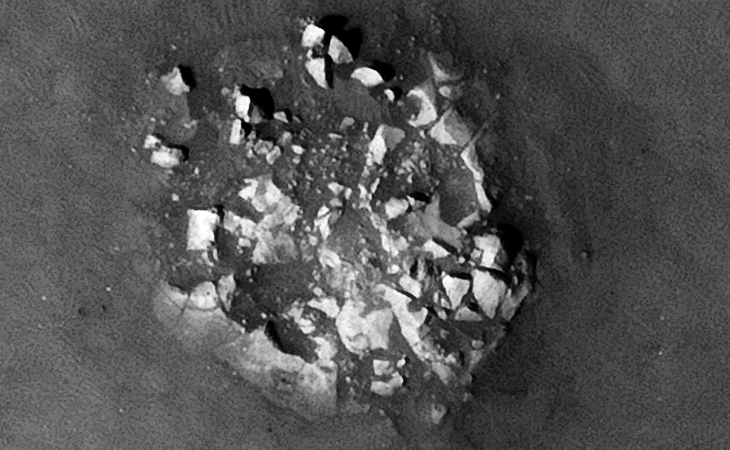 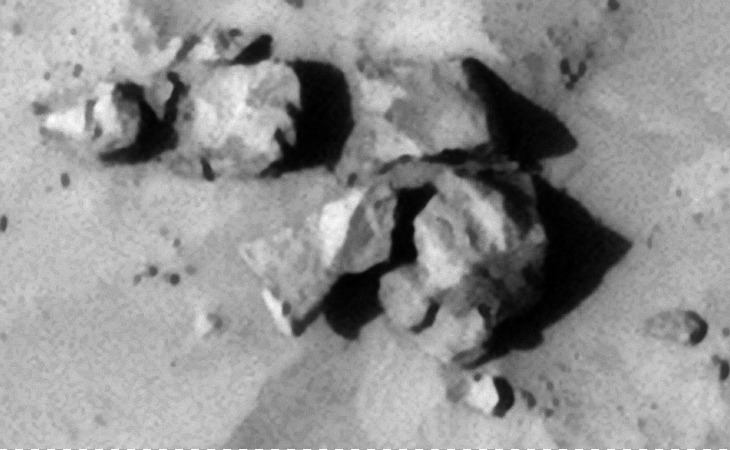 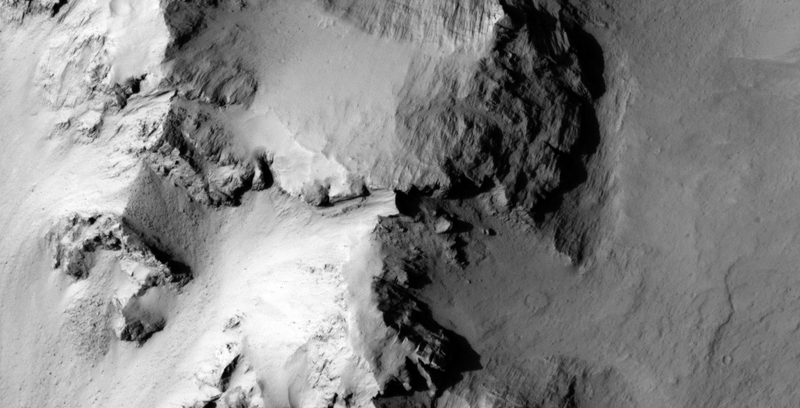 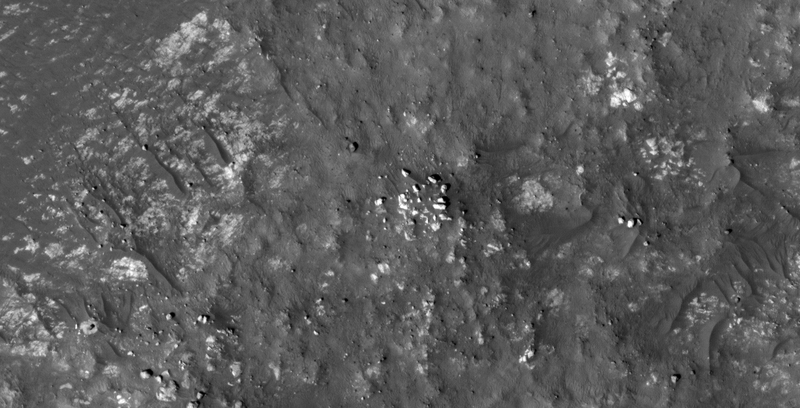 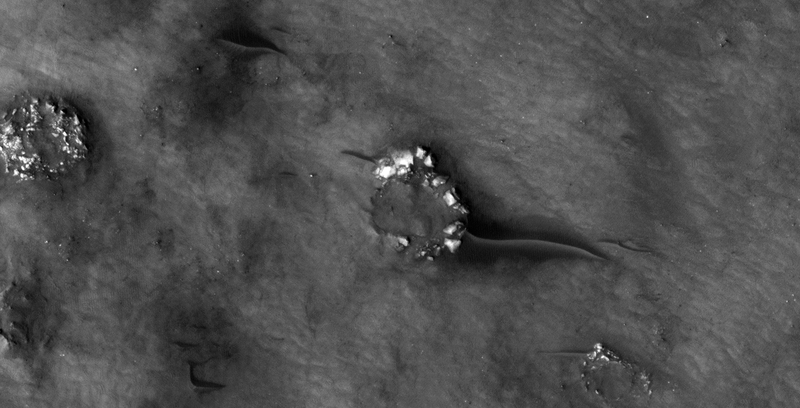 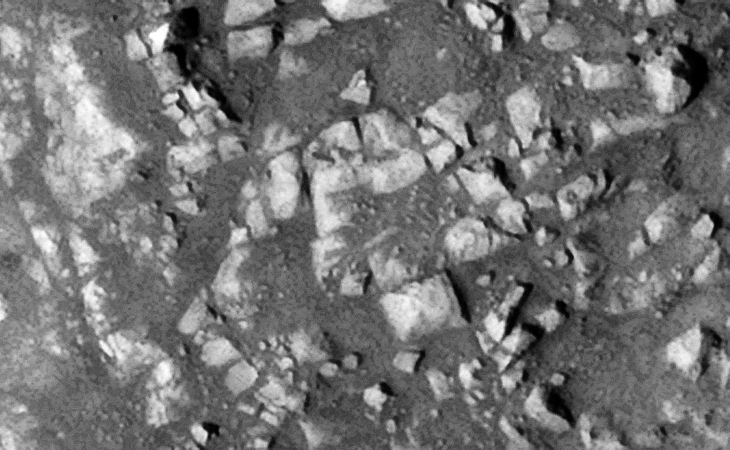 Are these natural geological formations or perhaps sign’s of some kind of activity on Mars?